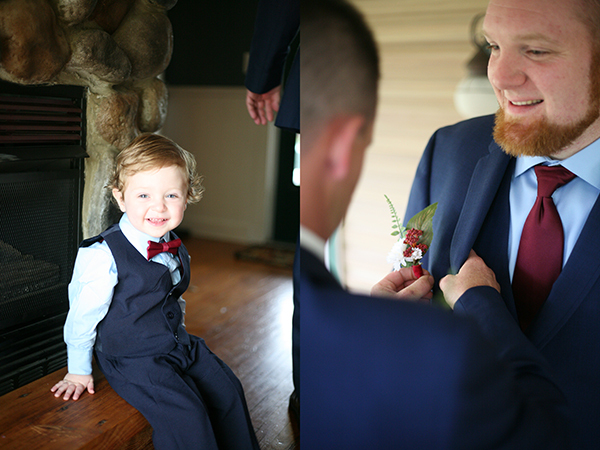 Remember Nate? 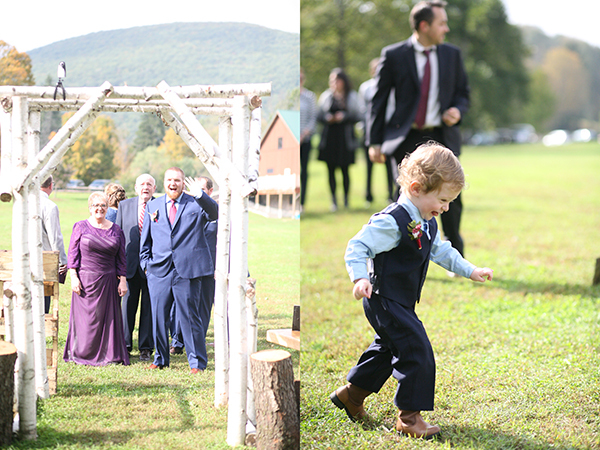 He was my assistant at Chelsea & Patrick’s wedding! 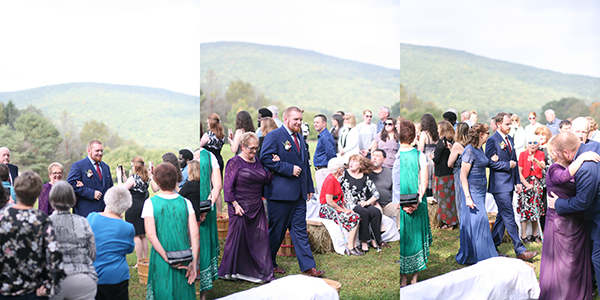 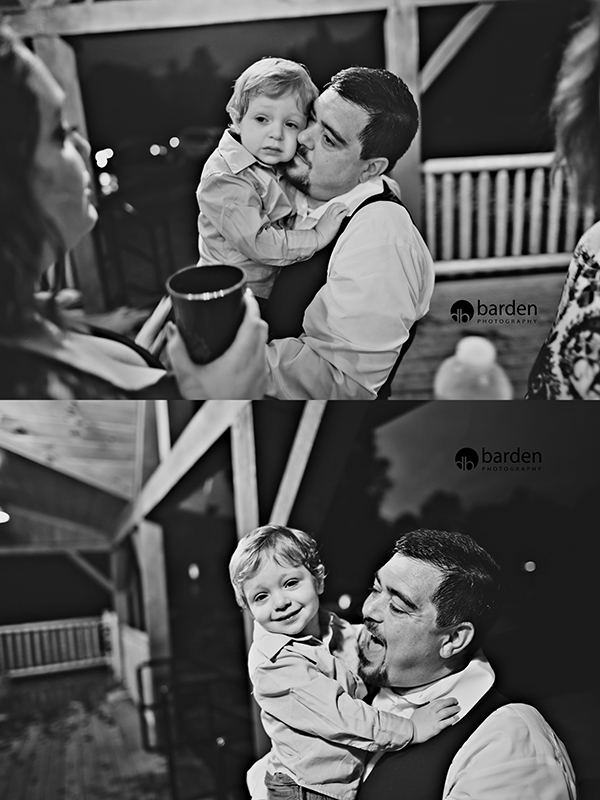 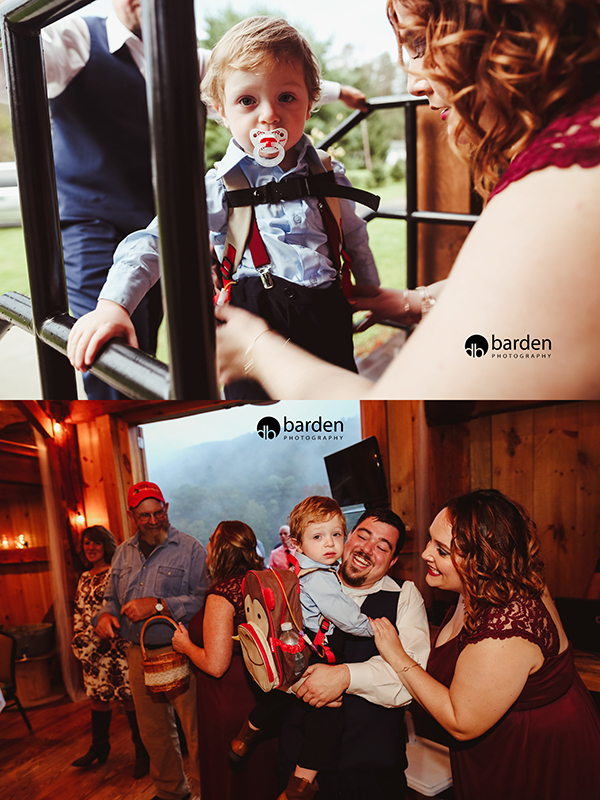 He came with me to Tarra & Adam’s wedding last month too! 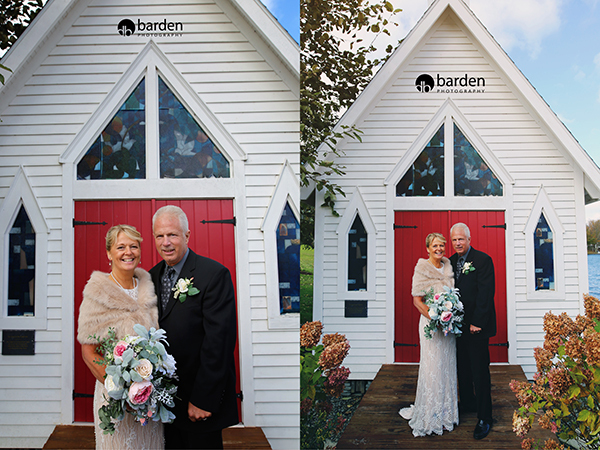 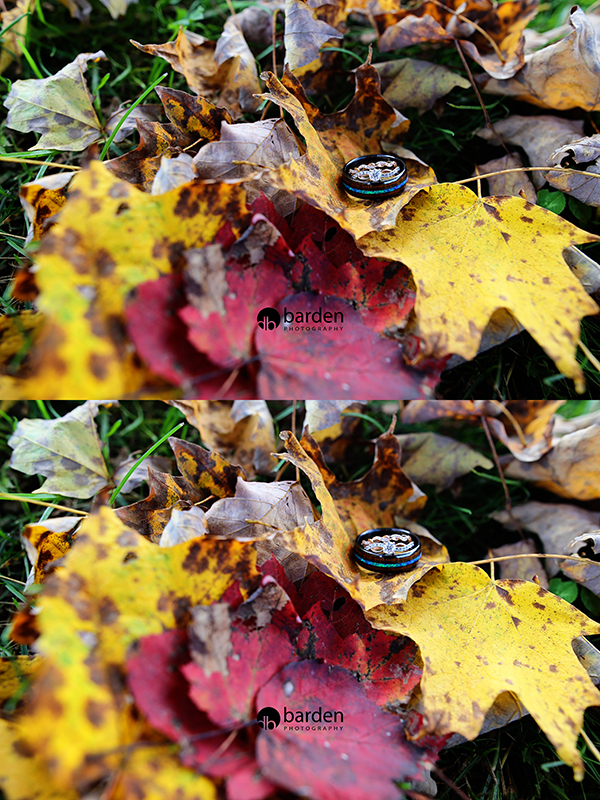 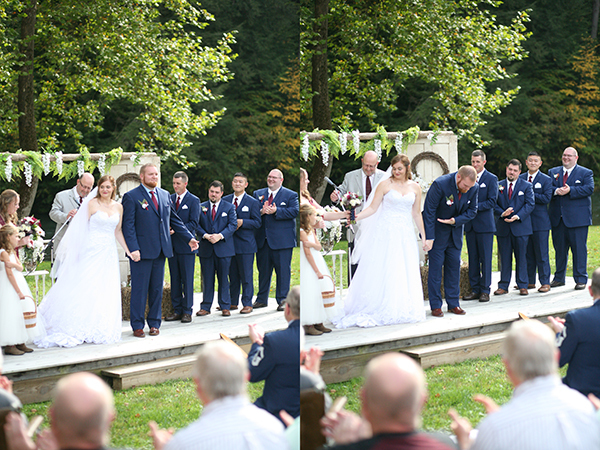 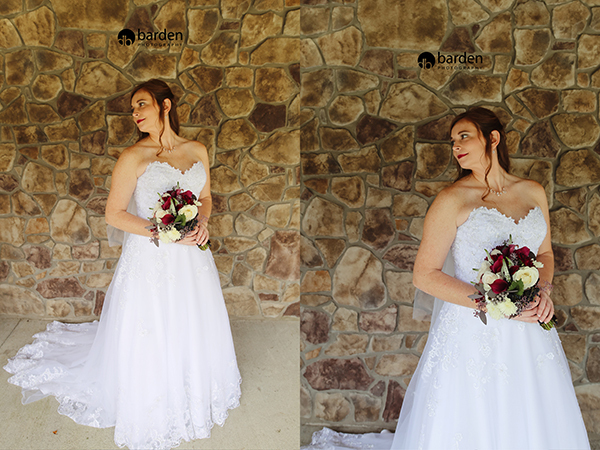 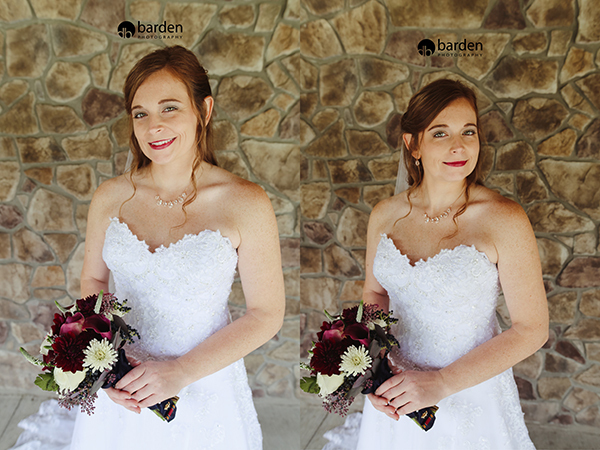 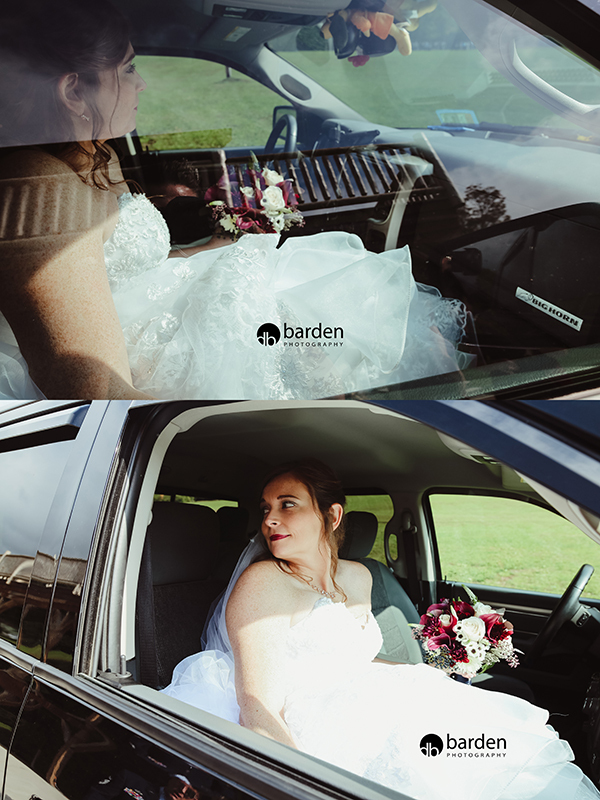 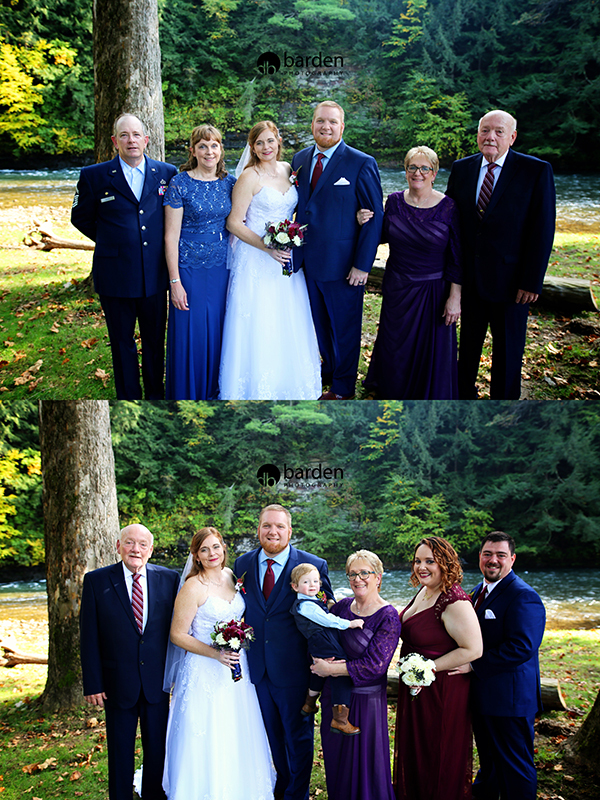 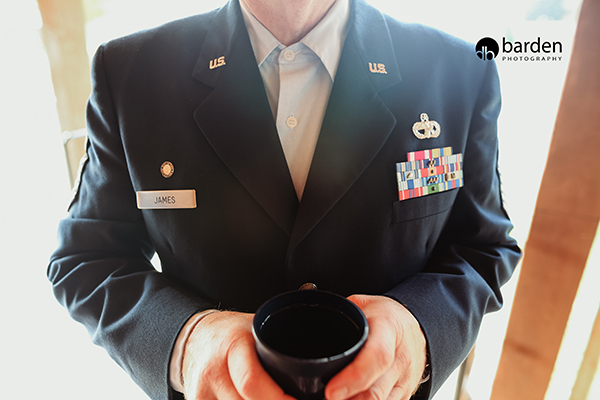 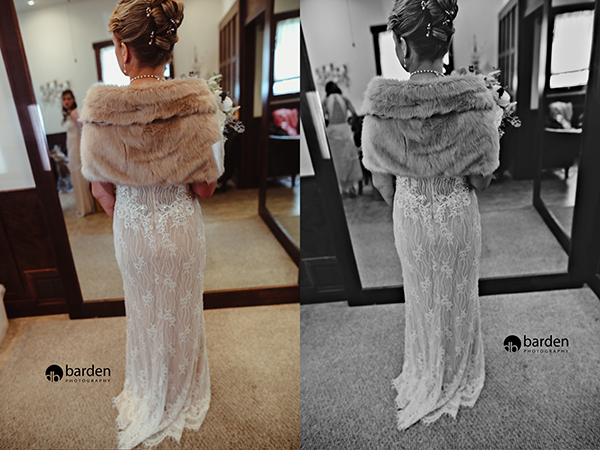 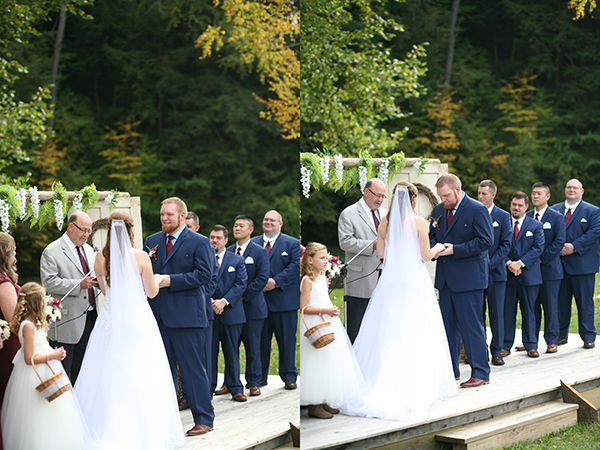 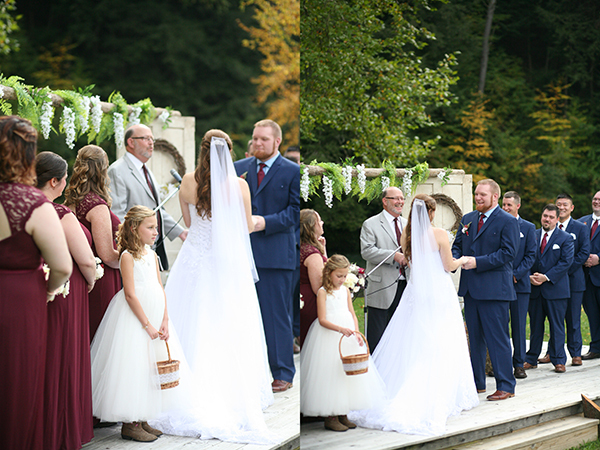 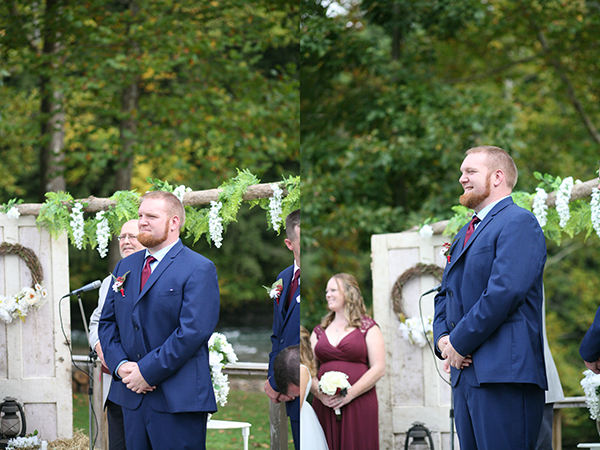 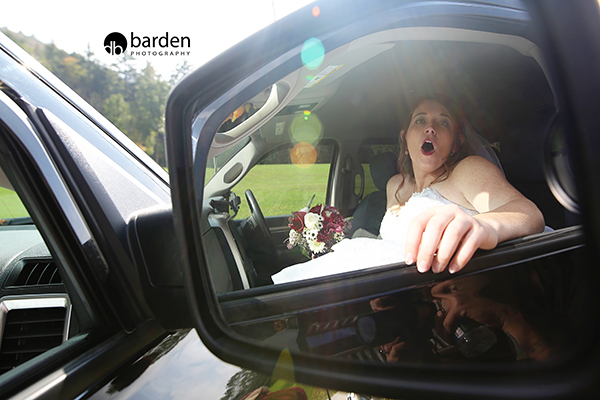 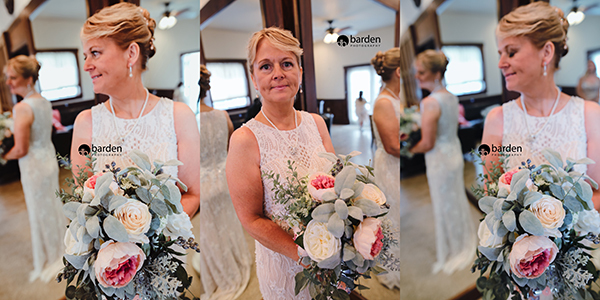 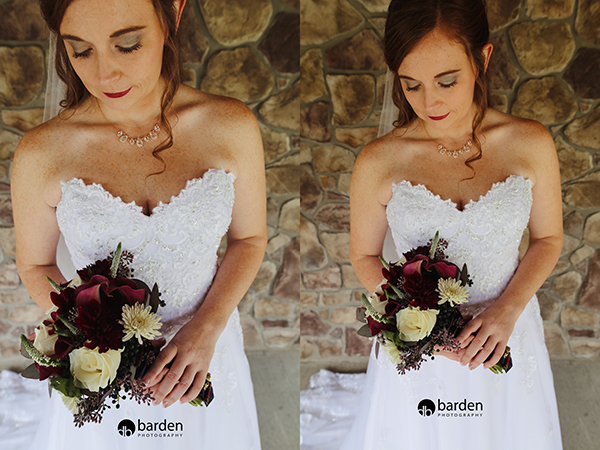 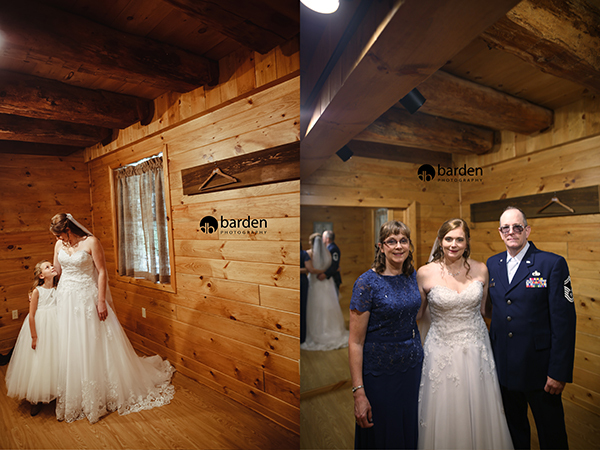 I HIGHLY recommend hiring TWO photographers for your day – I simply can’t be in two places at once! 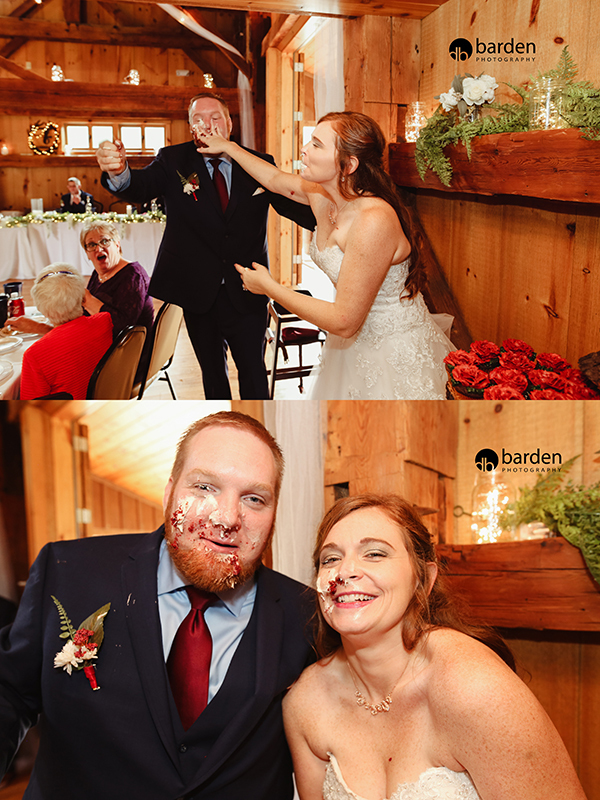 SO MUCH CAKE – EVERYWHERE!! 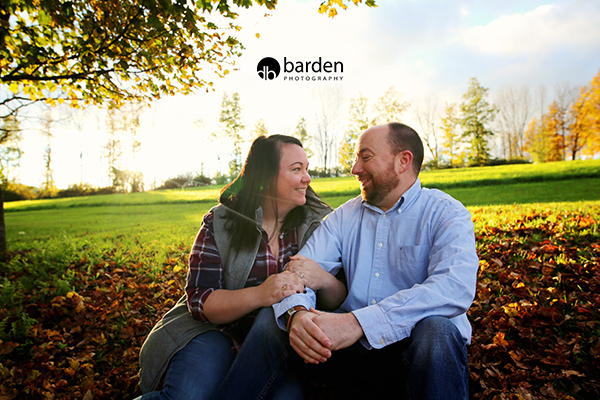 Nate – THANK YOU so much for coming along with me this fall! 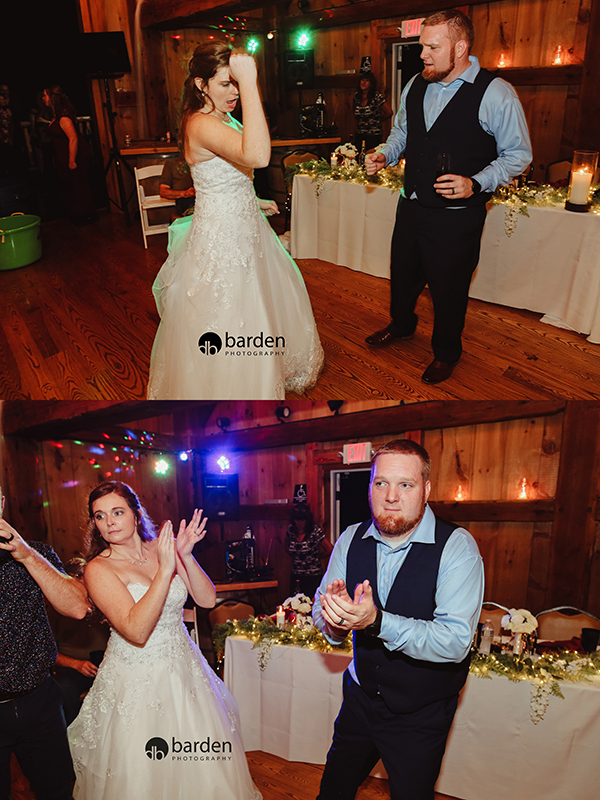 You did a GREAT job!! 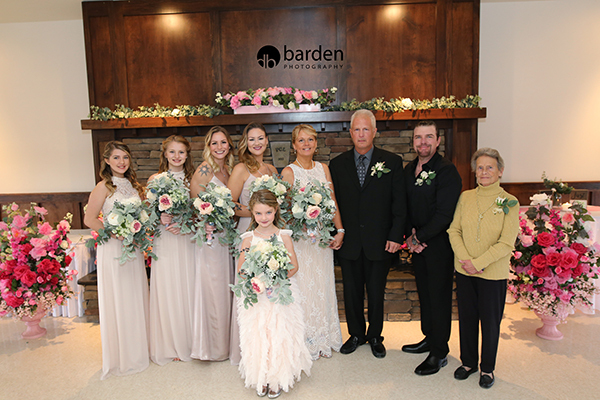 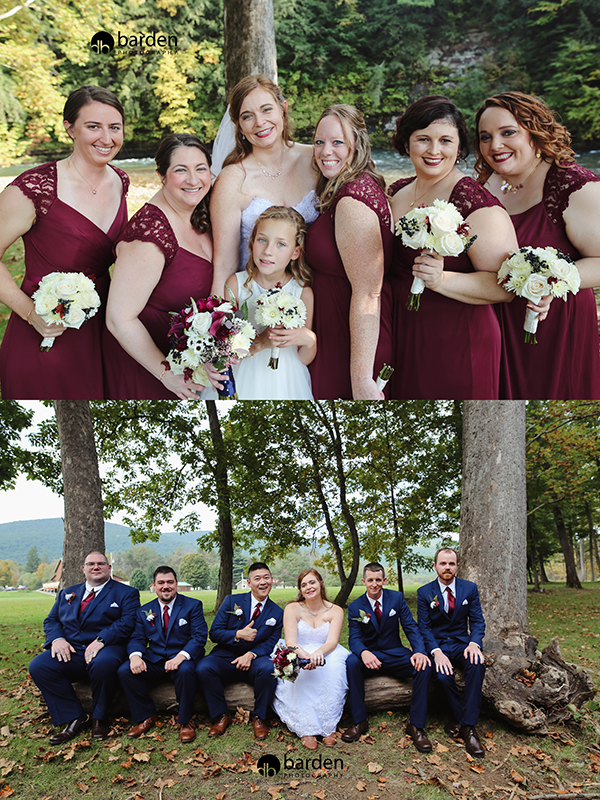 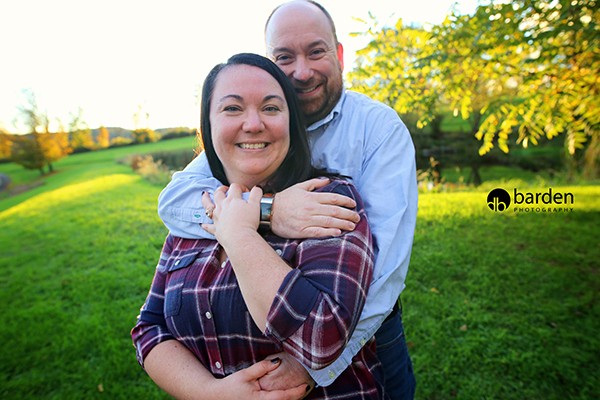 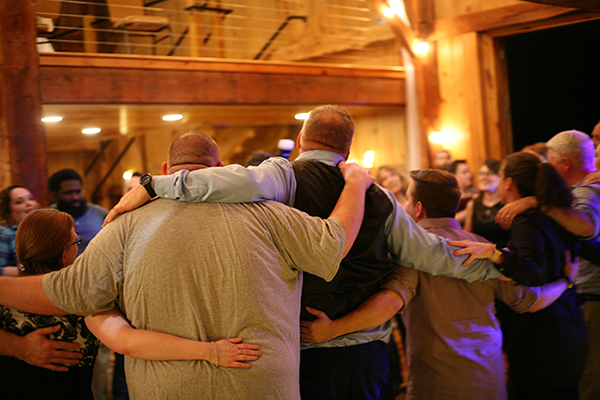 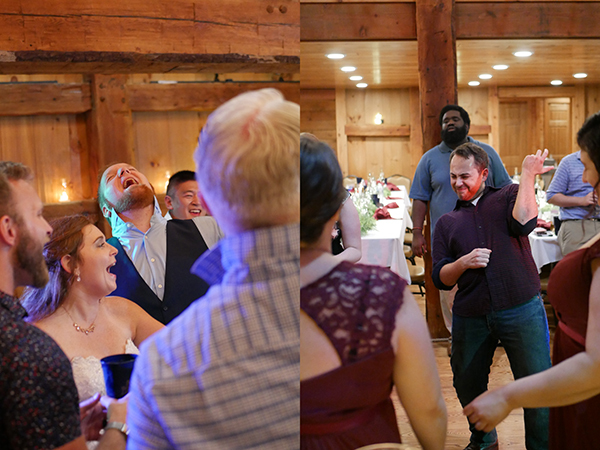 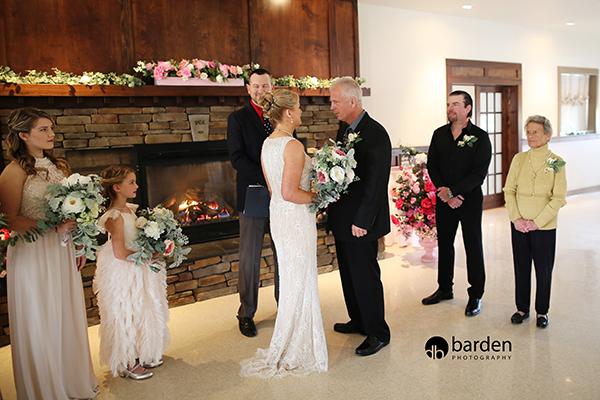 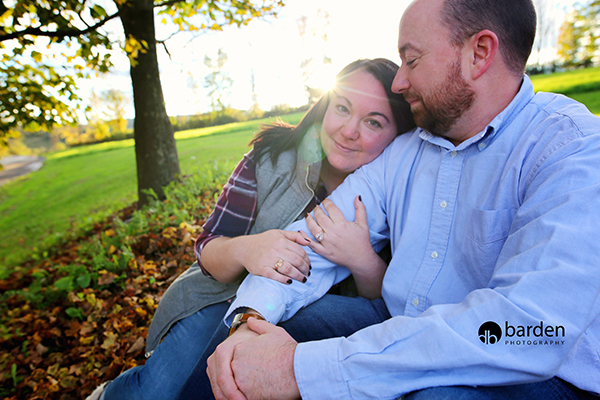 You might recognize Kristi & Patrick – they had the SURPRISE wedding in September! 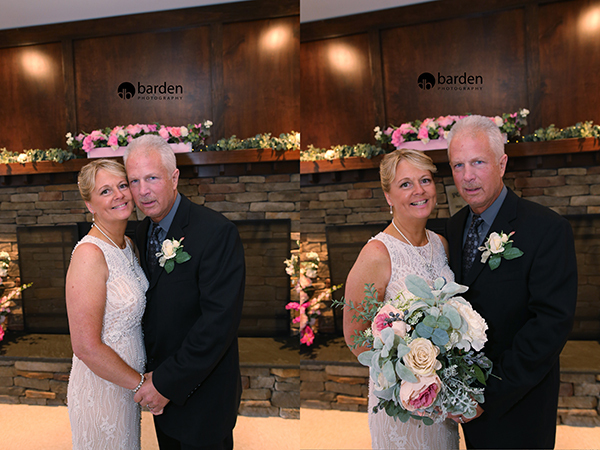 They wanted to spend some time AFTER the wedding to get some shots together! 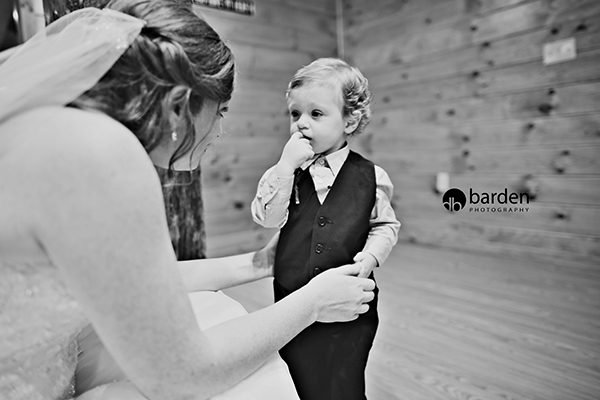 I absolutely ADORE that shot!! 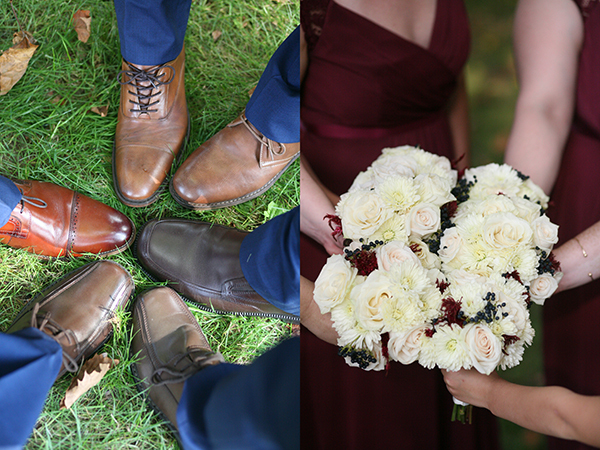 And that one – and that other one – and the one after that!! 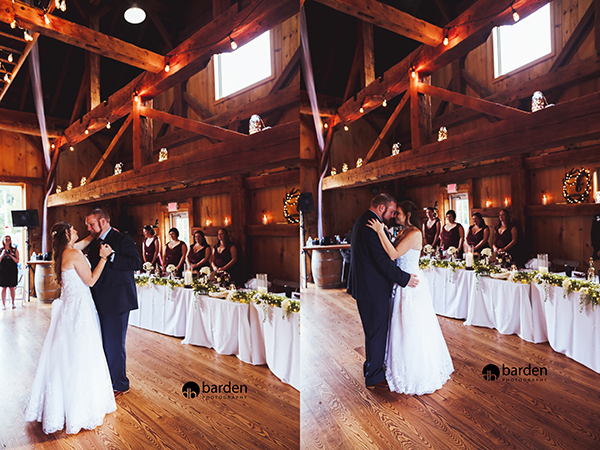 I LOVE that barn – it might be my new favorite place to shoot! 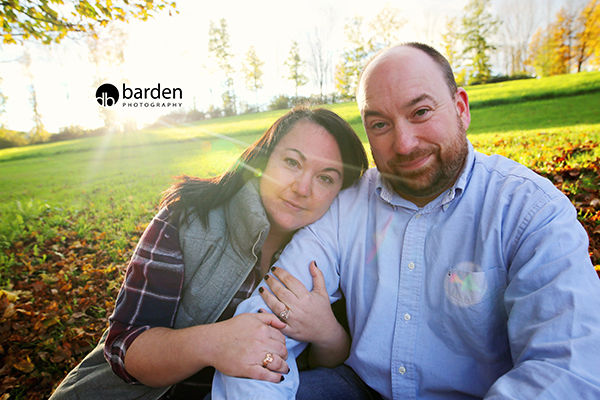 Kristi & Patrick – THANK YOU for making the trip to Mansfield!! 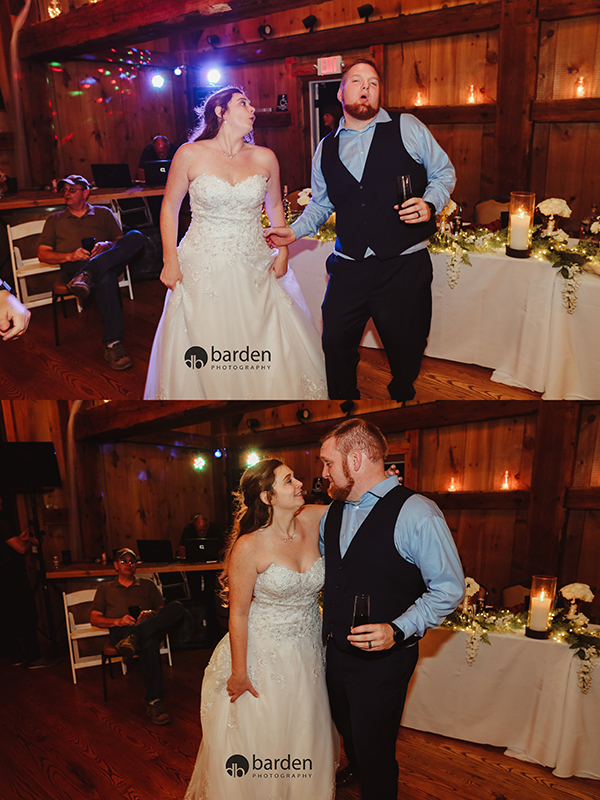 I LOVE YOU GUYS! 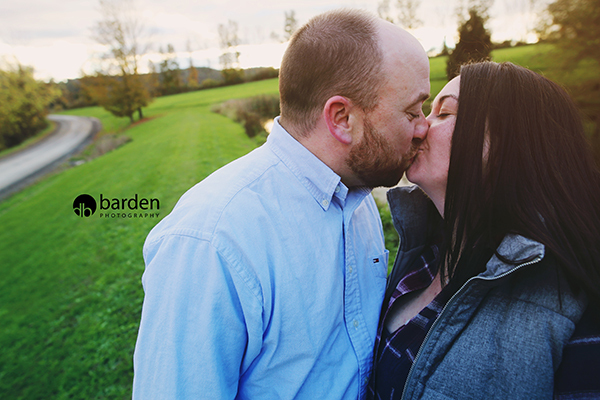 Kristi & Patrick – THANK YOU SO MUCH for coming down to see me! 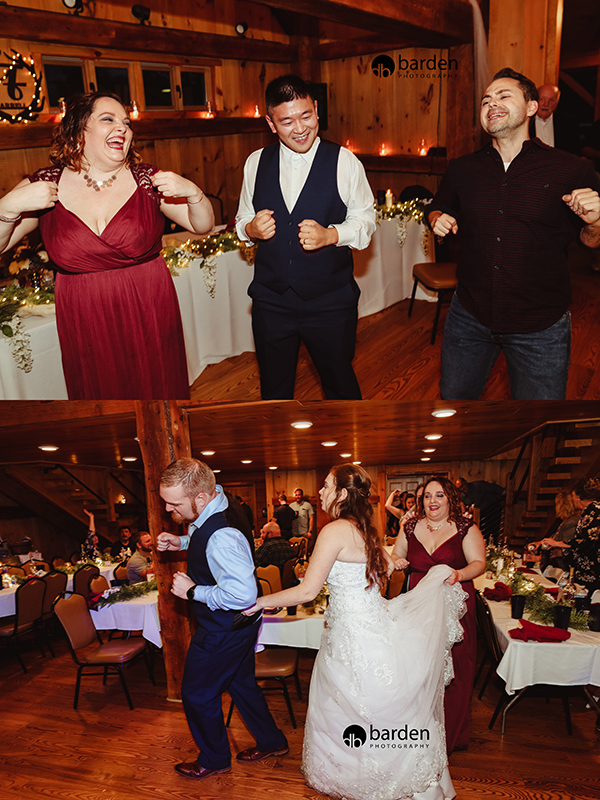 I JUST LOVE YOU GUYS! 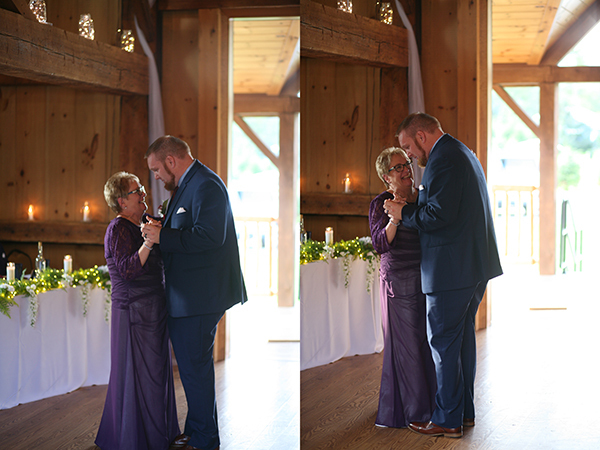 DO YOU SEE HIS MOM’S REACTION!? 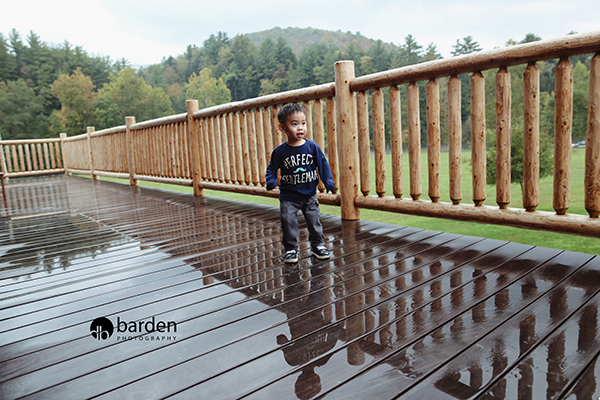 It RAINED & RAINED & RAINED – heavy – but we missed it! 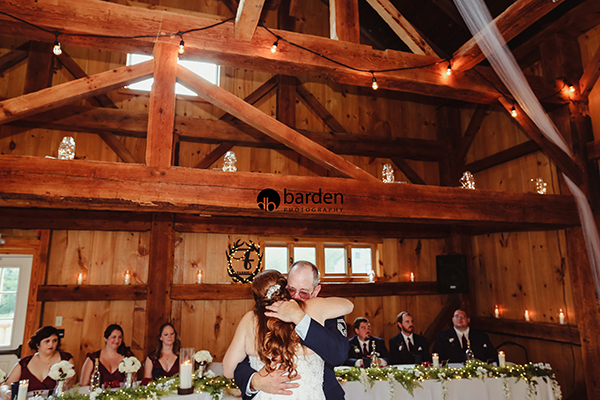 We were dry & warm inside the barn – eating a fantastic dinner! 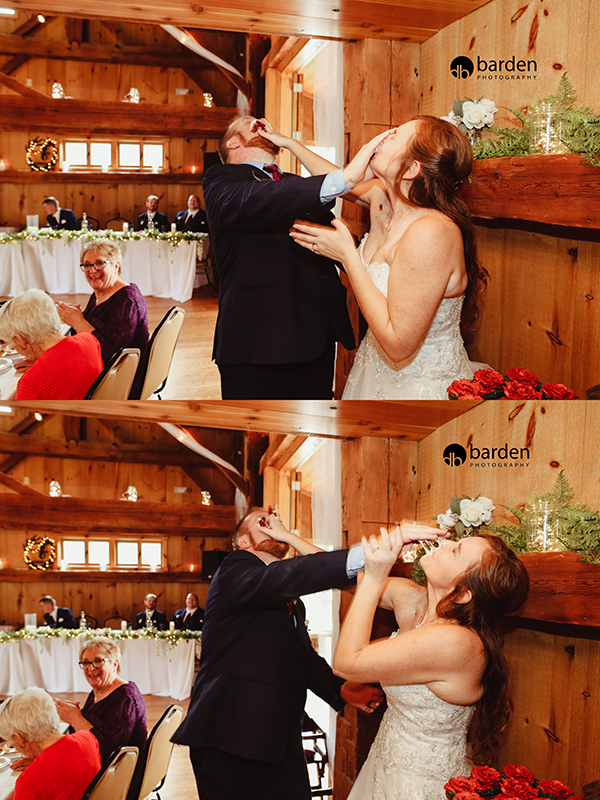 Make sure you kiss – A LOT – on your wedding day! 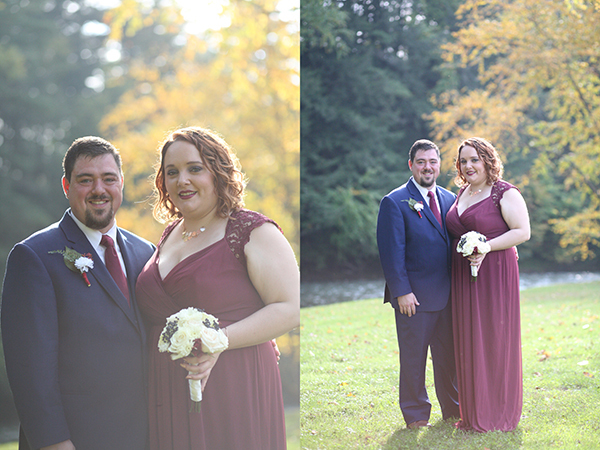 We missed sunset while the dollar dance was happening – BUT I’ve been loving that dusky feel lately! 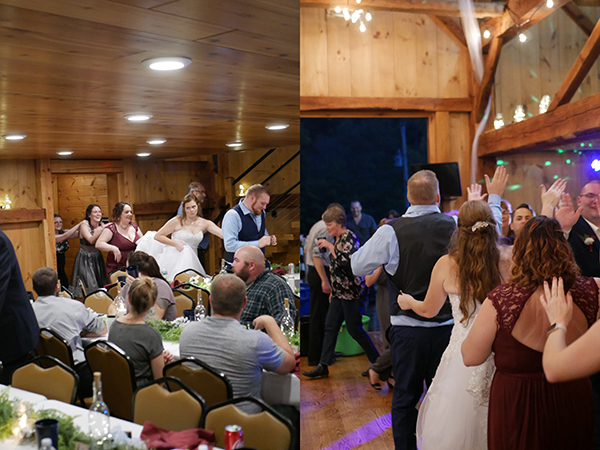 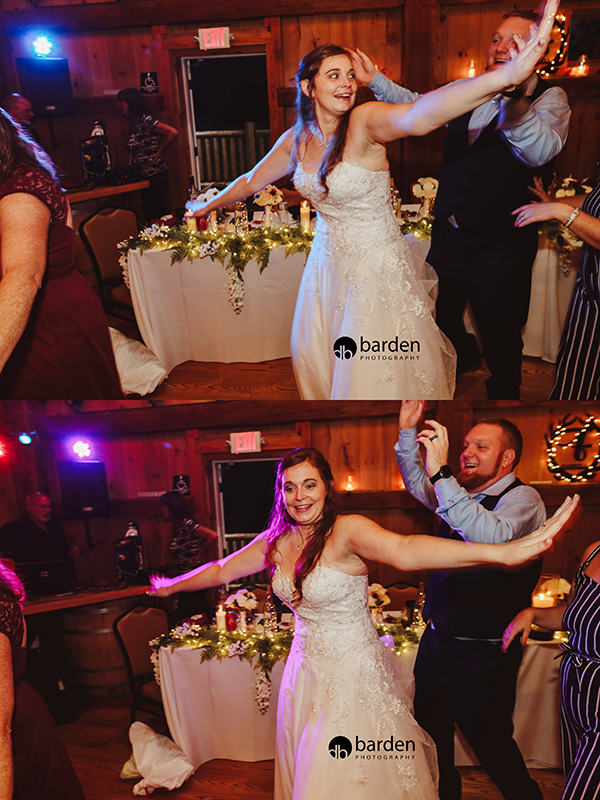 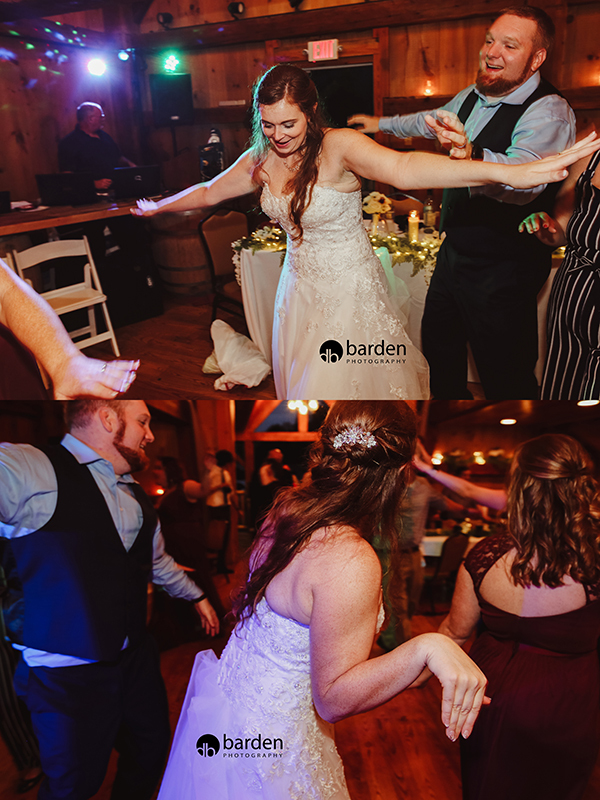 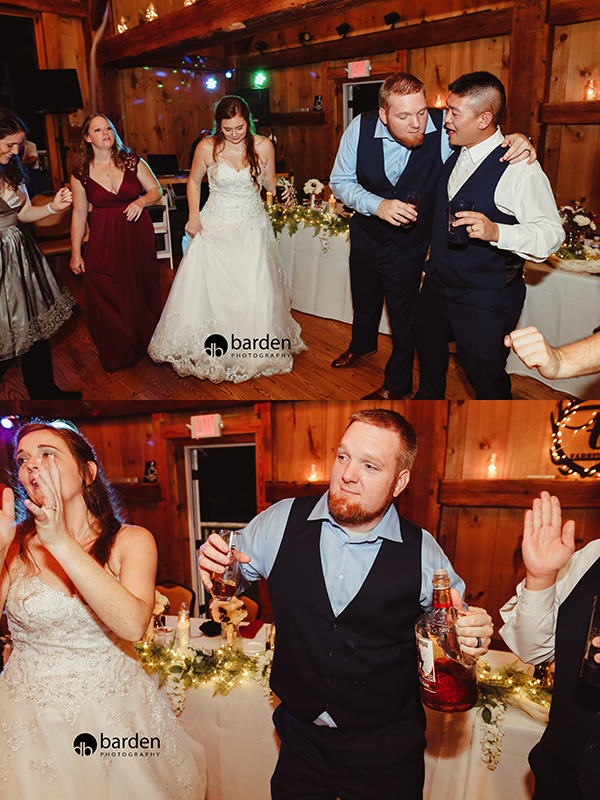 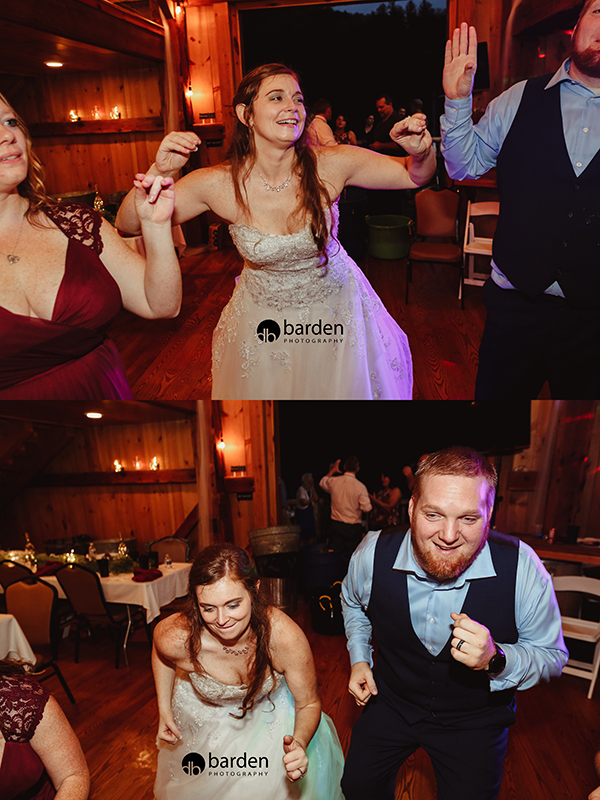 Brides & grooms – MAKE SURE YOU DANCE ON YOUR WEDDING DAY!! 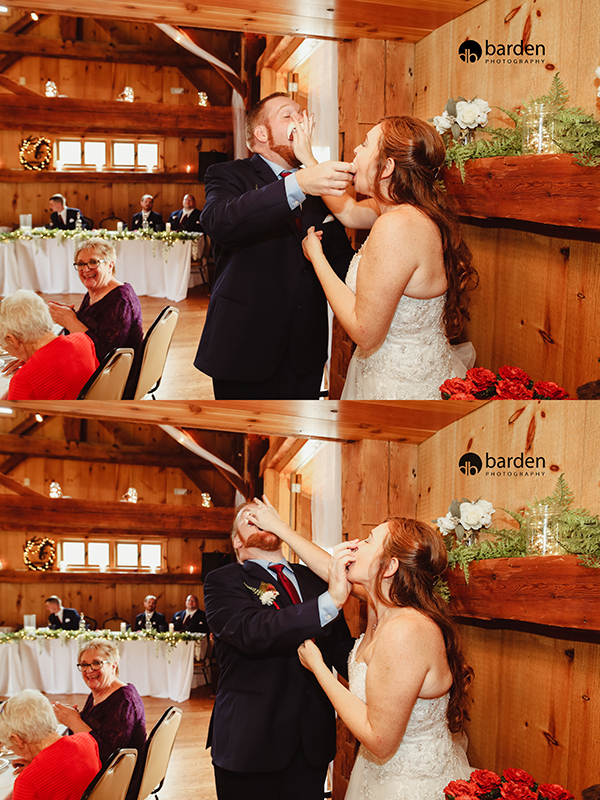 LOOK AT THOSE SHOTS!! 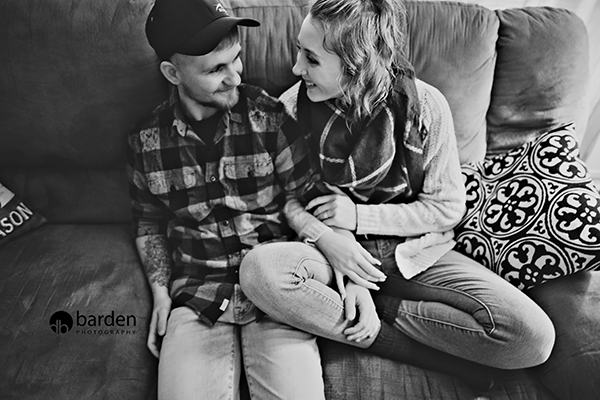 THAT SMILE!! 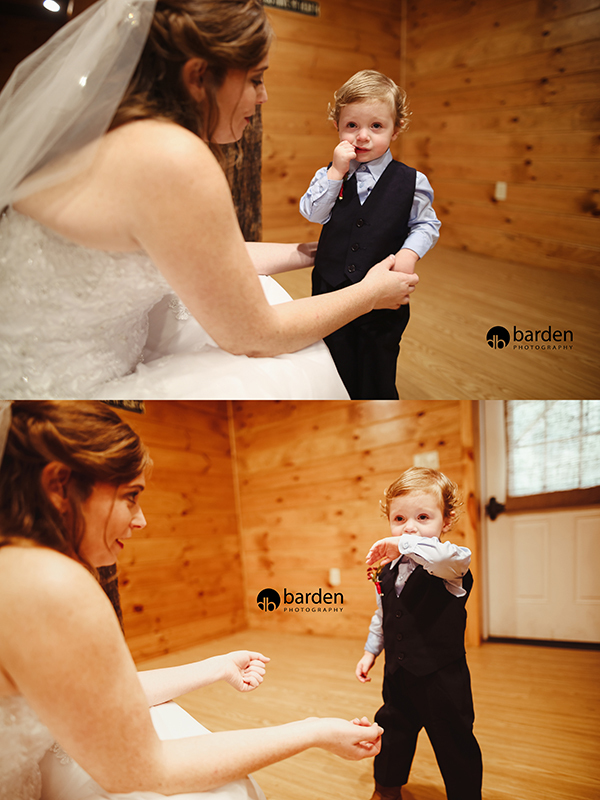 Isn’t he such a sweetie! 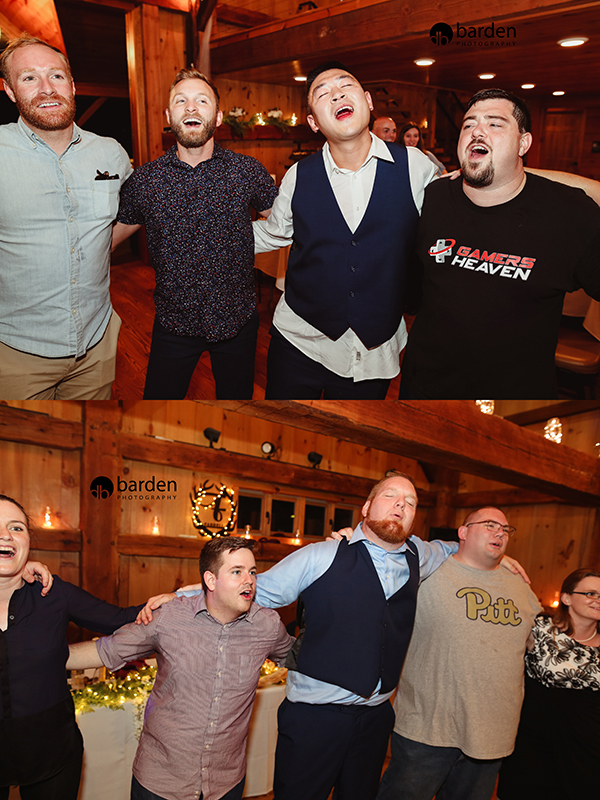 SING US A SONG – YOU’RE THE PIANO MAN – SING US A SONG TONIGHT! 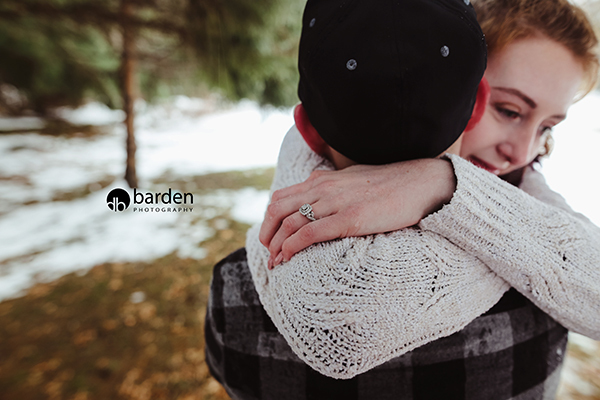 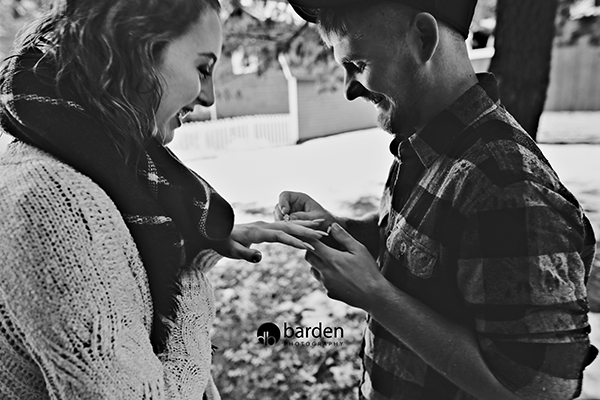 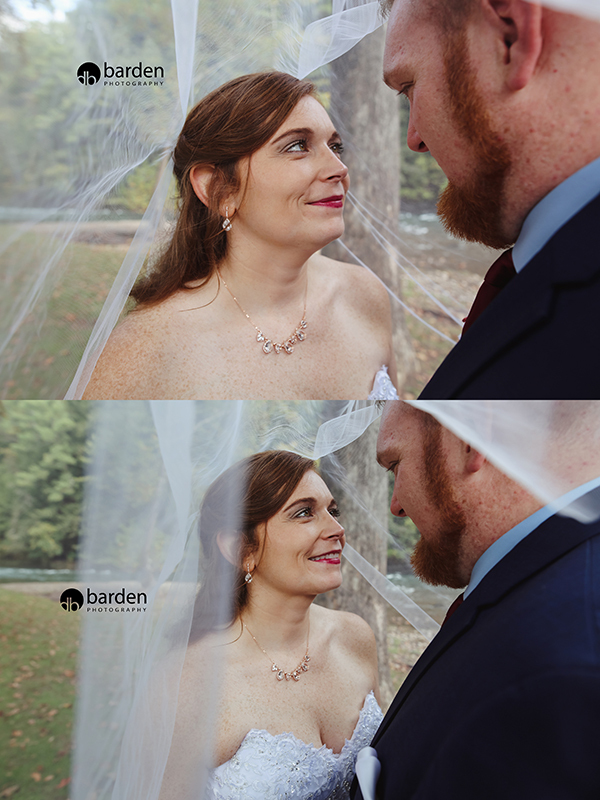 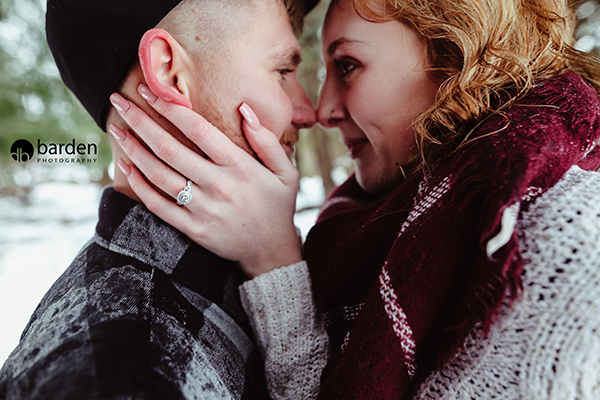 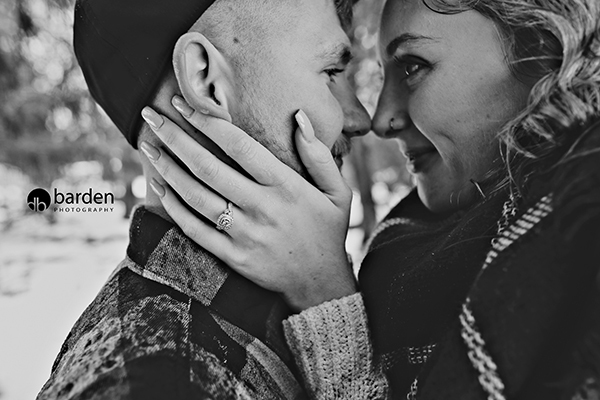 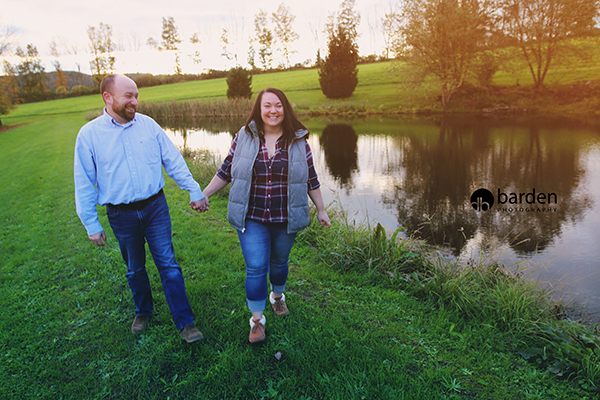 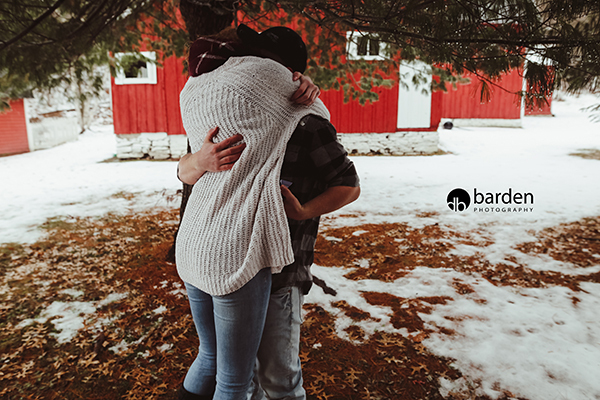 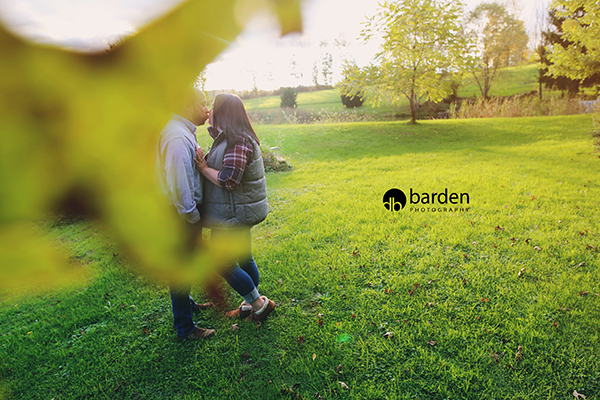 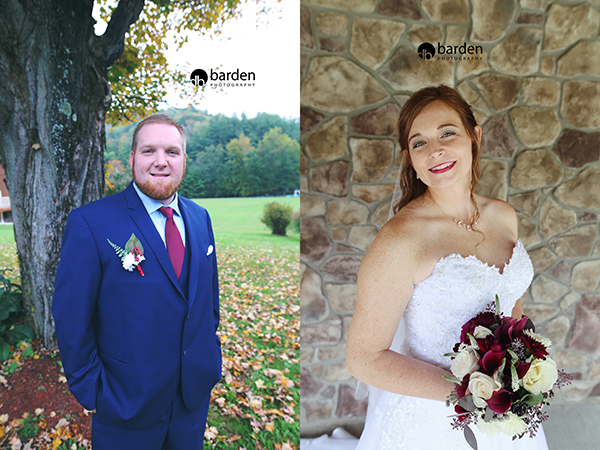 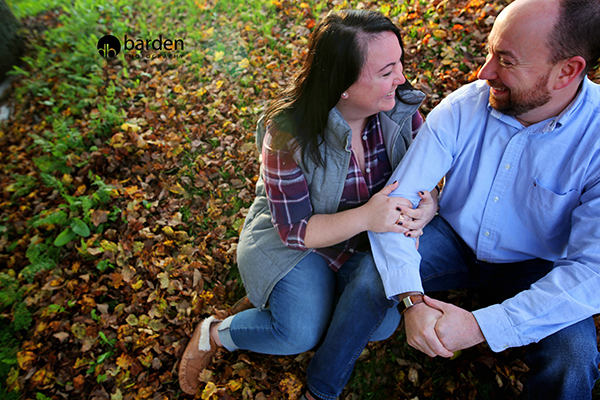 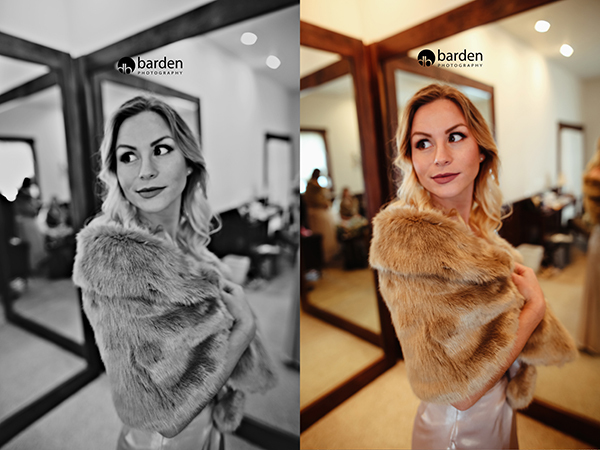 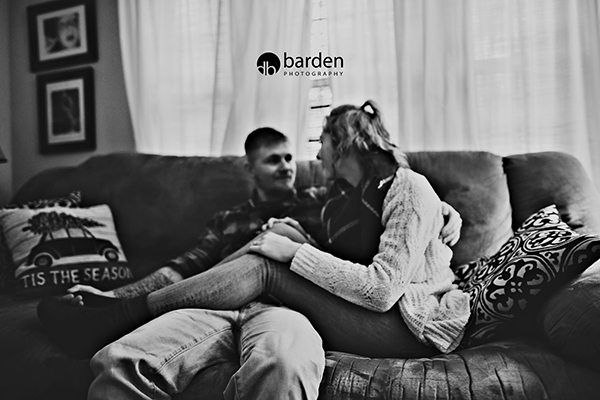 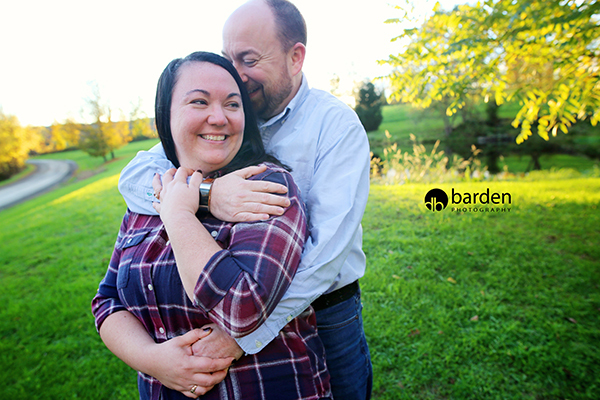 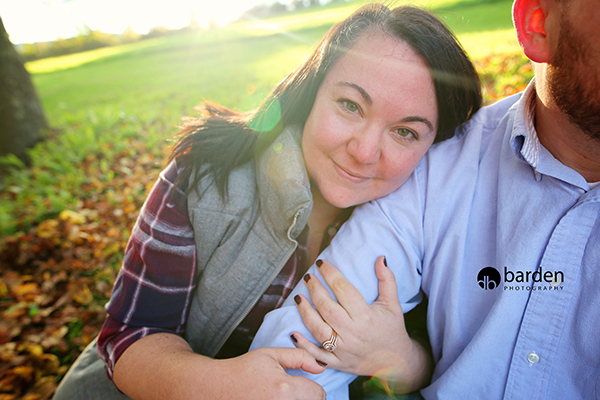 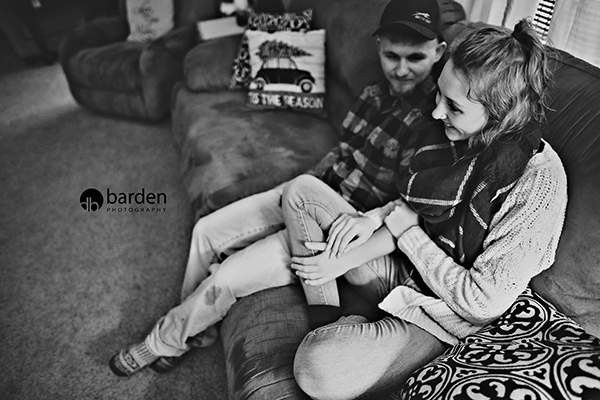 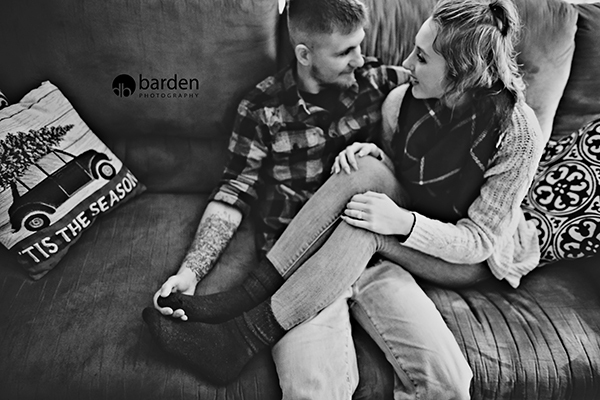 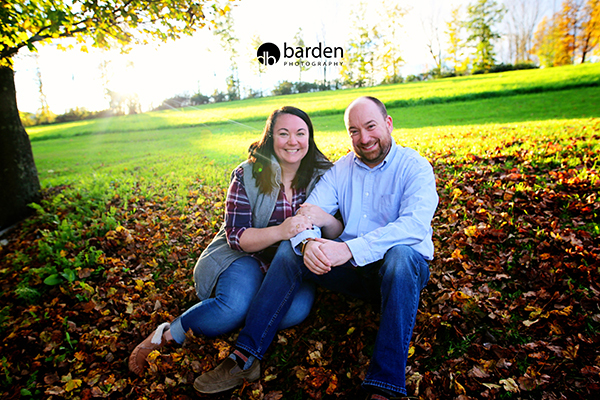 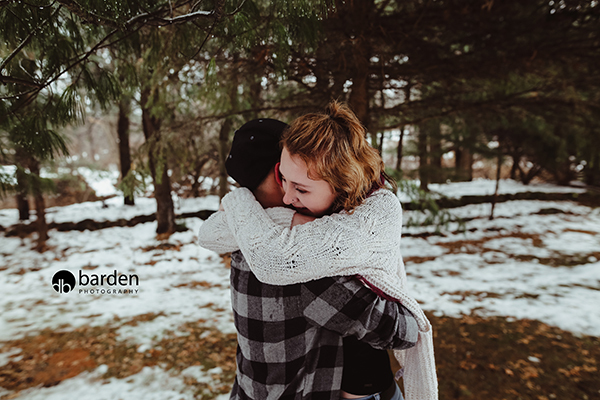 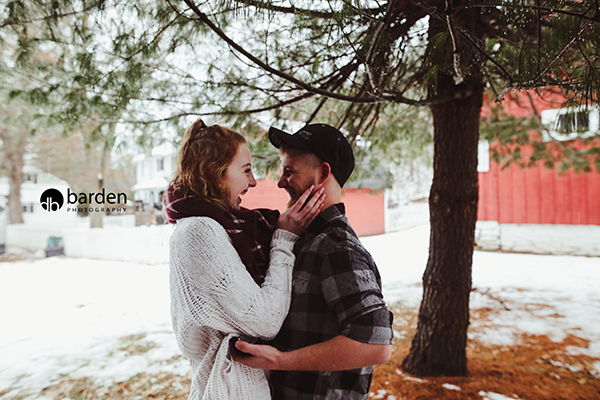 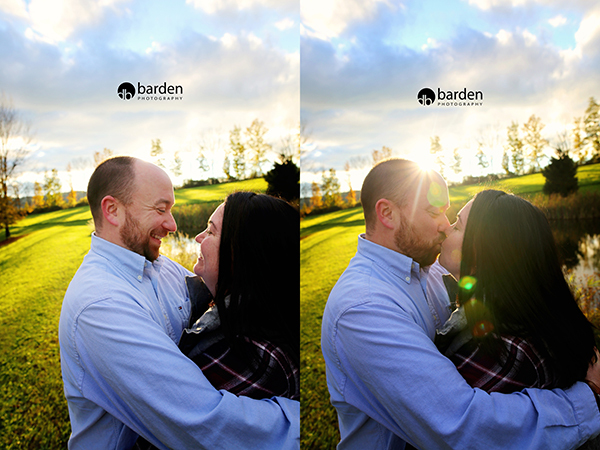 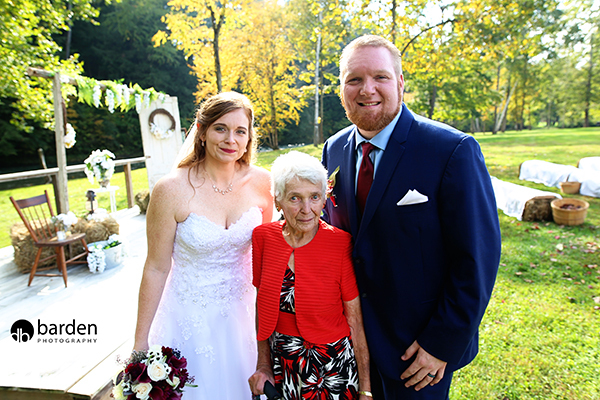 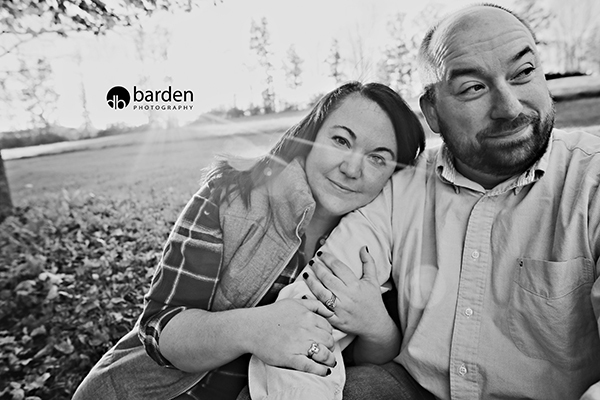 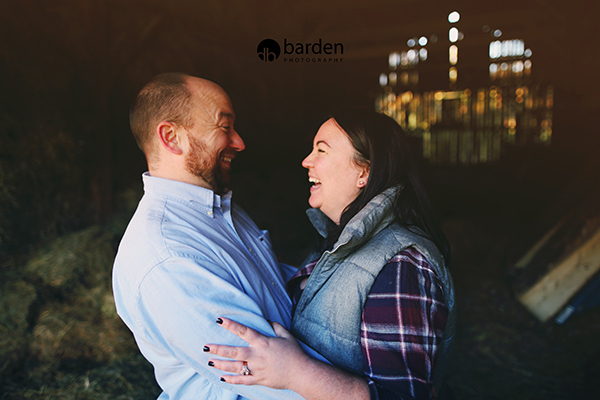 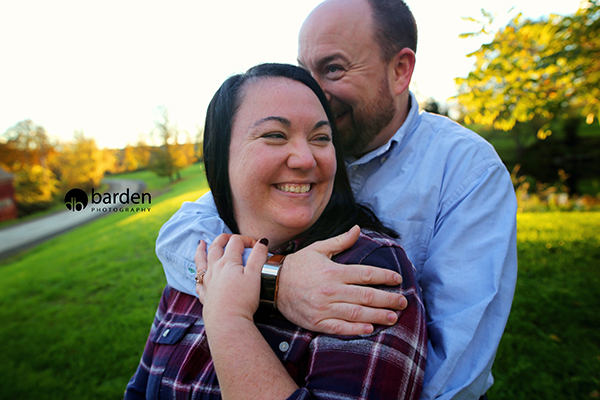 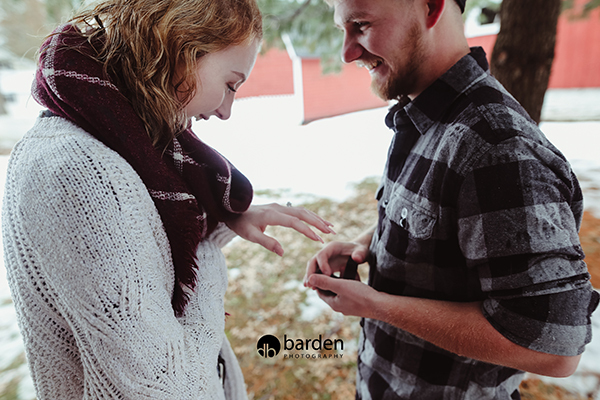 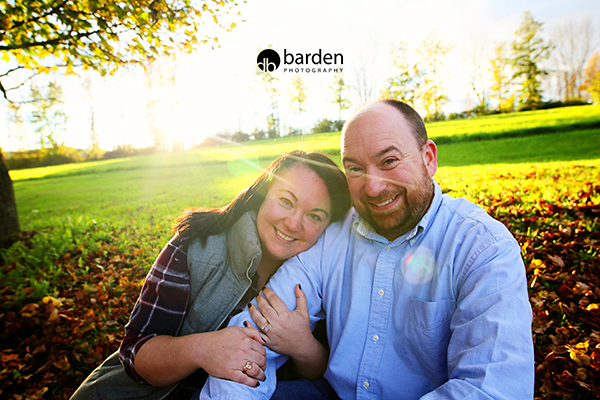 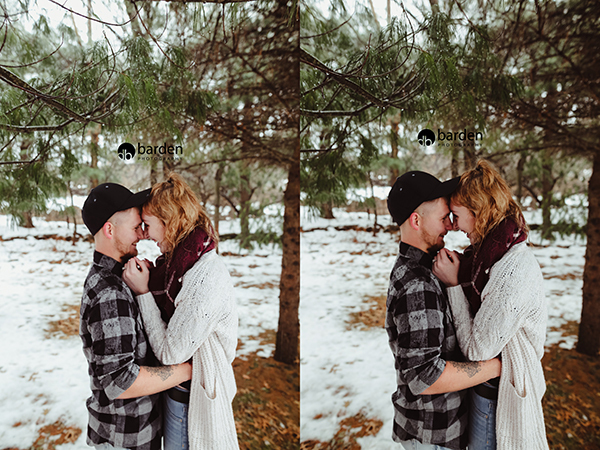 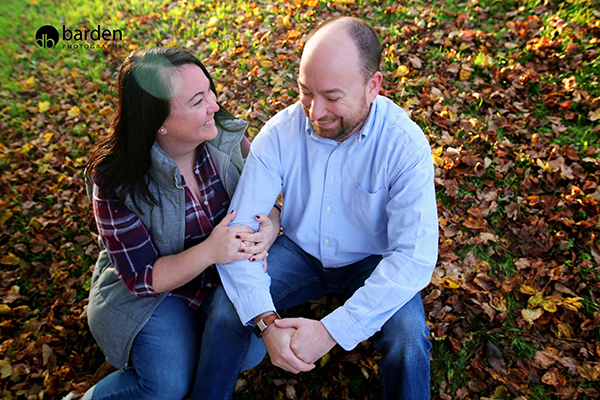 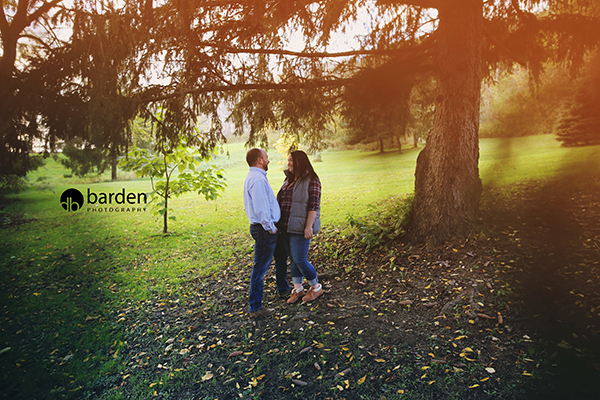 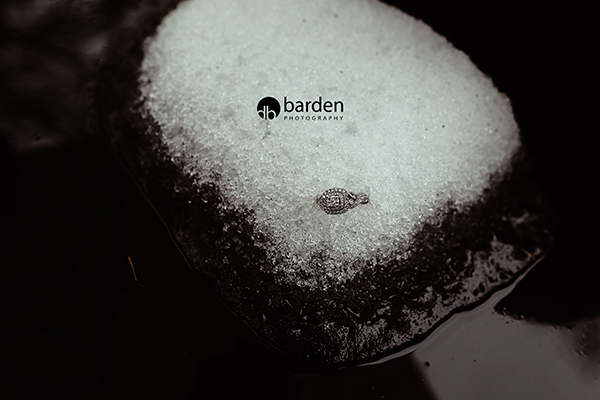 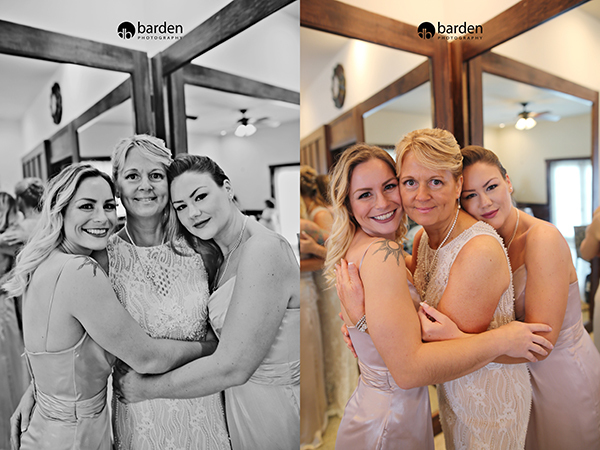 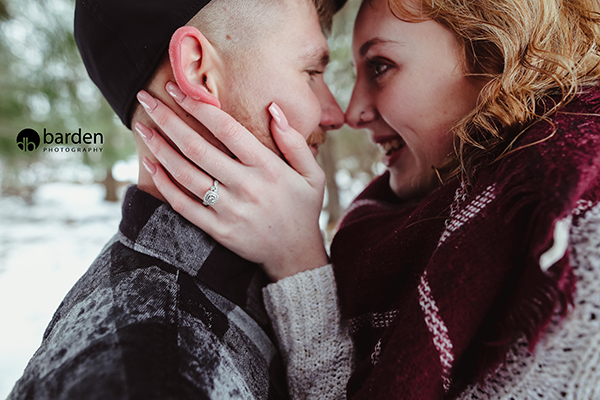 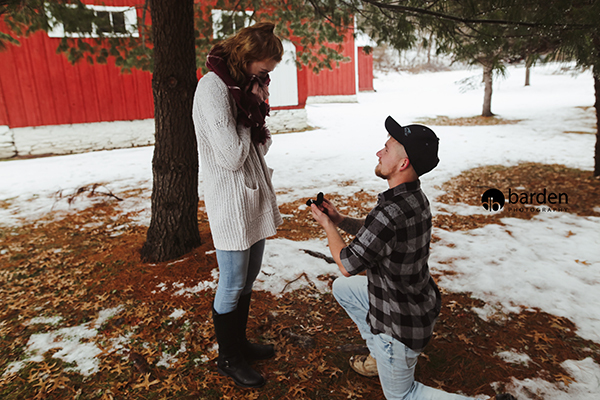 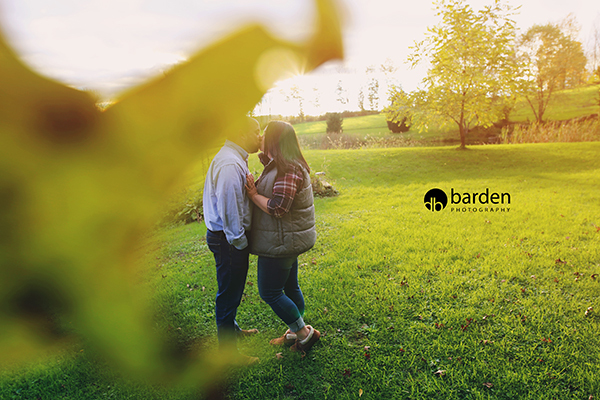 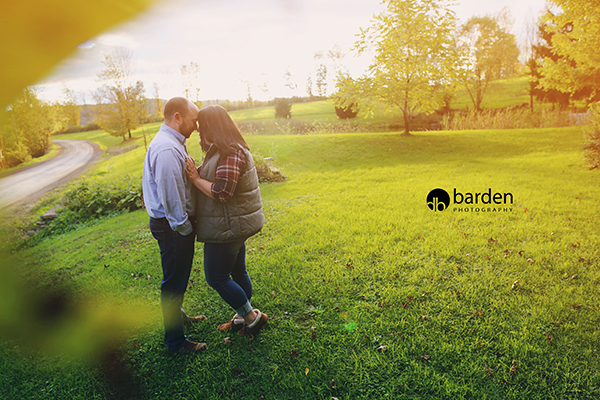 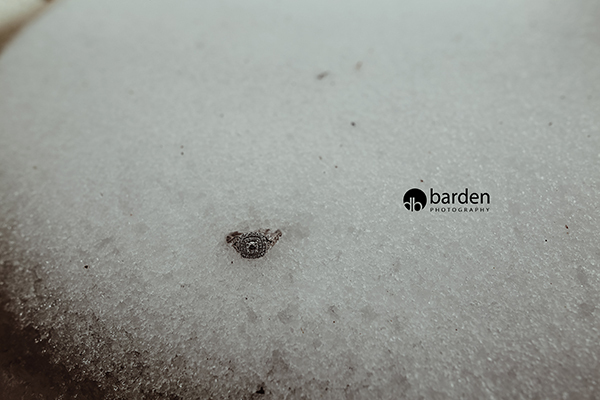 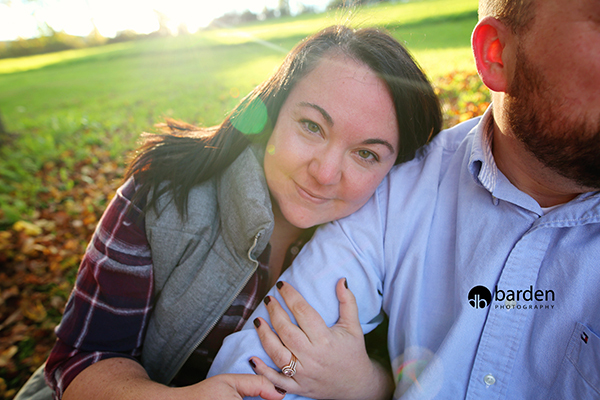 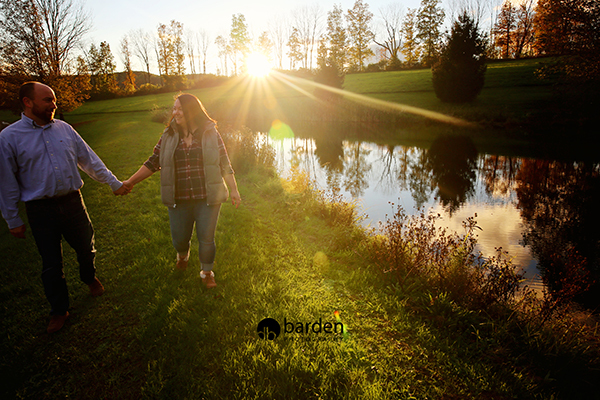 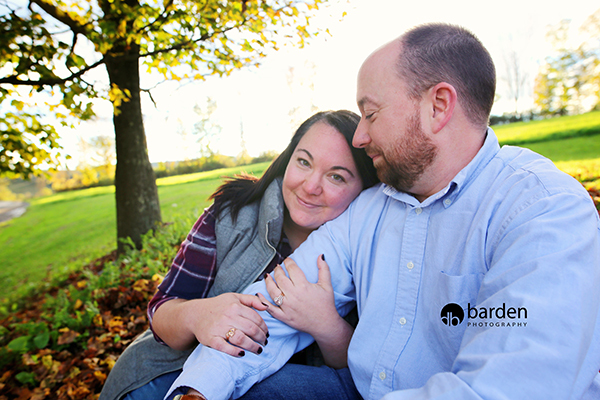 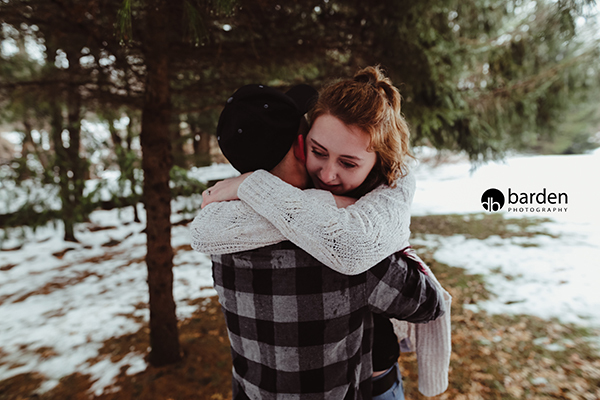 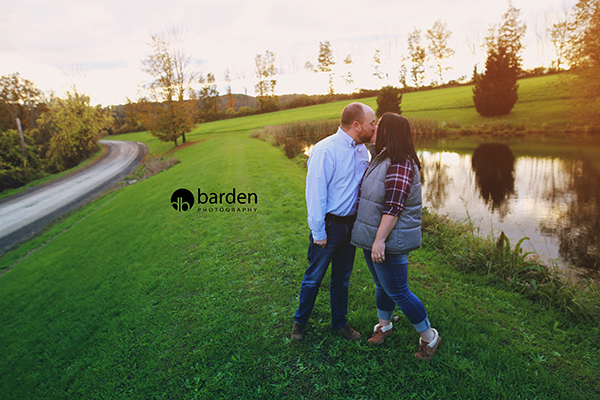 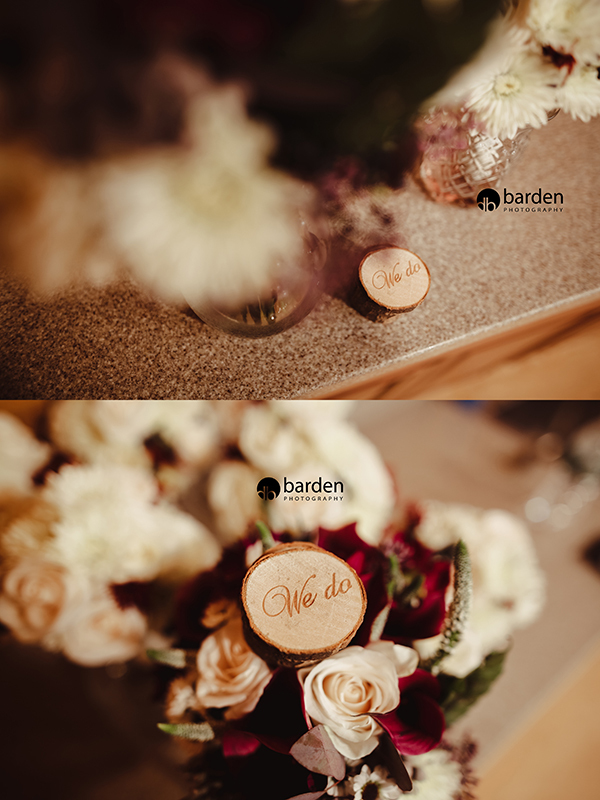 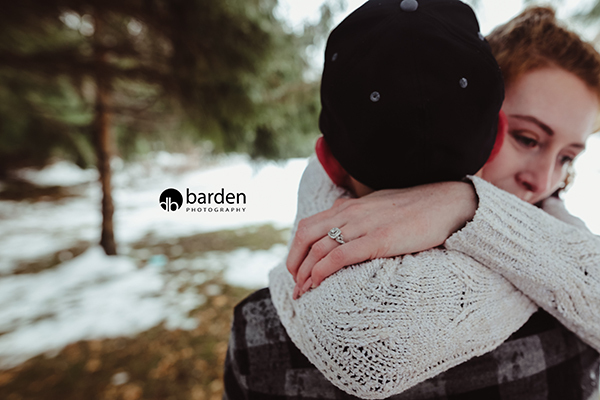 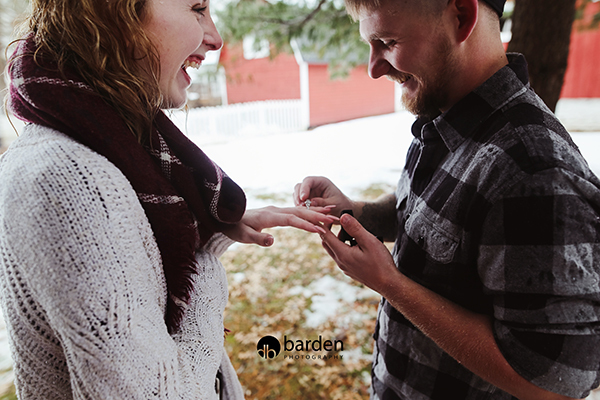 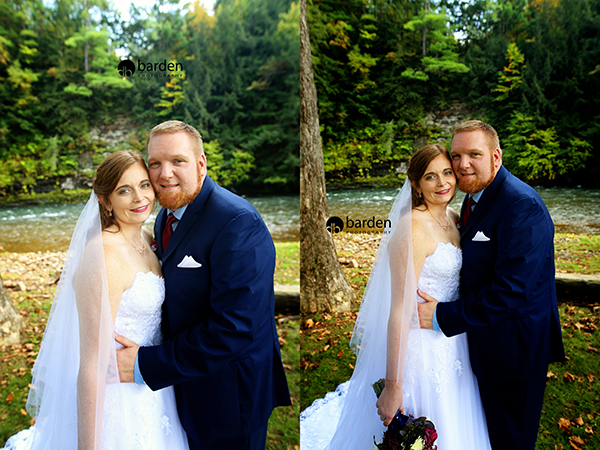 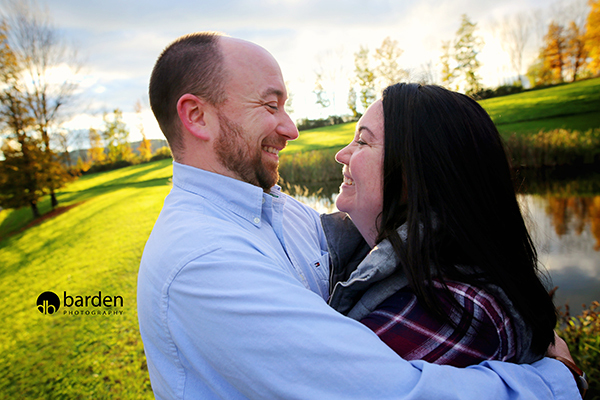 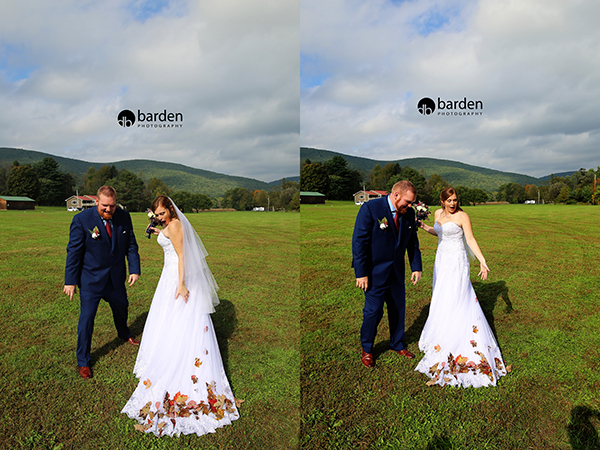 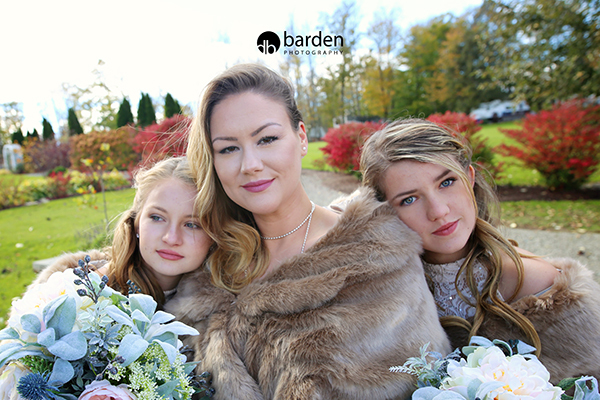 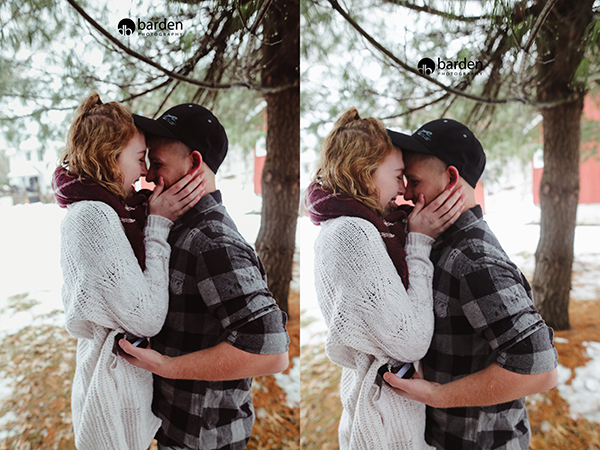 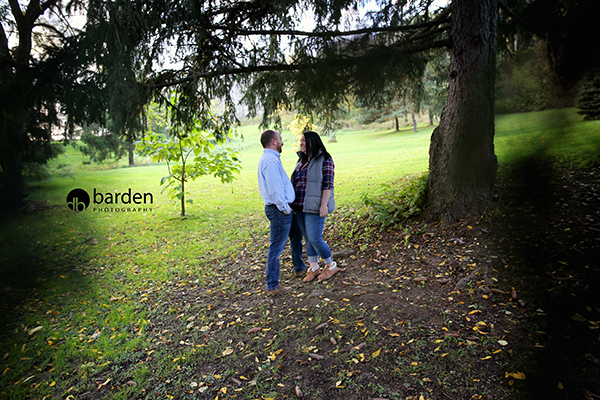 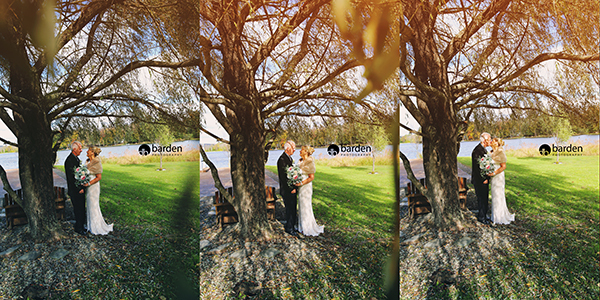 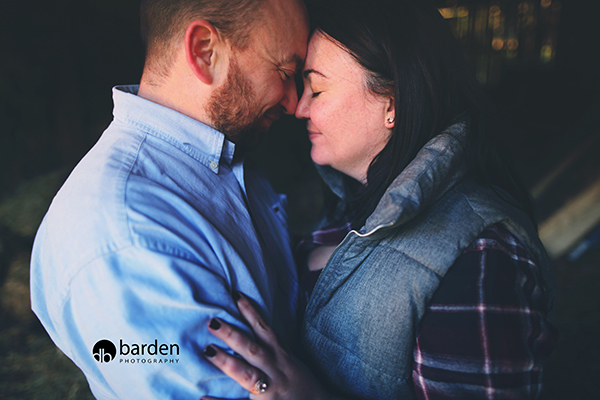 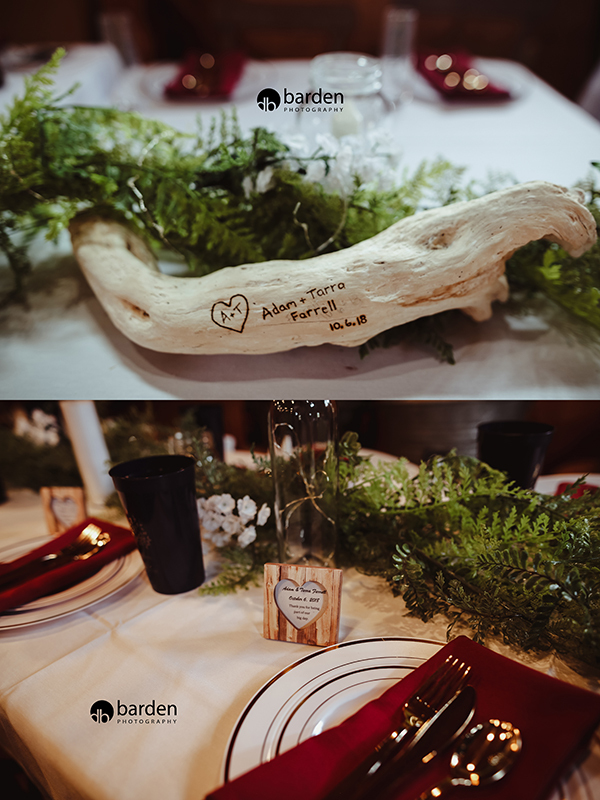 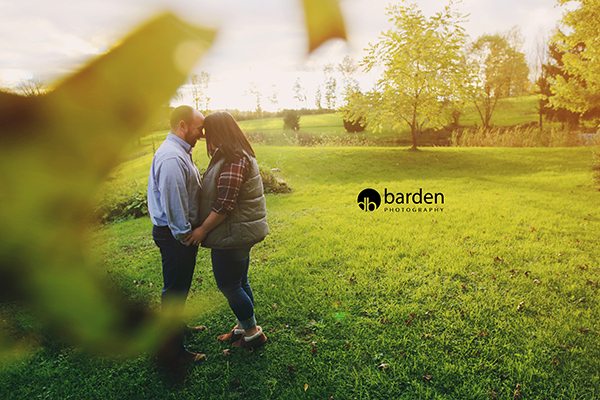 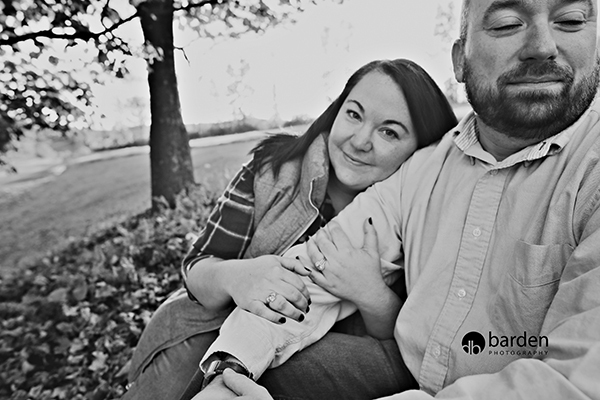 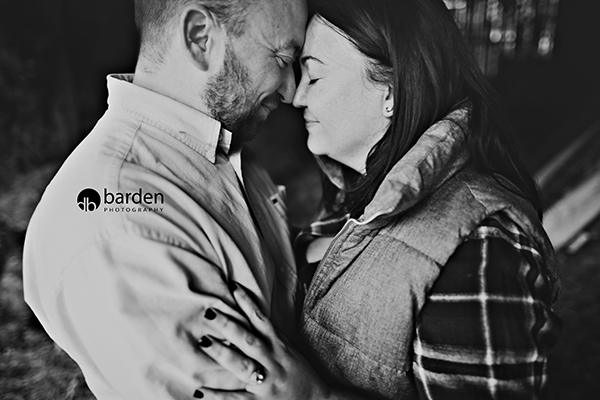 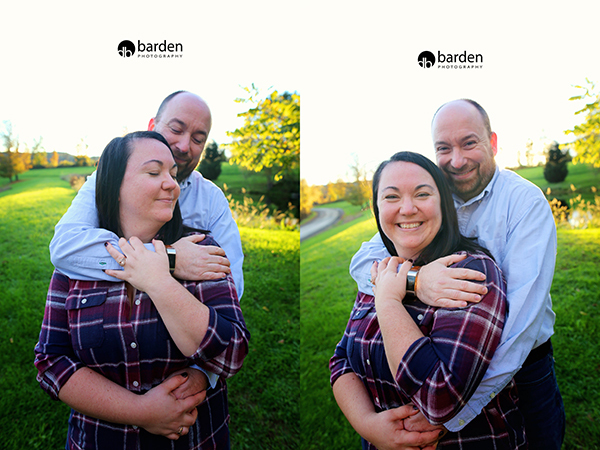 Tarra & Adam – THANK YOU SO MUCH for asking me to spend the day with you! 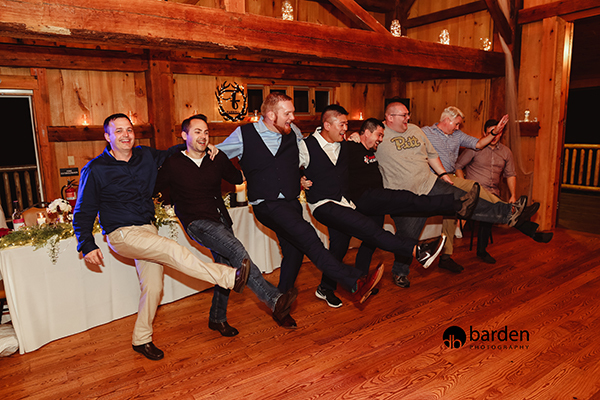 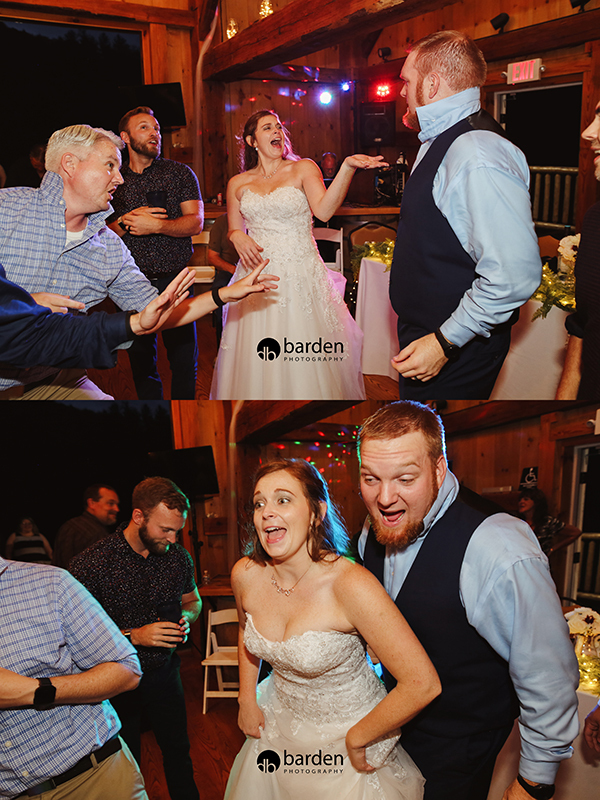 And THANK YOU for dancing the night away – it makes for FANTASTIC pictures!! 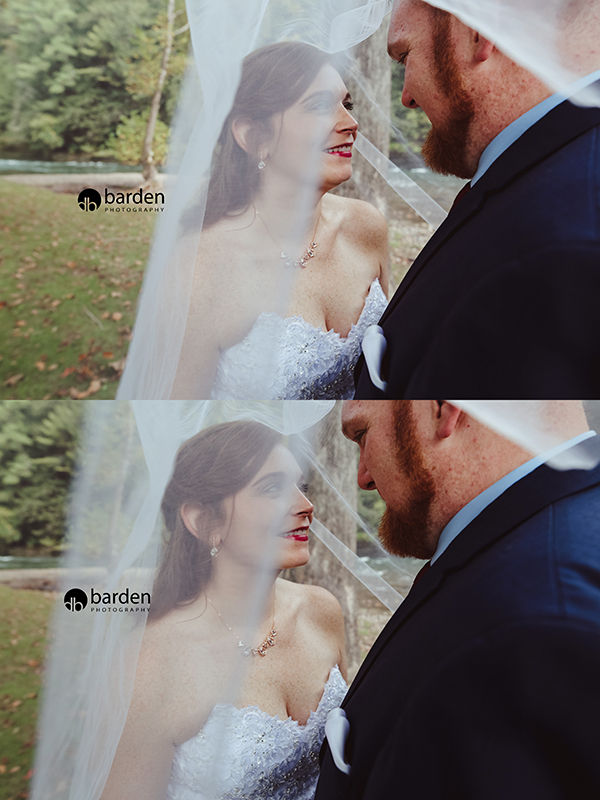 I hope you LOVE your photos!! 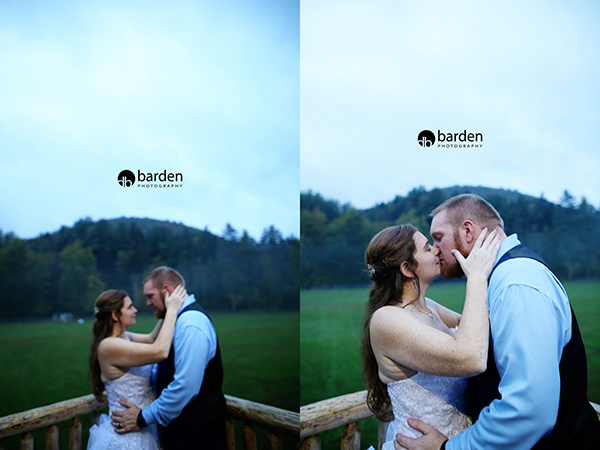 The ones you’ve been waiting for!! 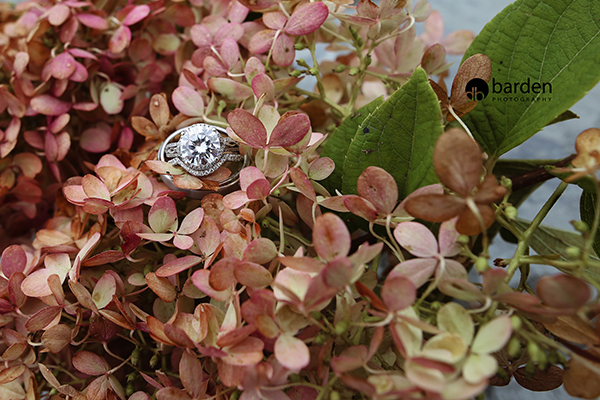 Tarra mentioned a little waterfall just down the creek – I had NO IDEA we would be walking to HAWAII!! 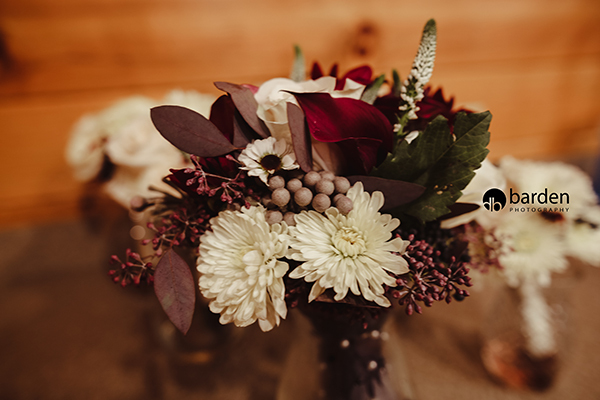 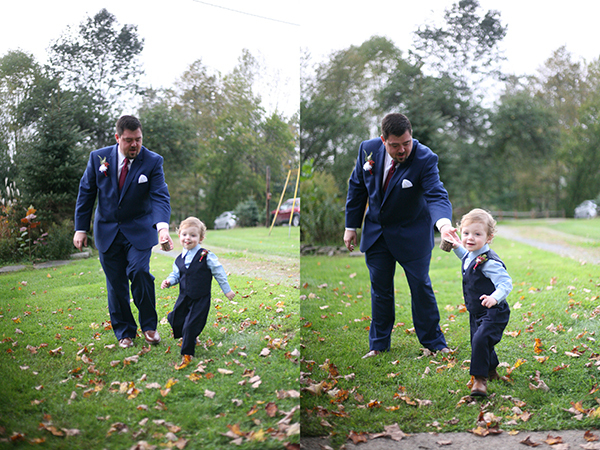 Fall weddings are my FAVORITE!! 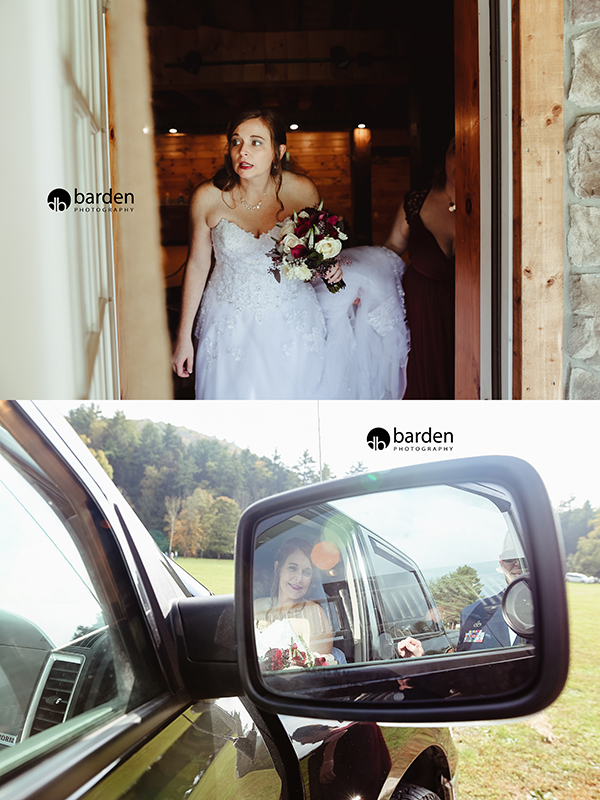 ONE MORE post – TOMORROW!! 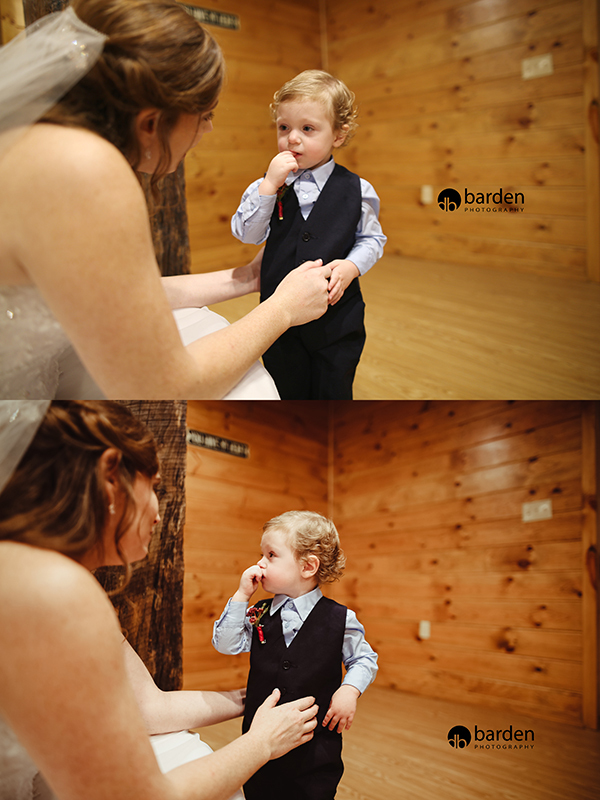 Tarra let me know that their nephew is a special little guy and they wanted LOTS of photos with him! 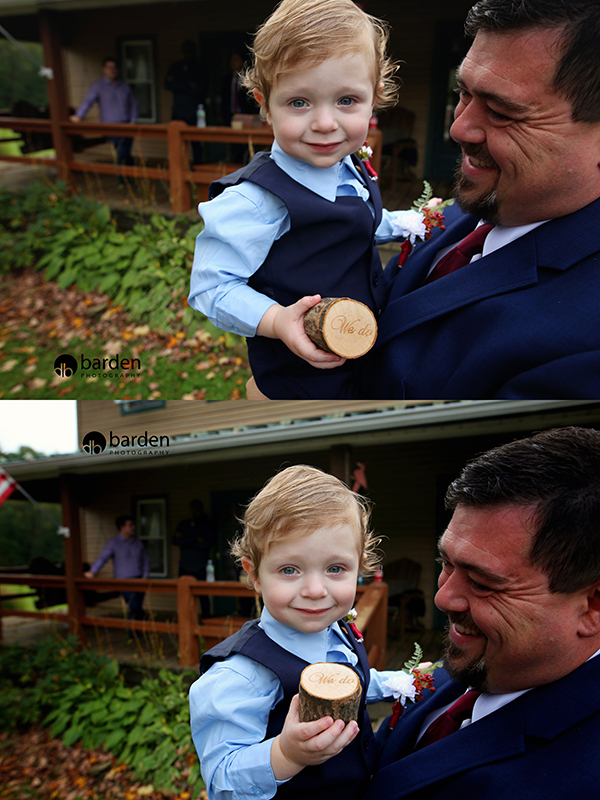 He almost always turned that smile on when I focused on him! 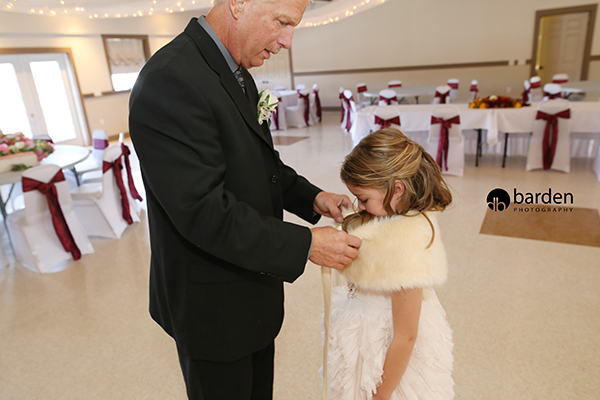 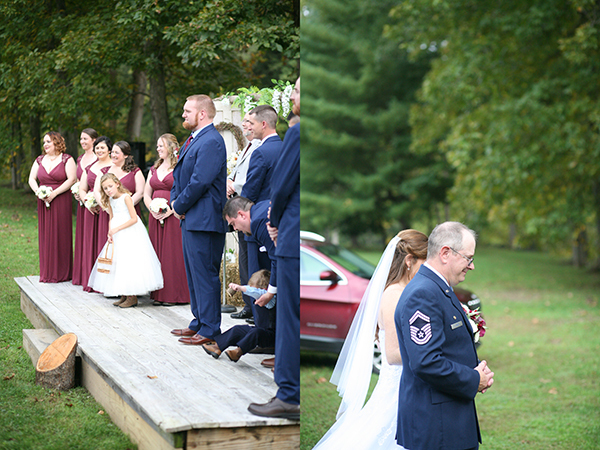 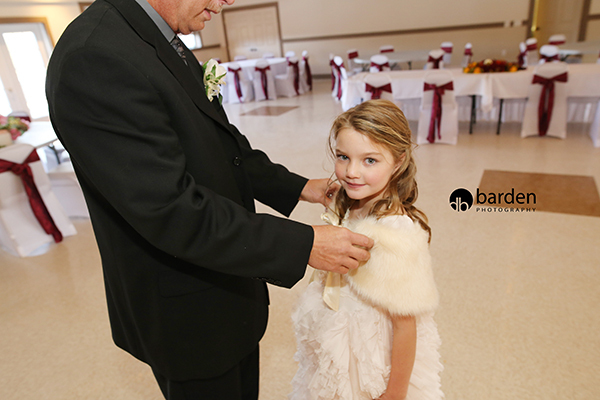 Her dad was RUNNING – making sure the wedding would start ON TIME! 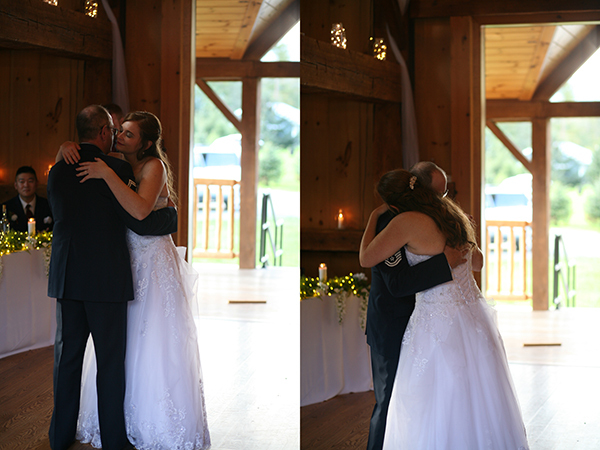 One LAST hug while he’s all hers! 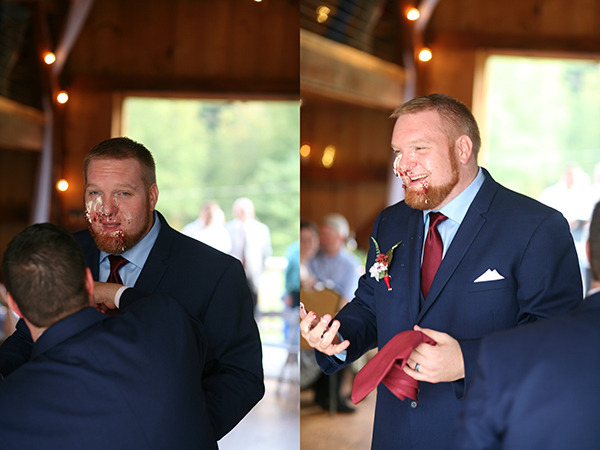 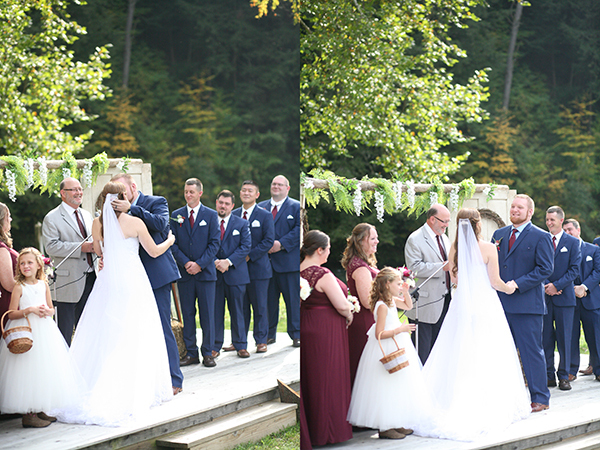 Seriously – these mother-of-the-groom moments – I can’t hold it together! 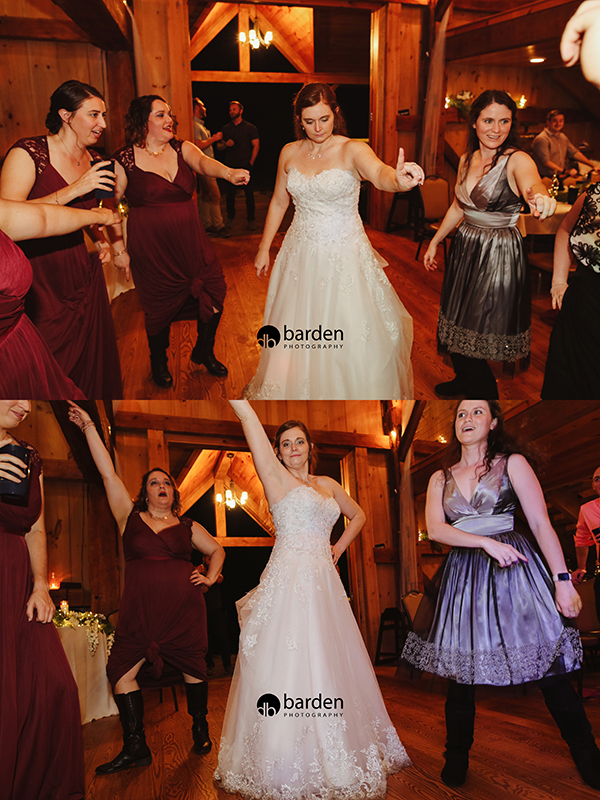 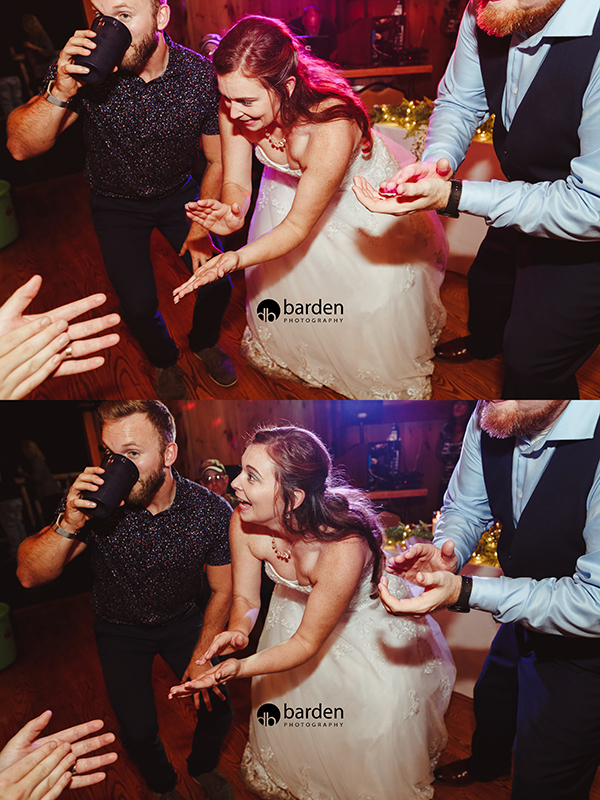 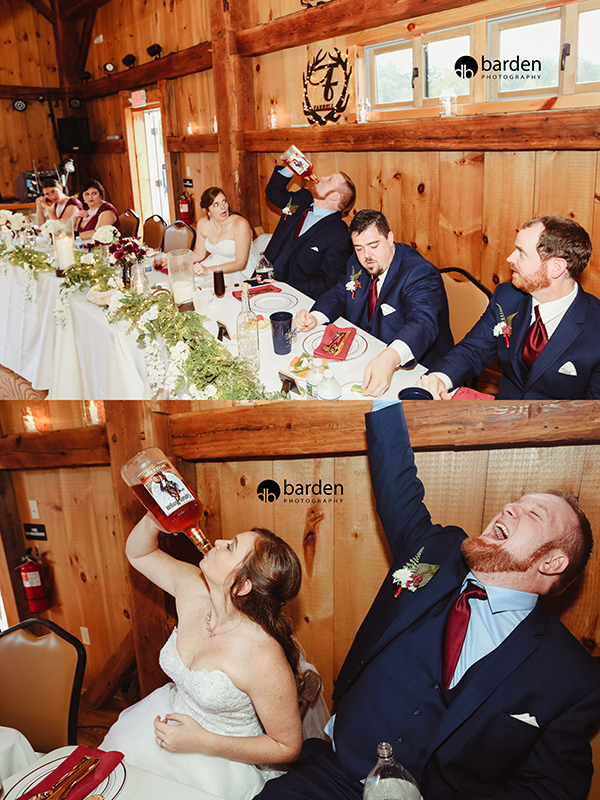 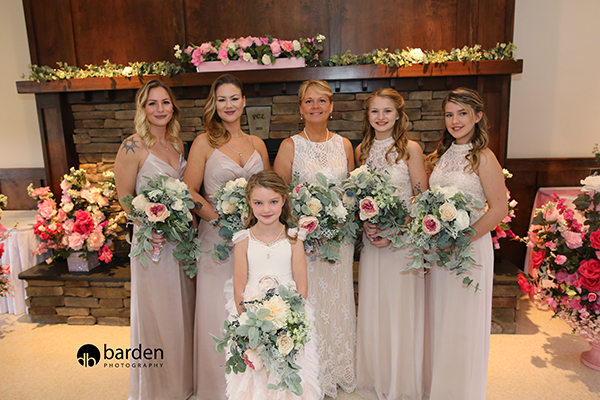 ALWAYS make sure your bridal party is a FUN bridal party!! 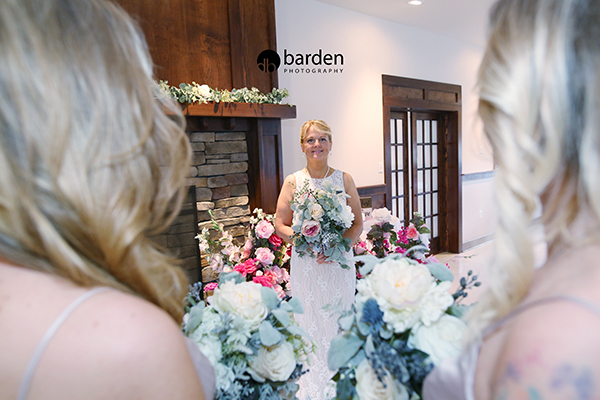 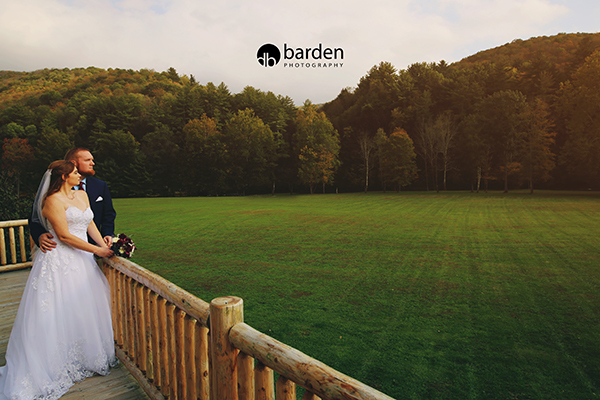 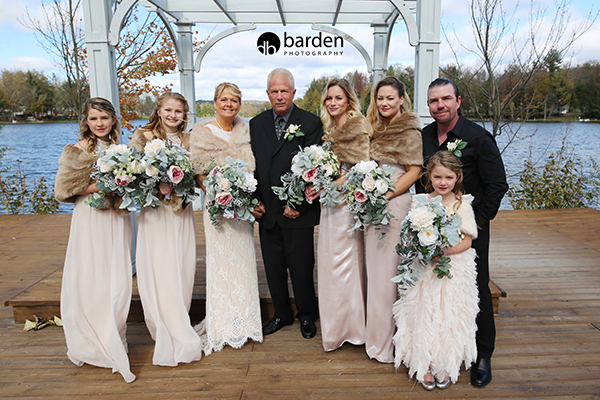 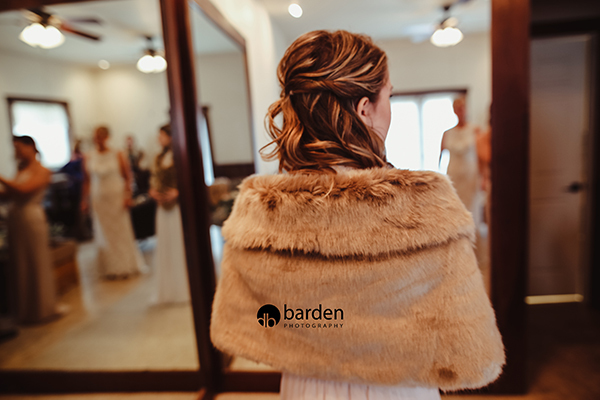 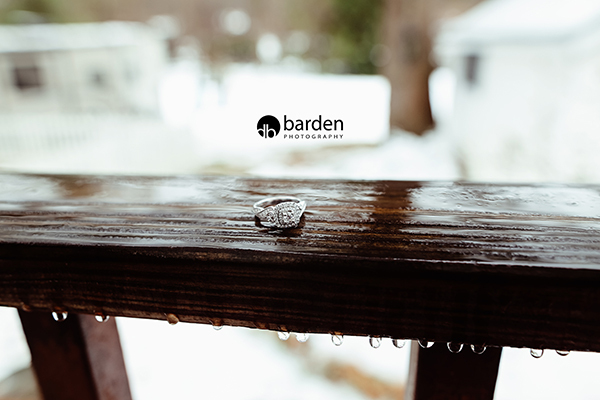 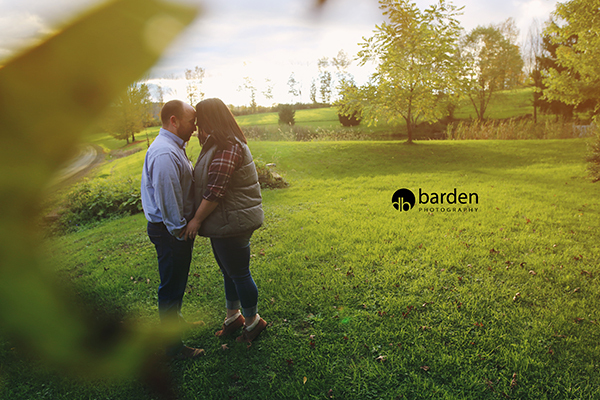 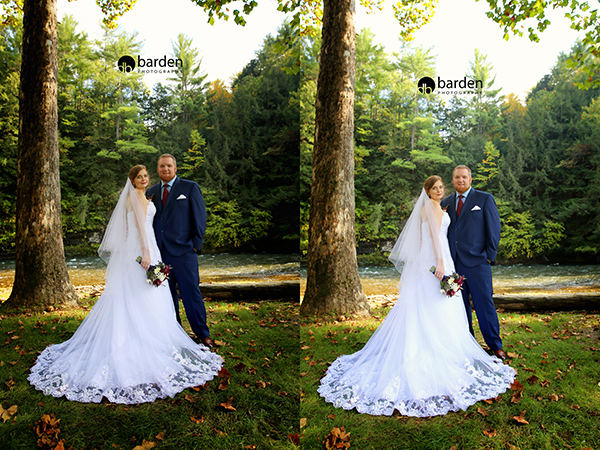 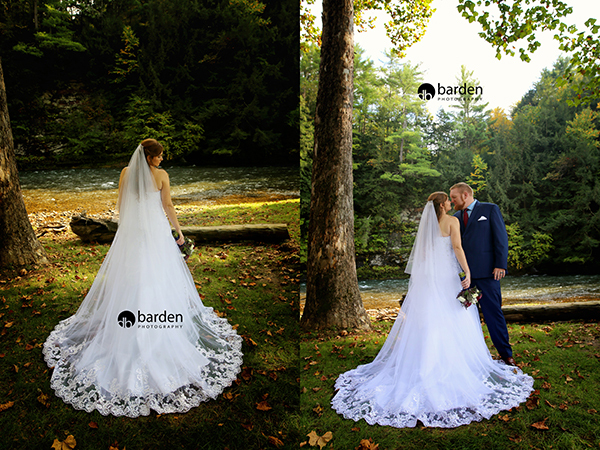 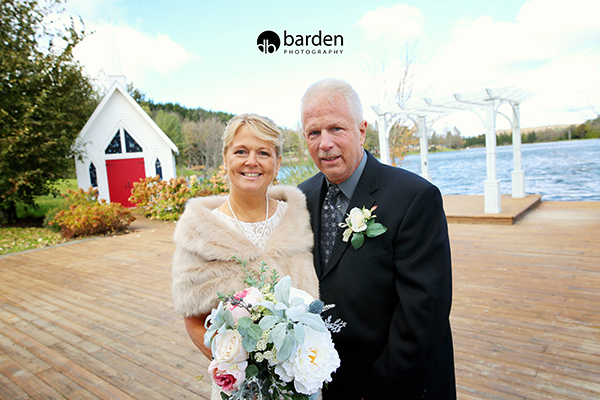 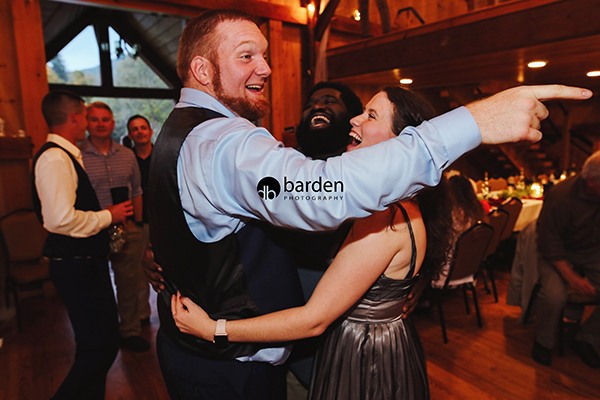 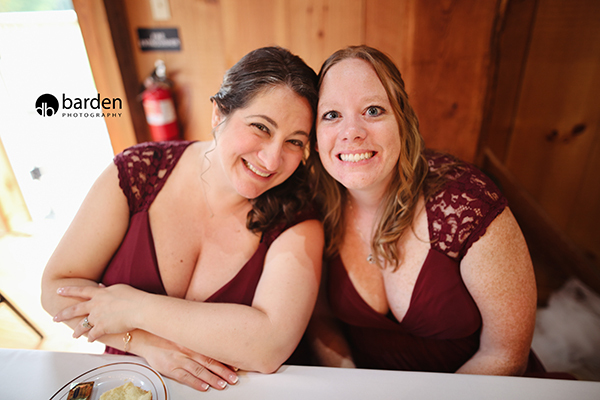 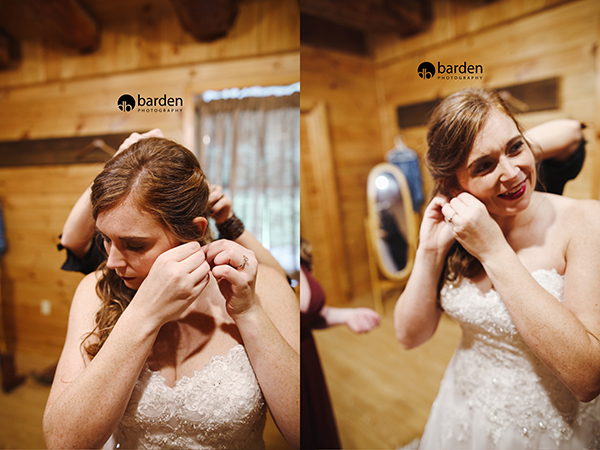 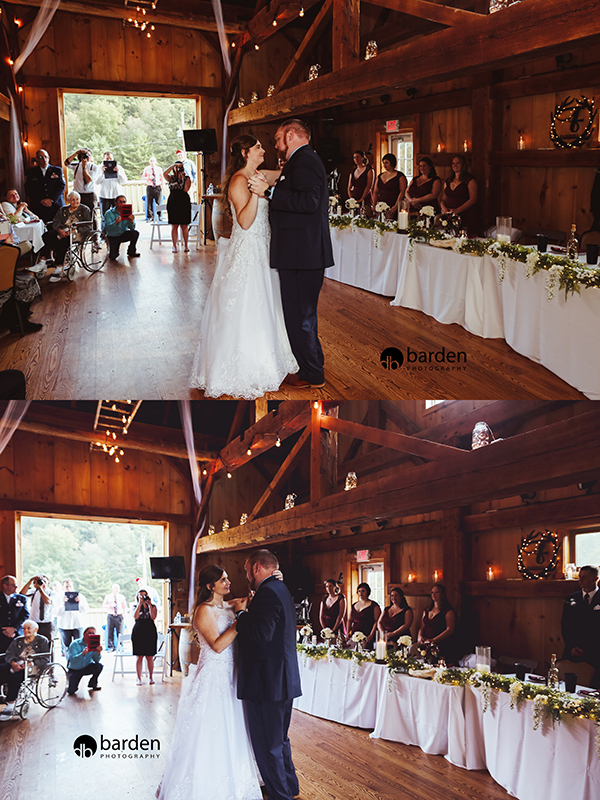 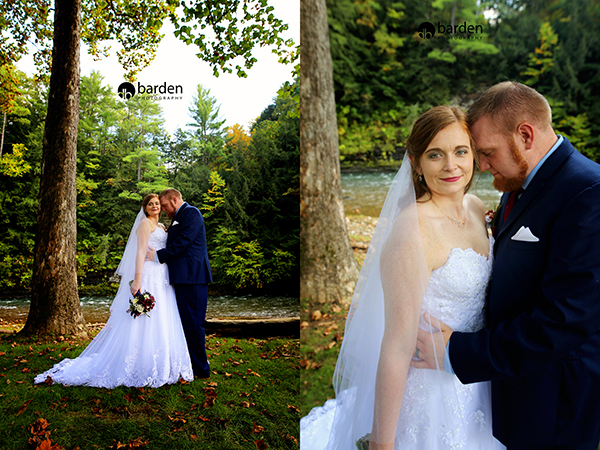 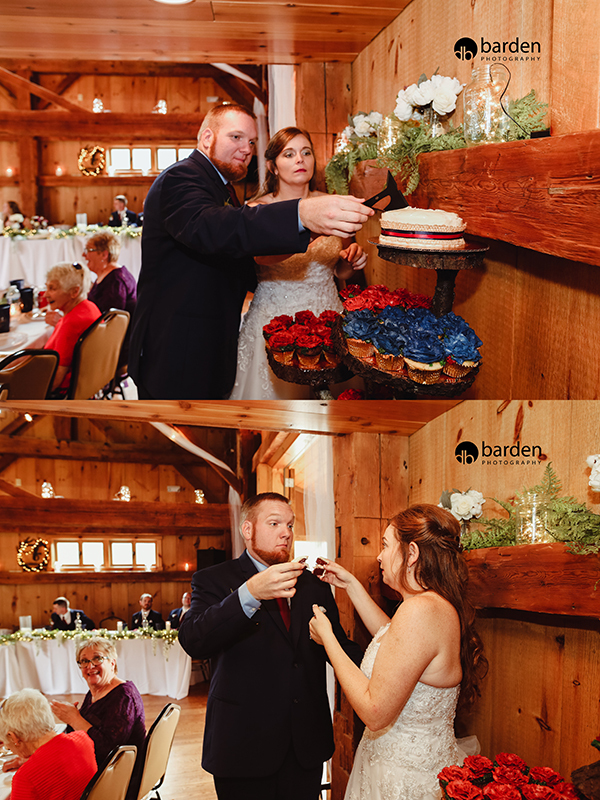 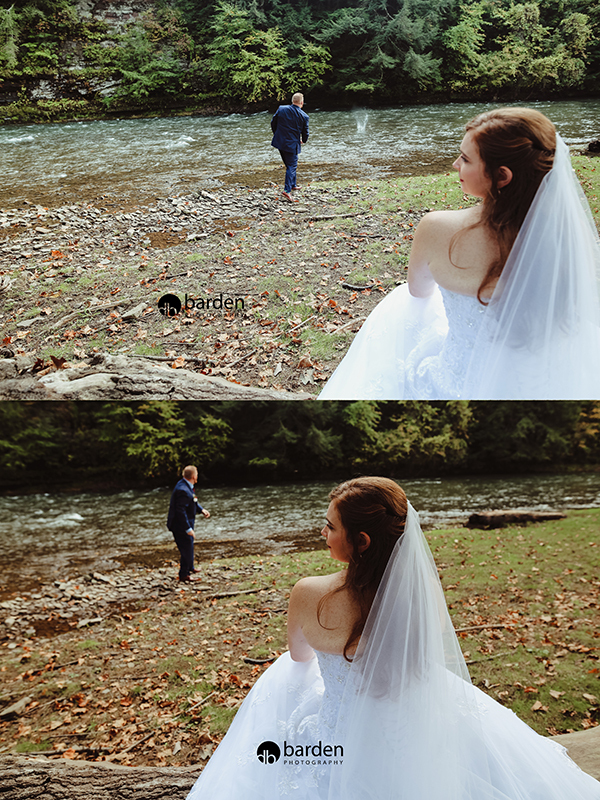 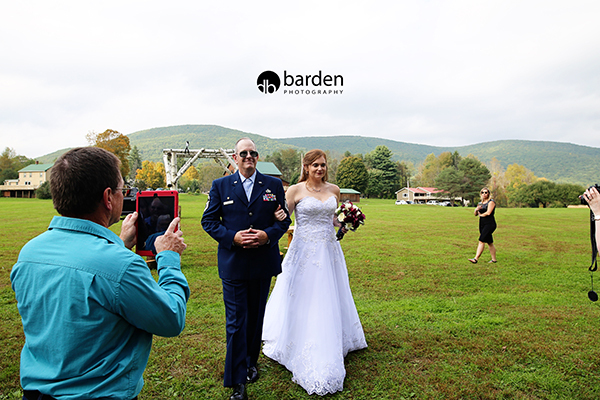 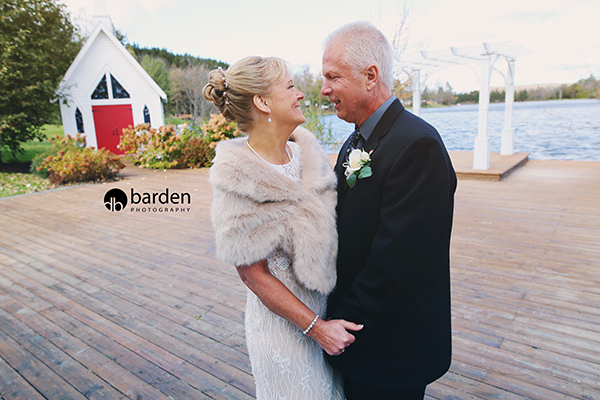 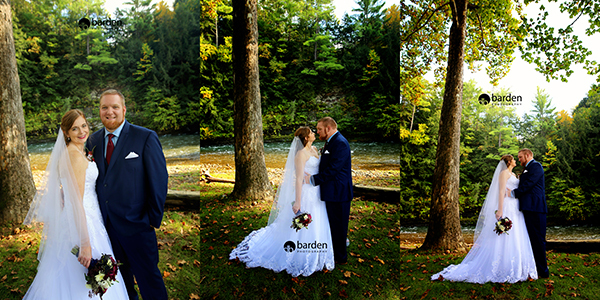 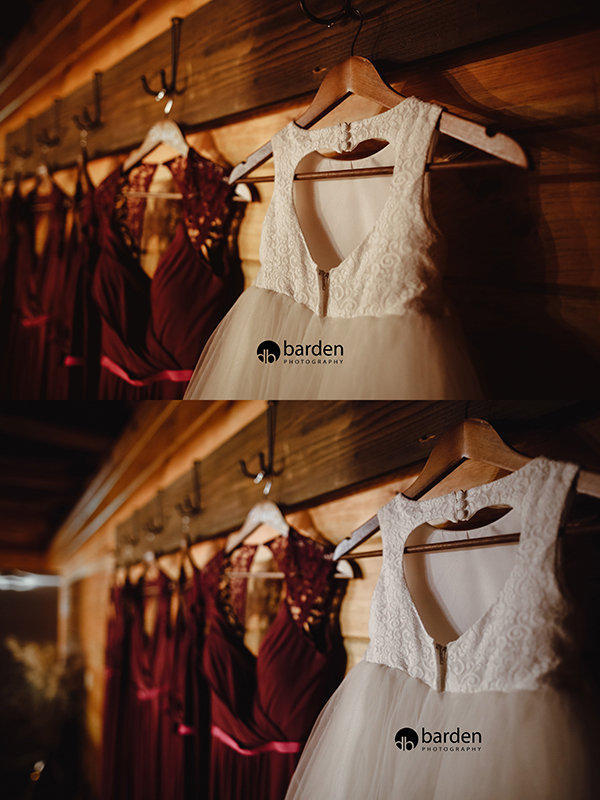 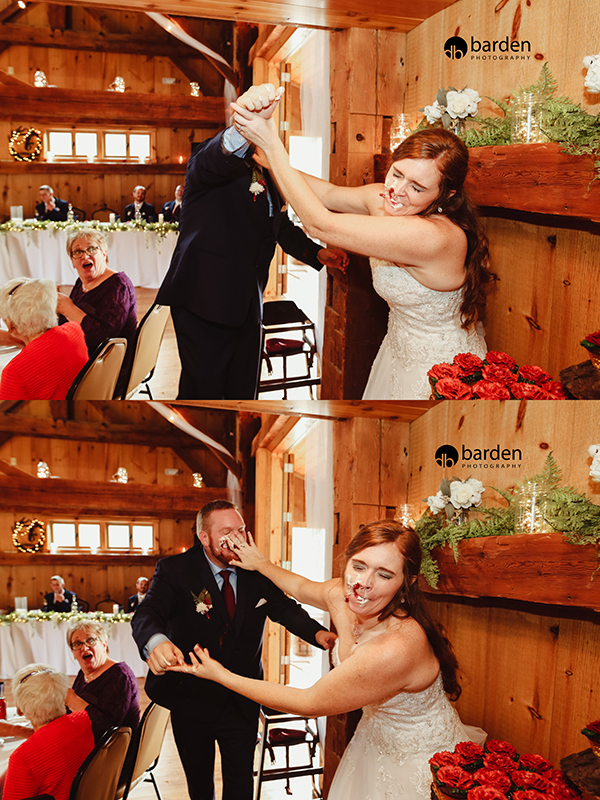 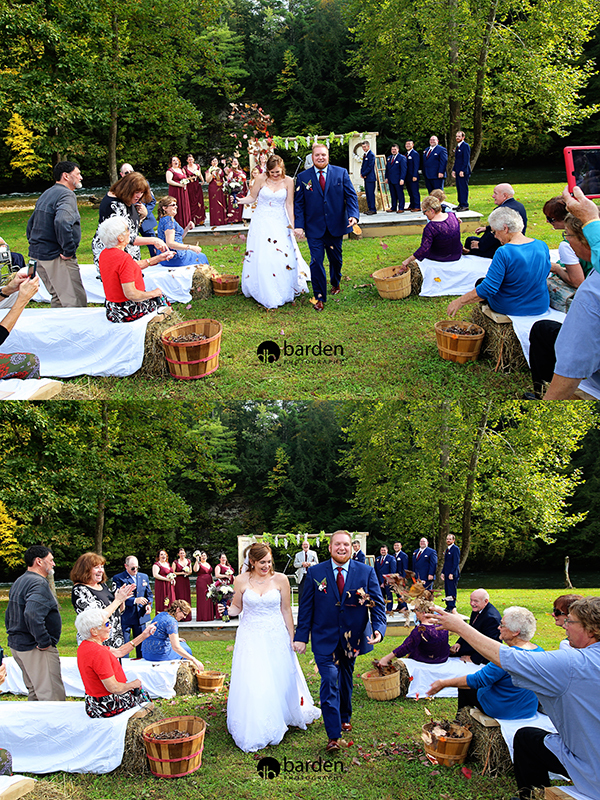 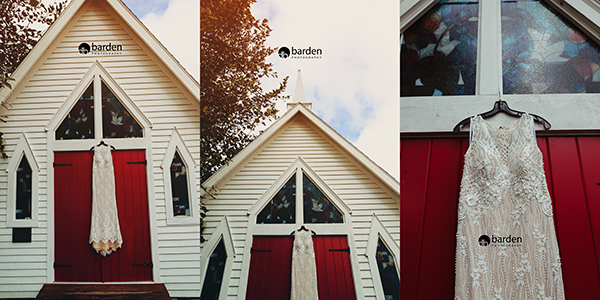 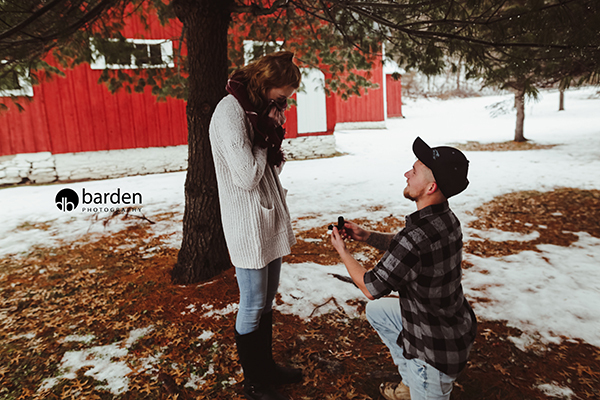 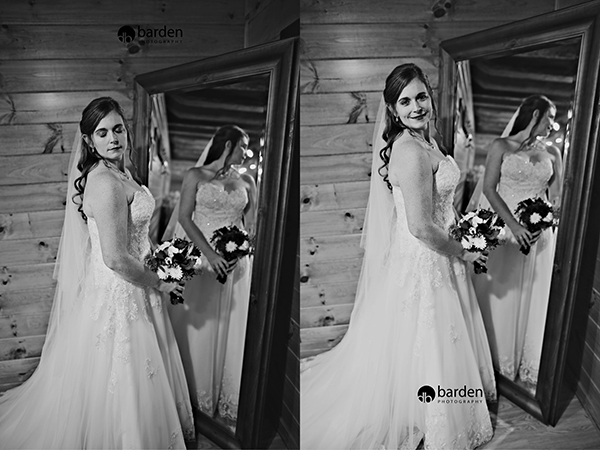 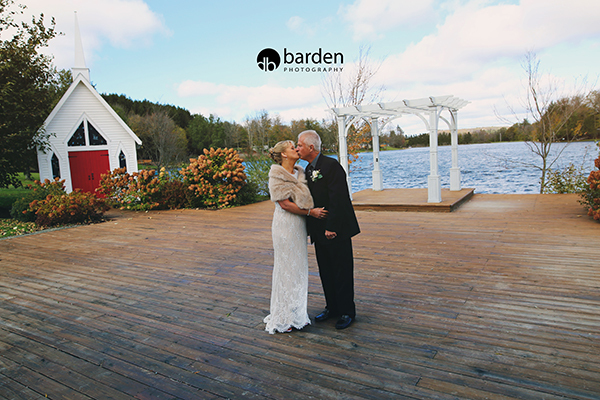 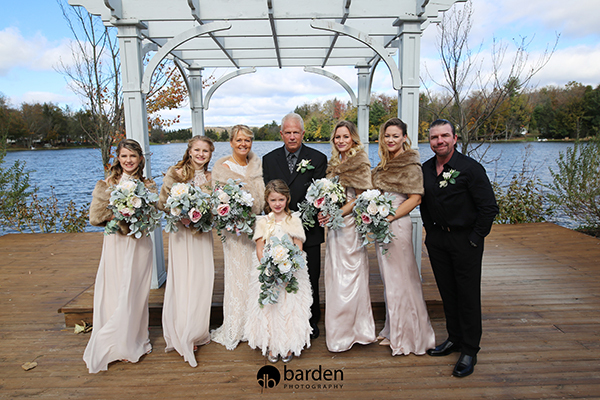 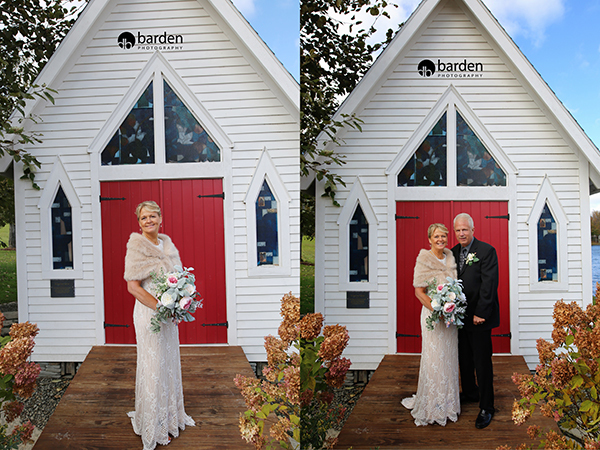 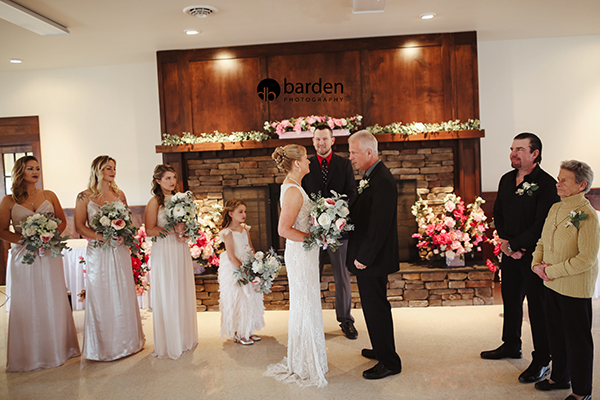 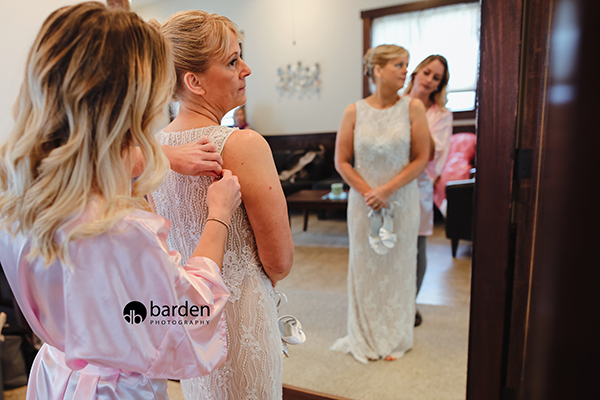 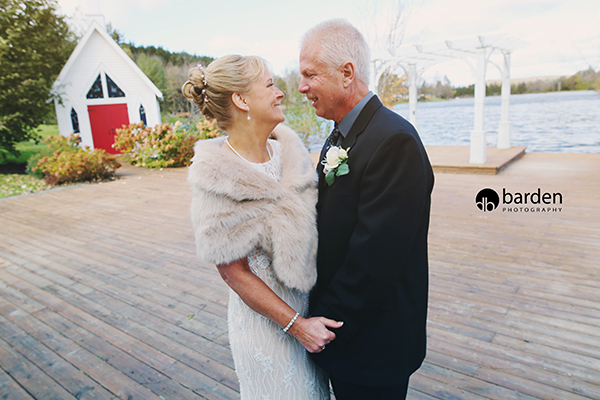 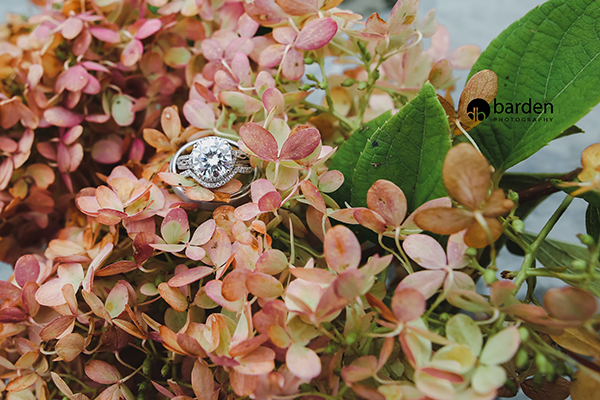 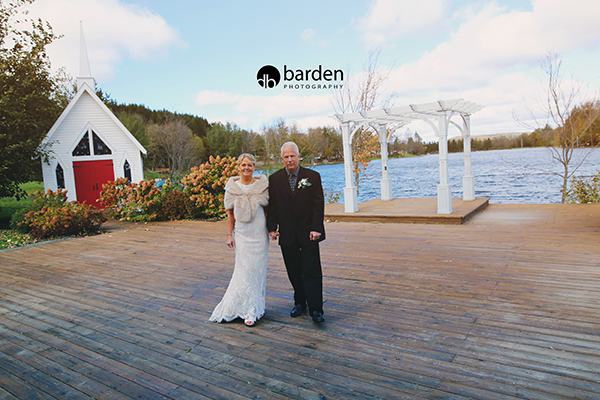 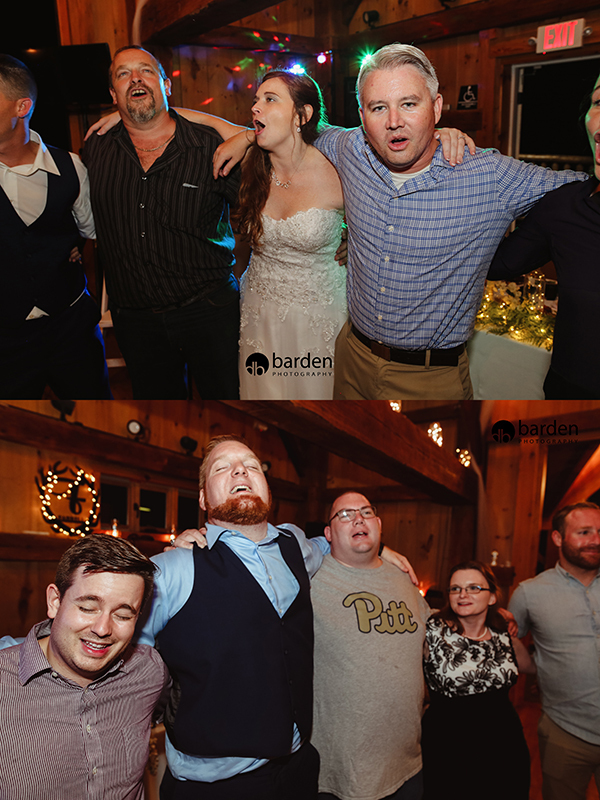 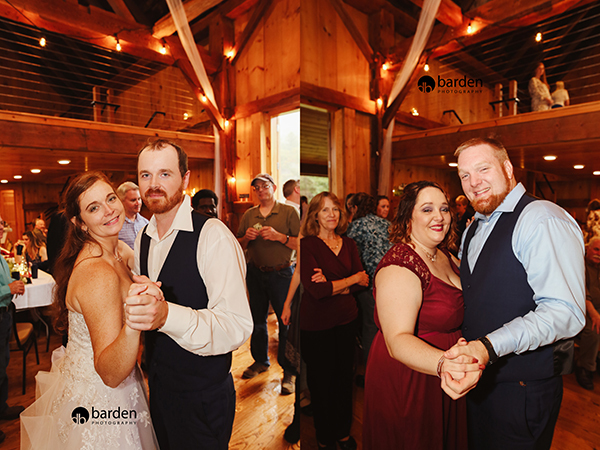 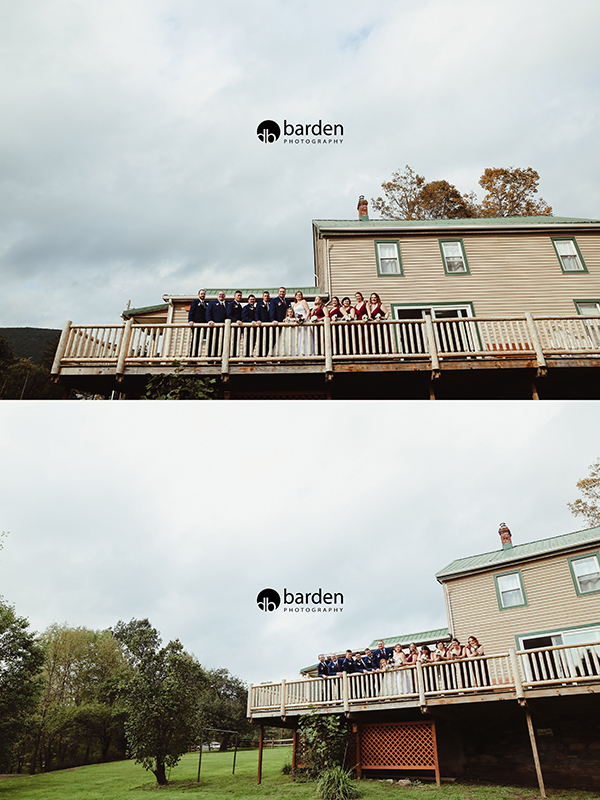 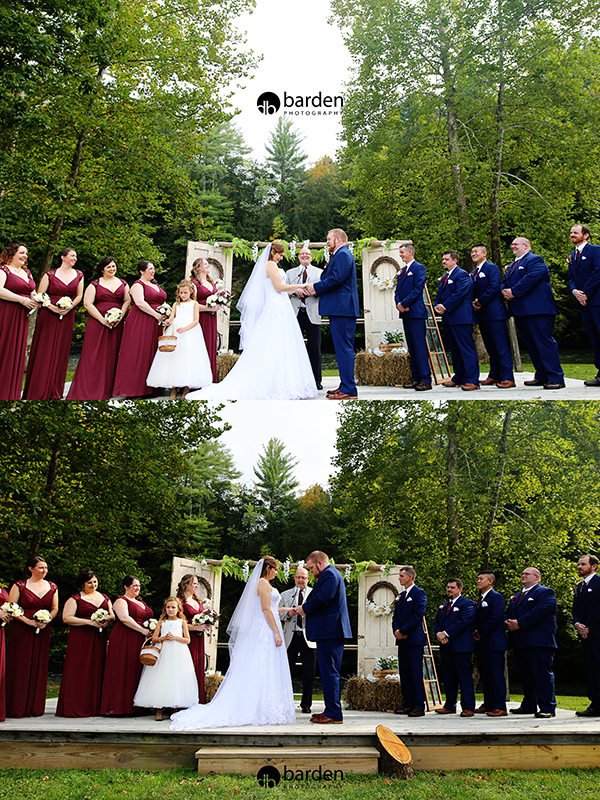 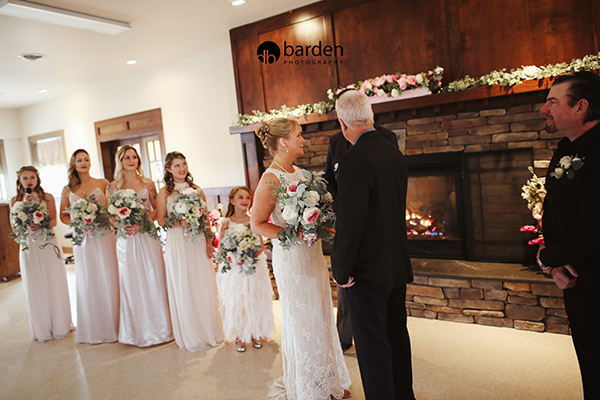 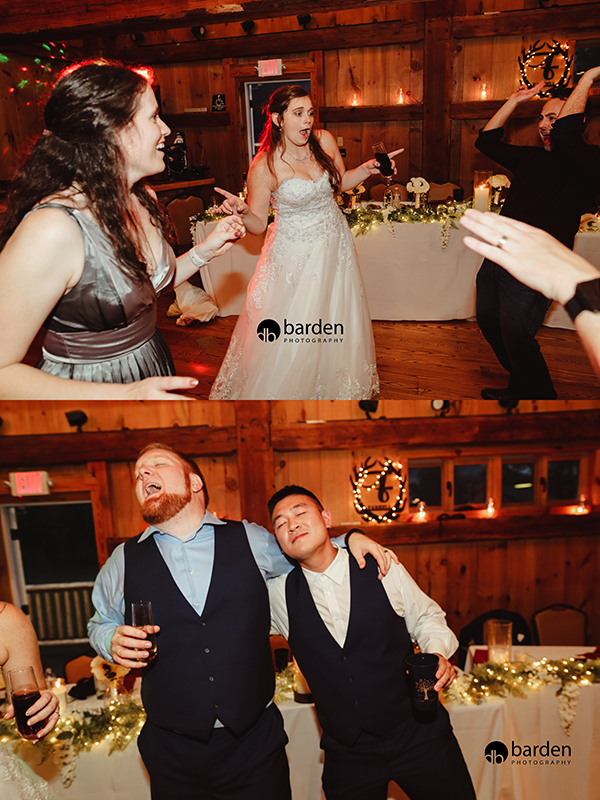 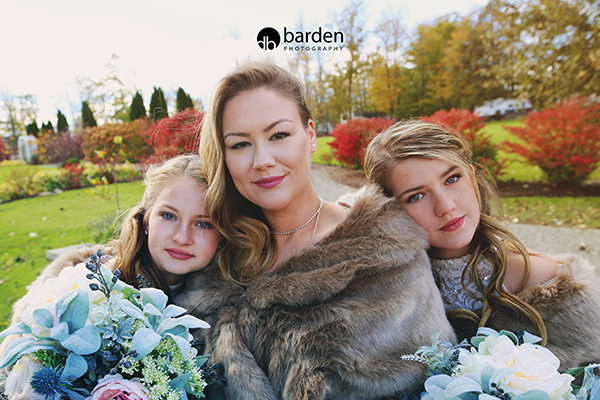 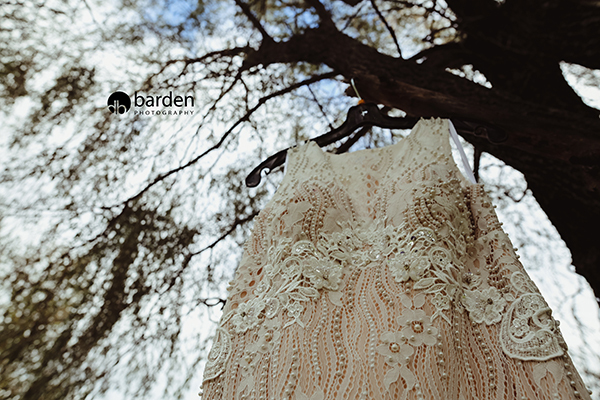 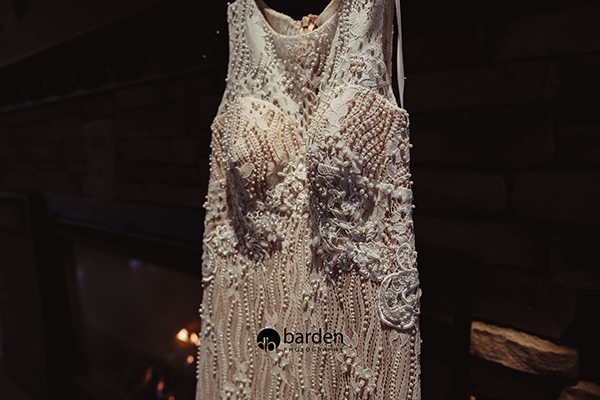 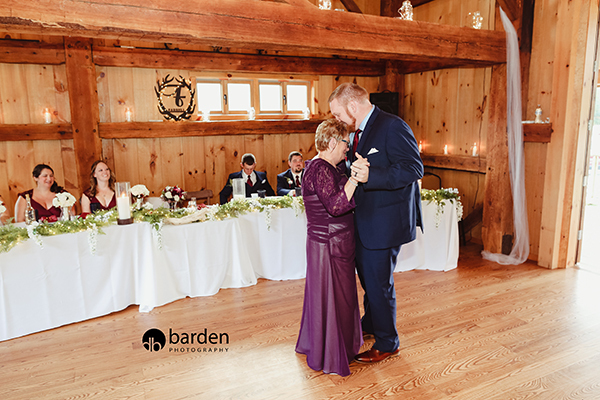 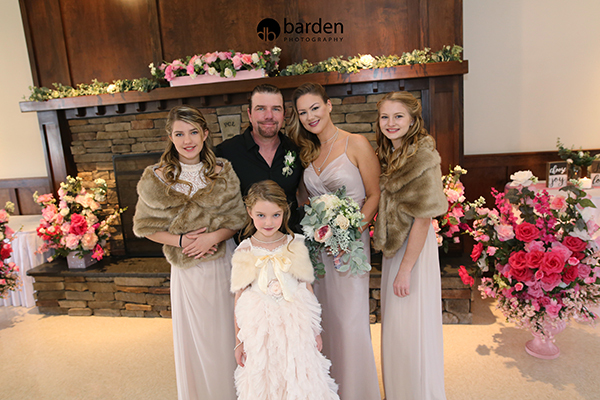 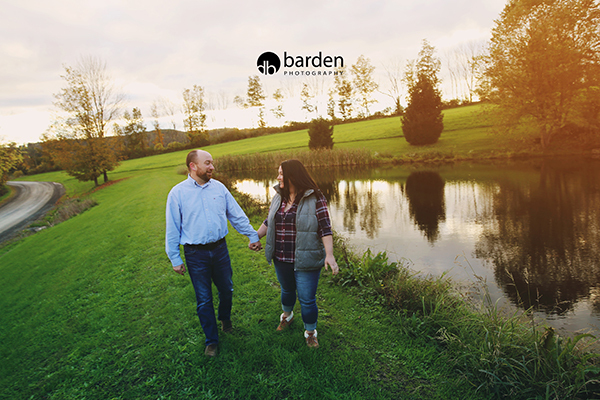 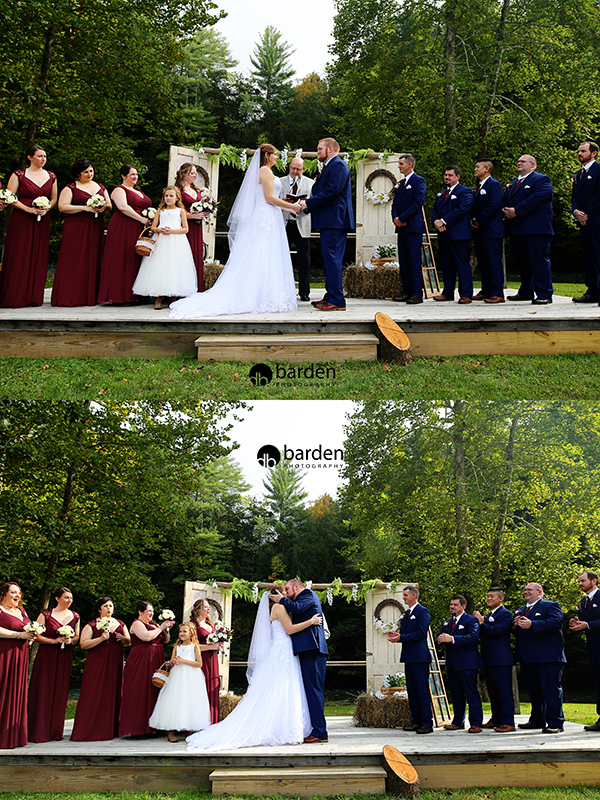 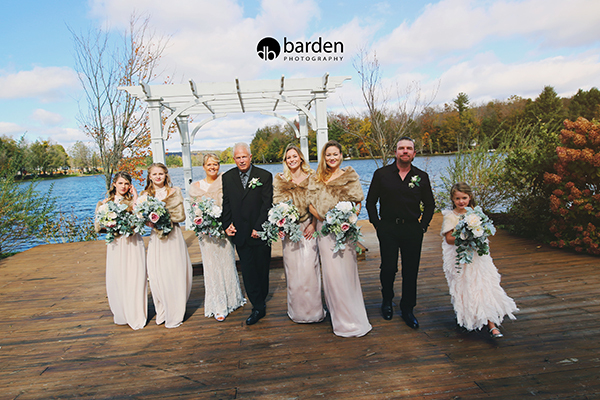 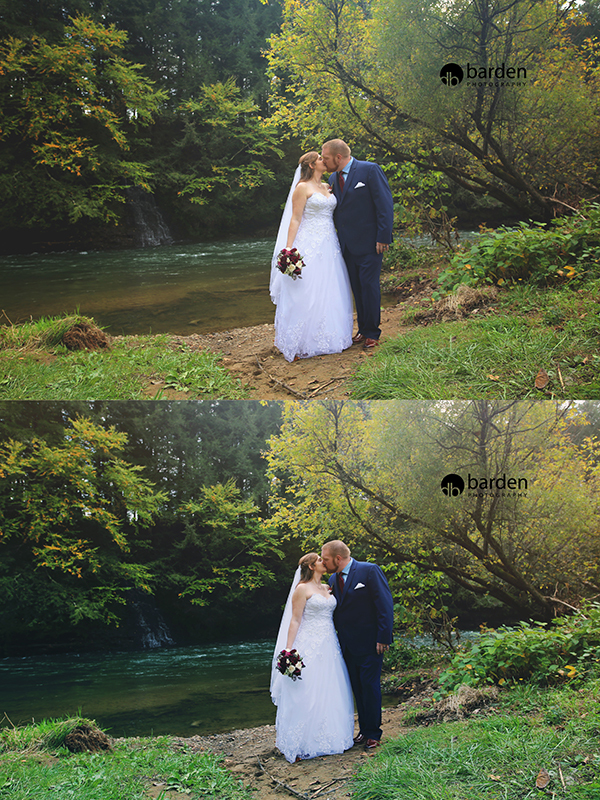 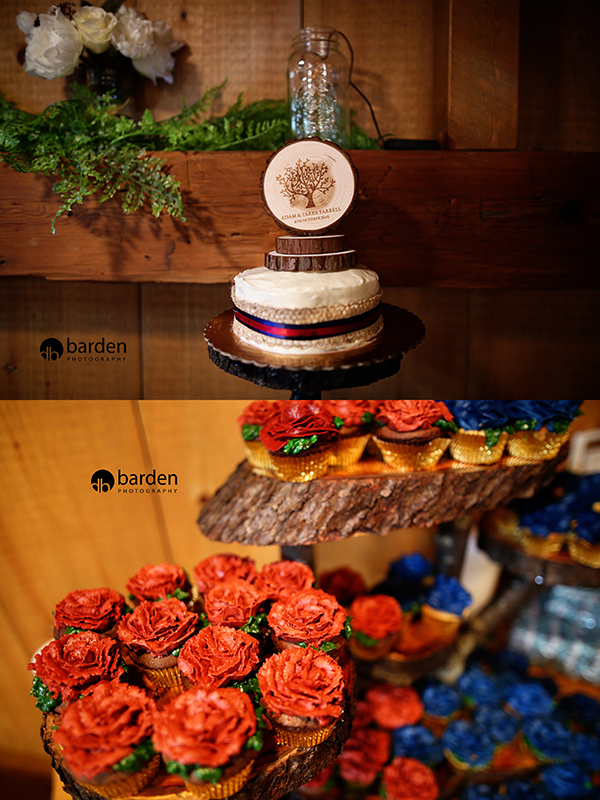 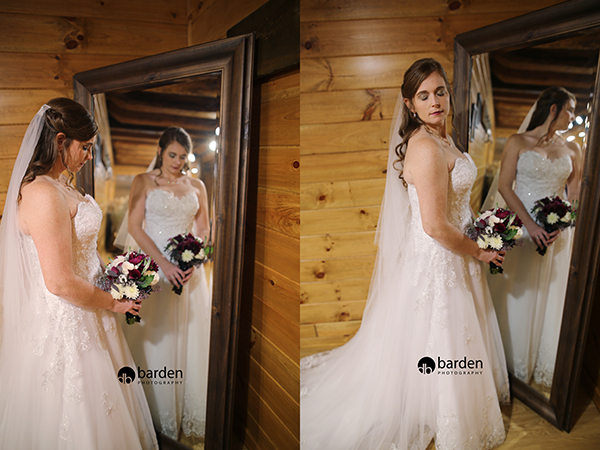 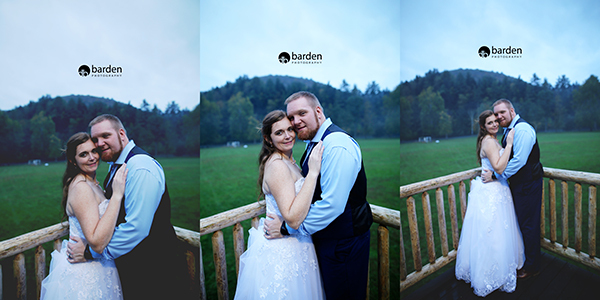 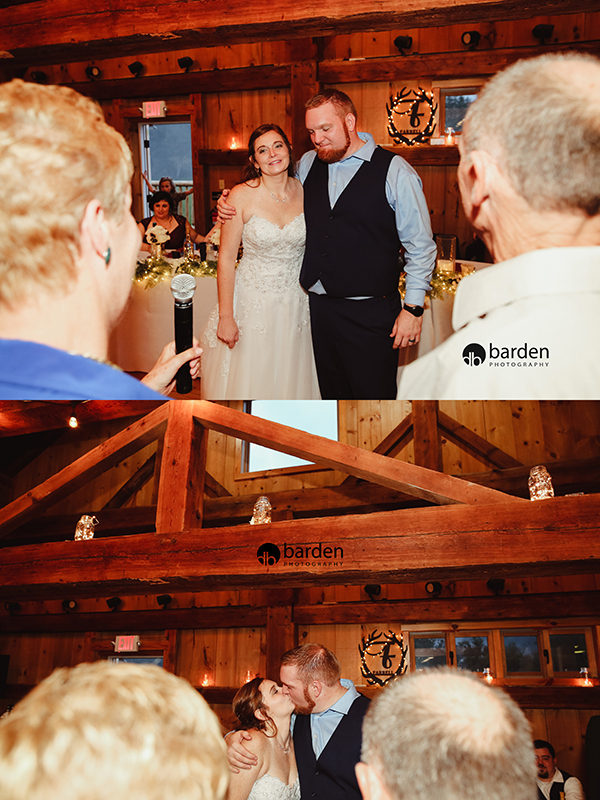 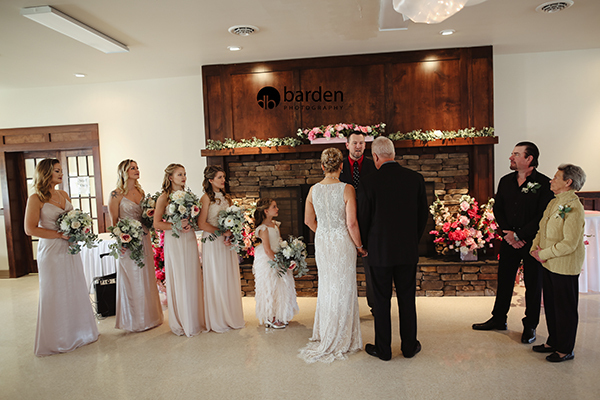 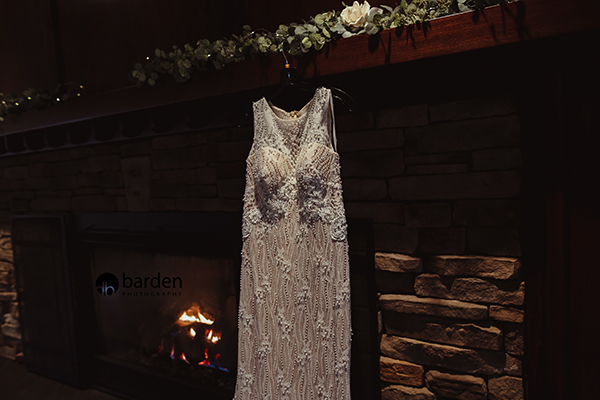 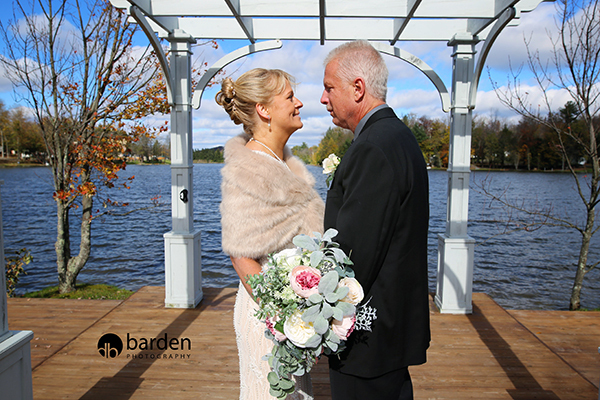 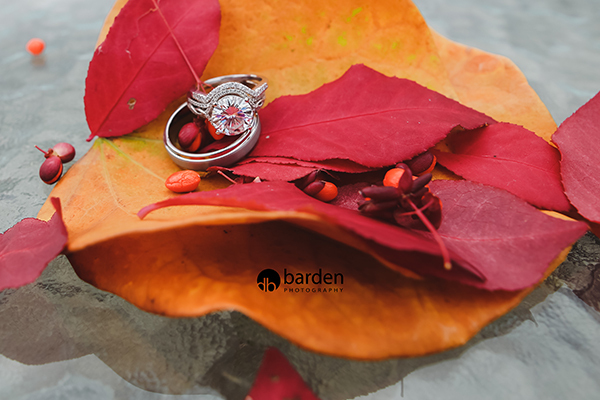 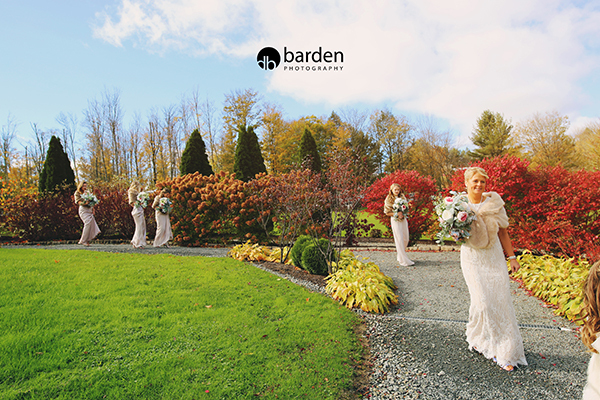 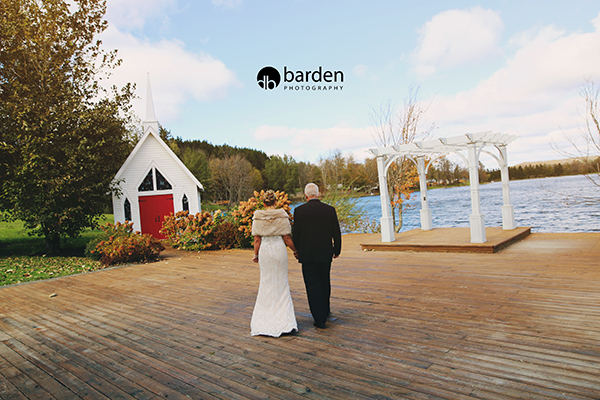 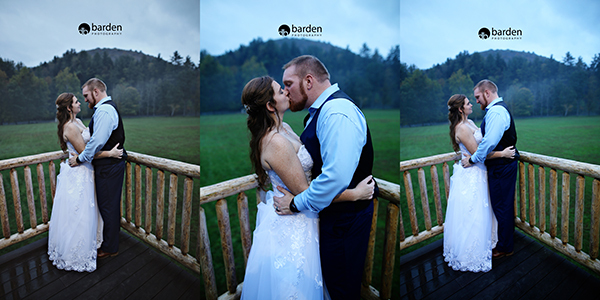 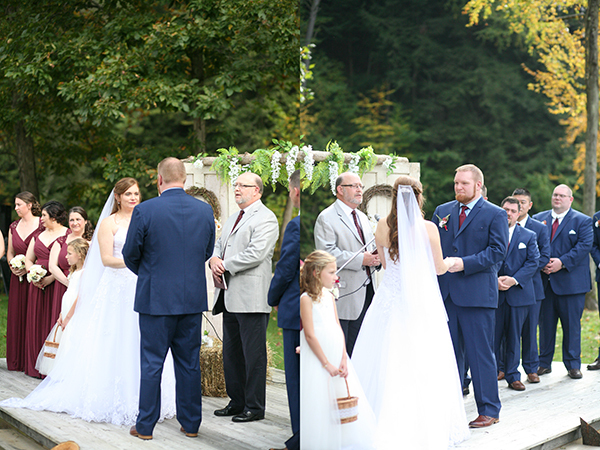 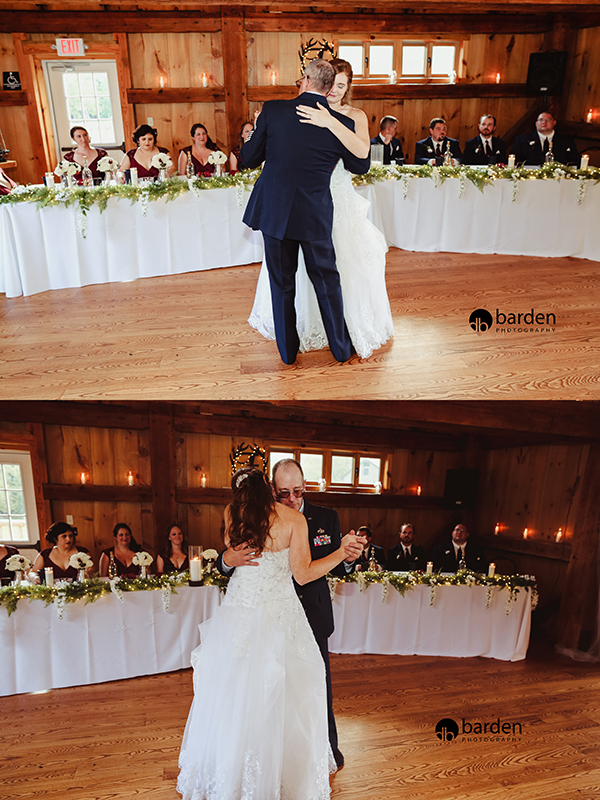 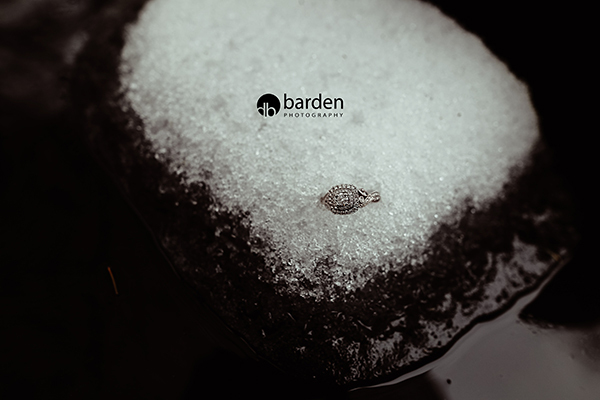 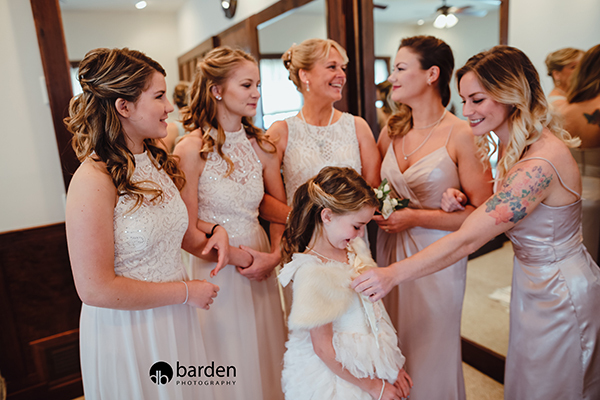 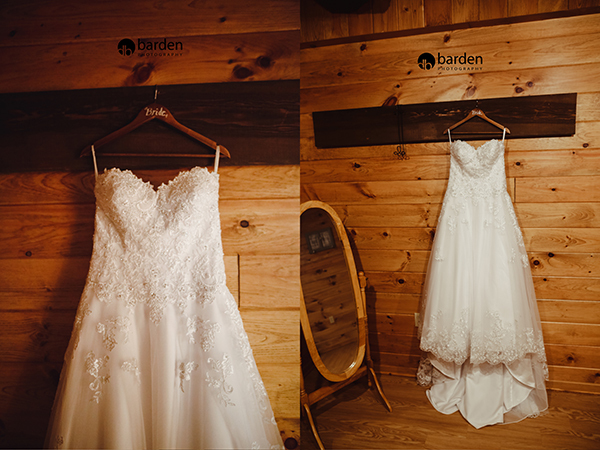 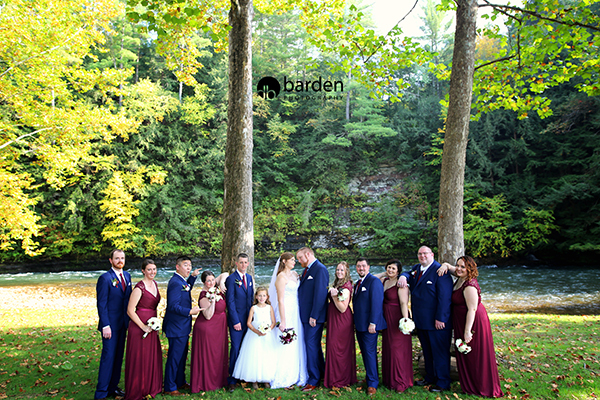 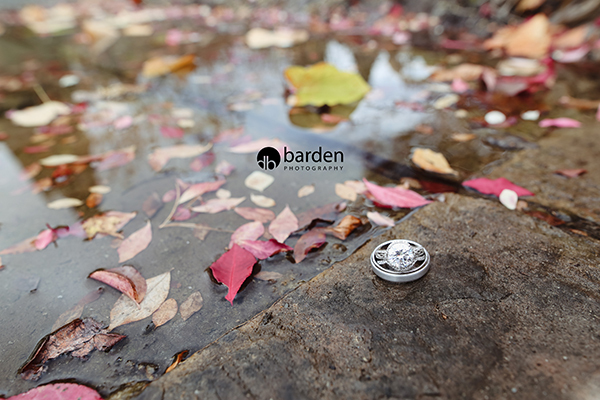 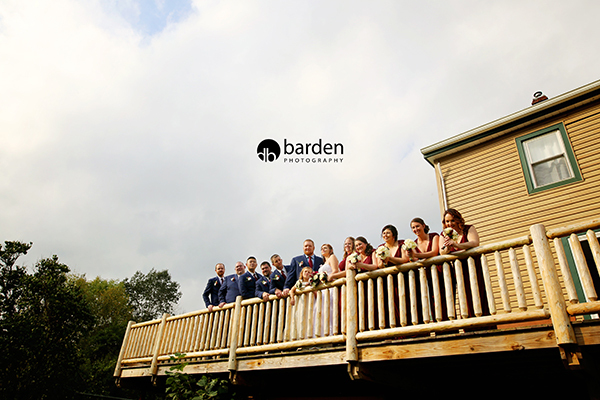 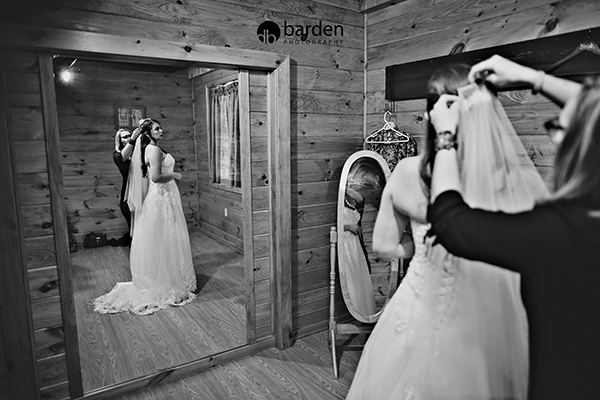 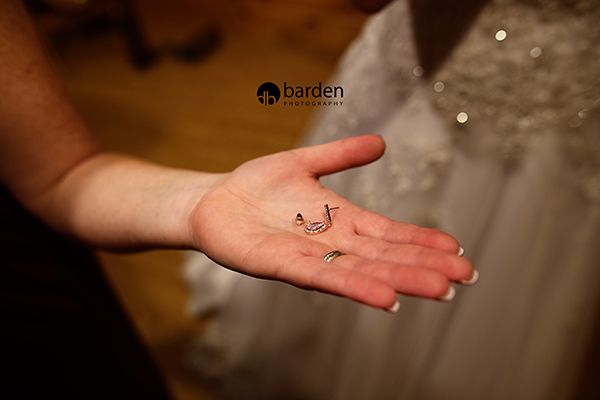 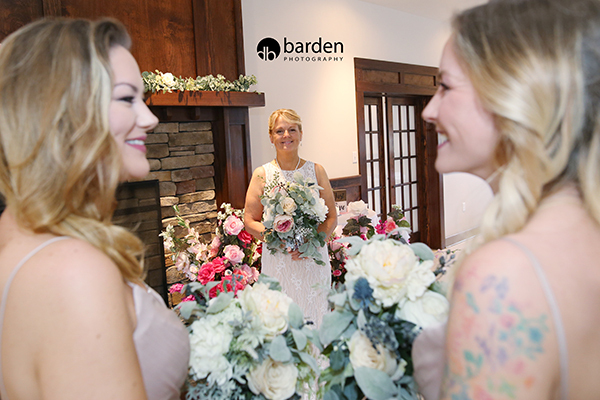 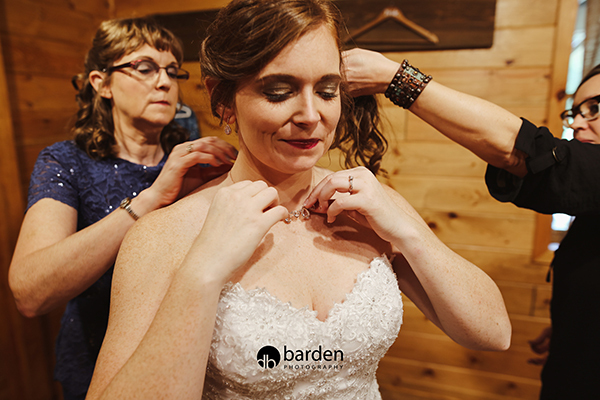 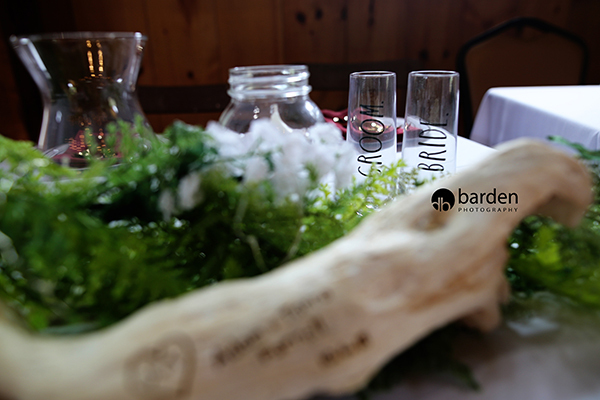 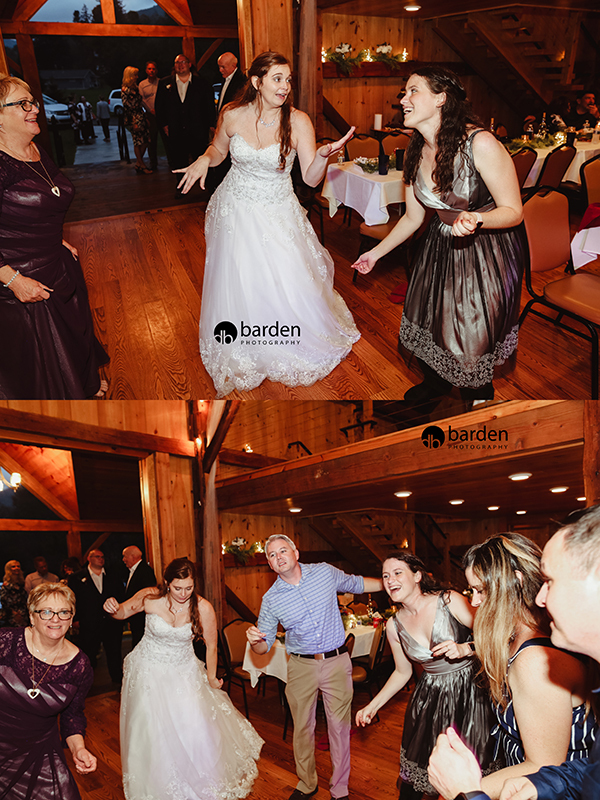 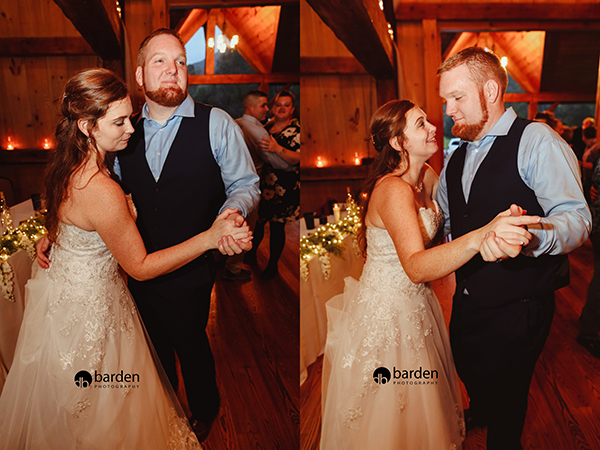 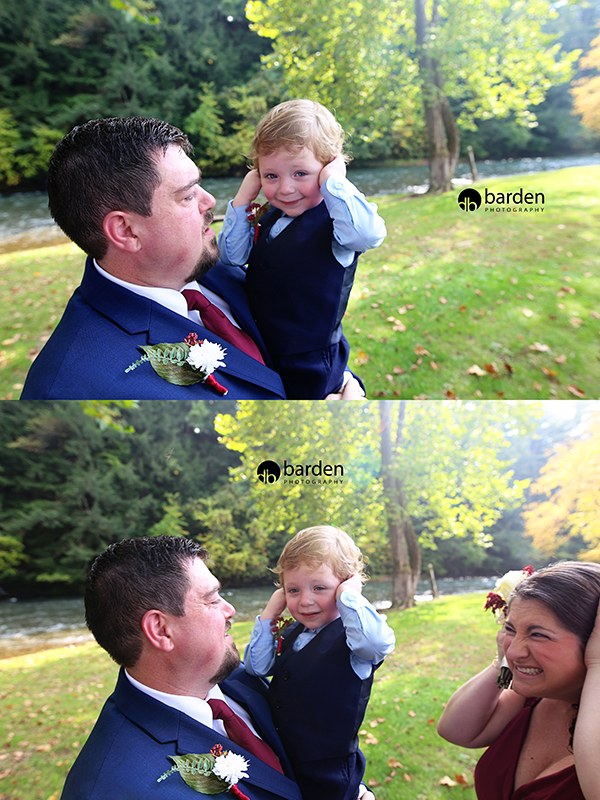 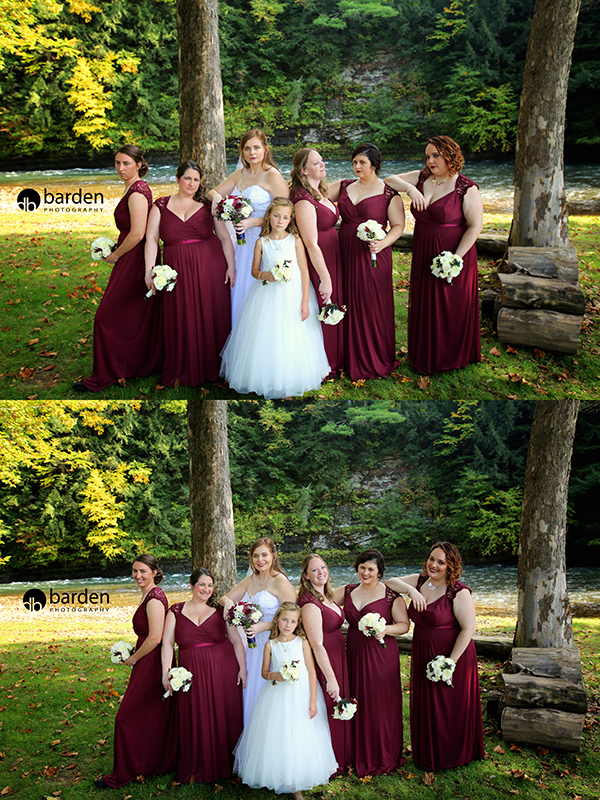 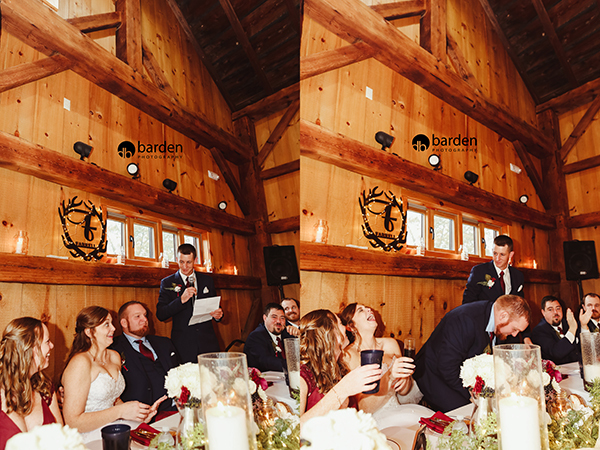 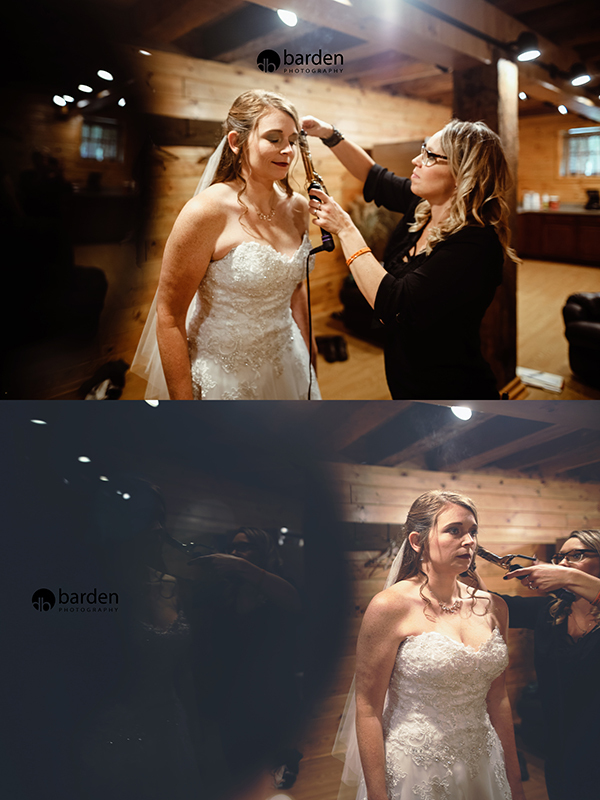 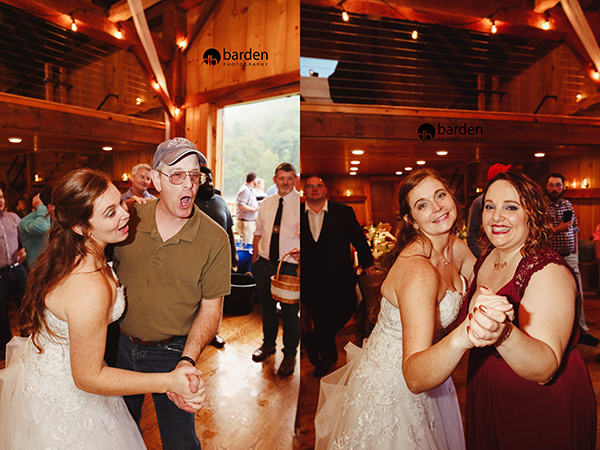 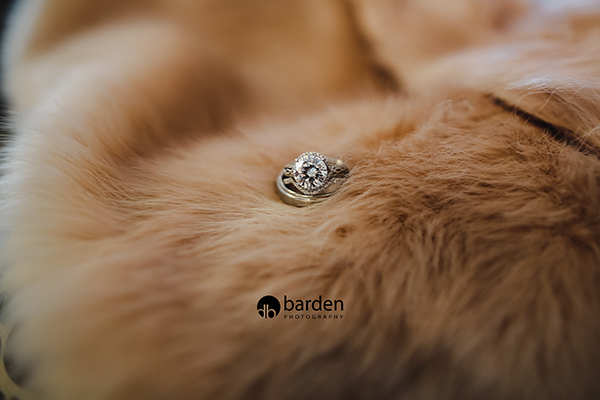 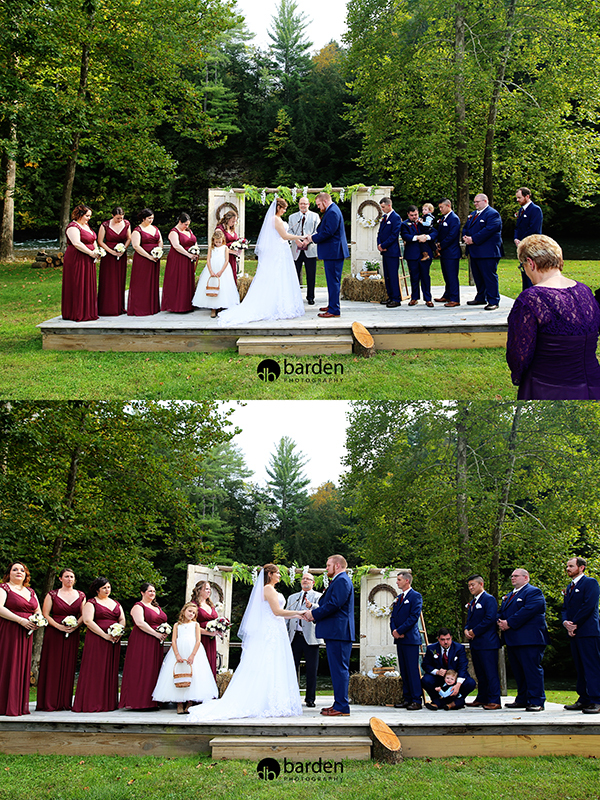 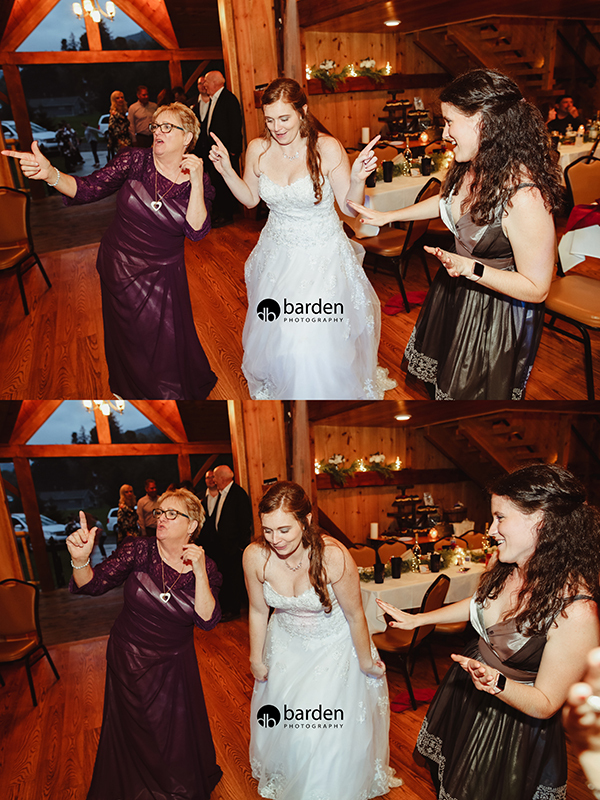 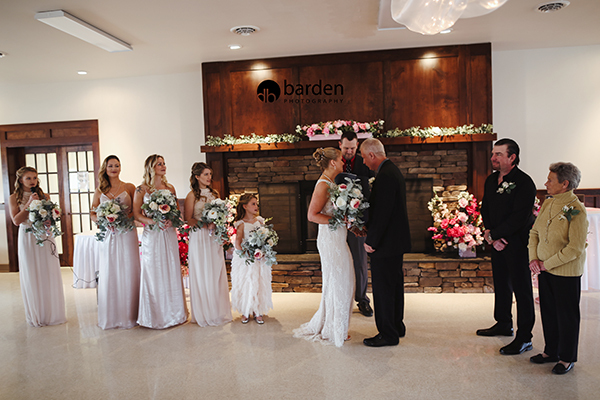 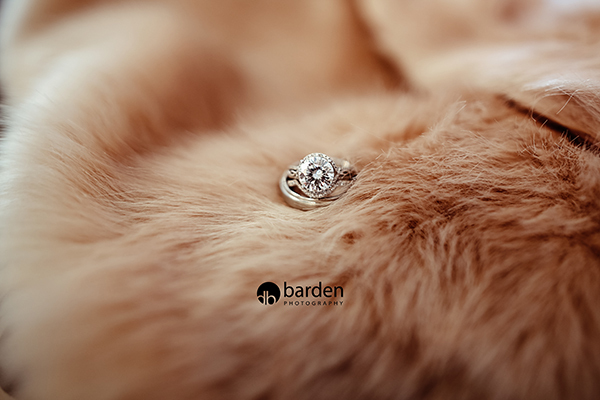 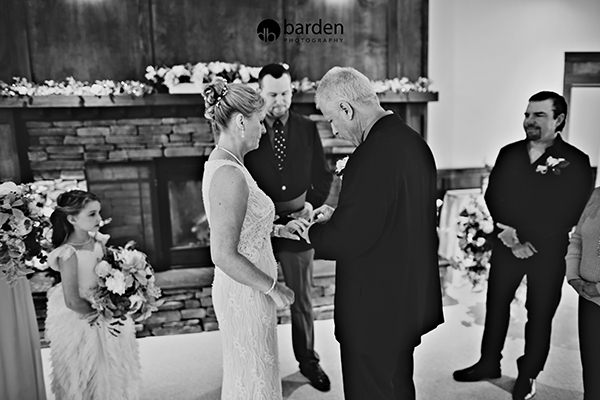 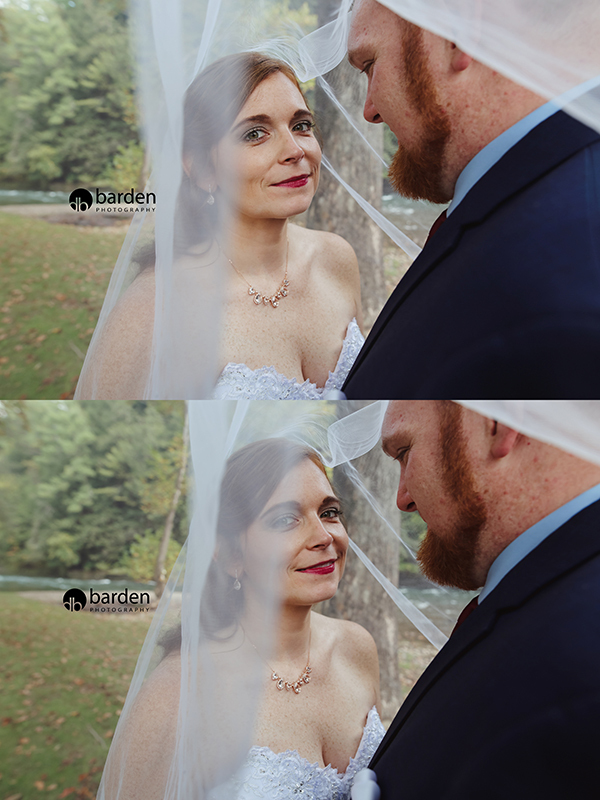 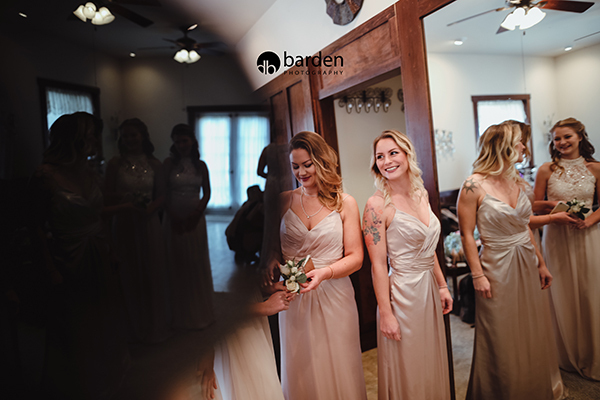 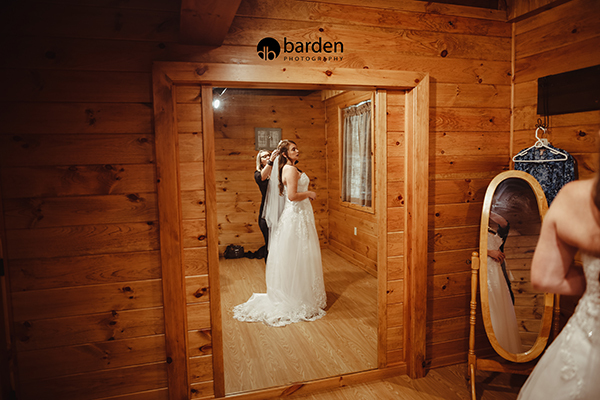 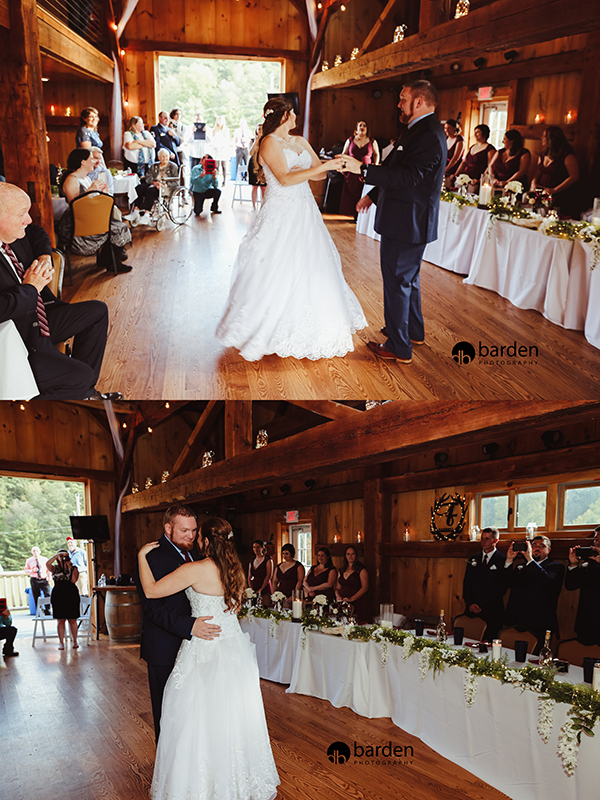 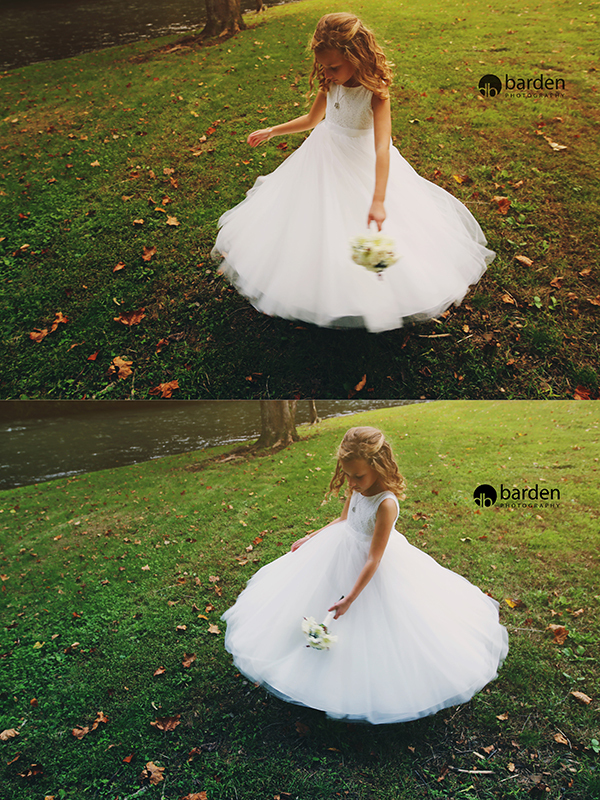 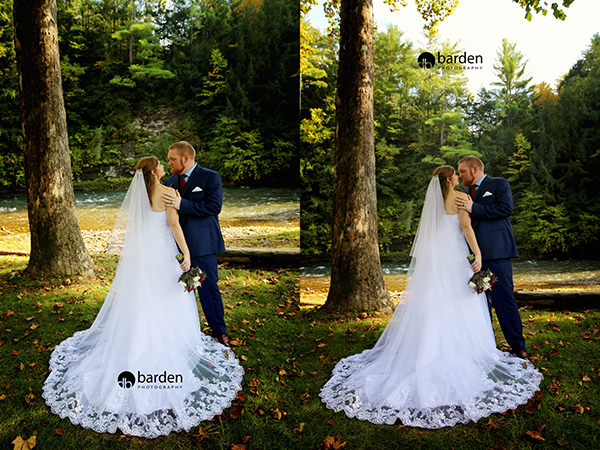 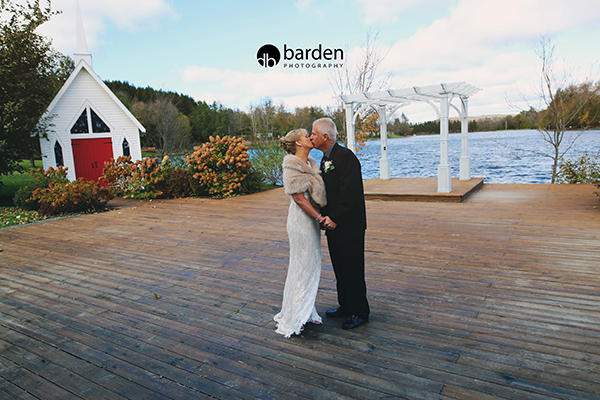 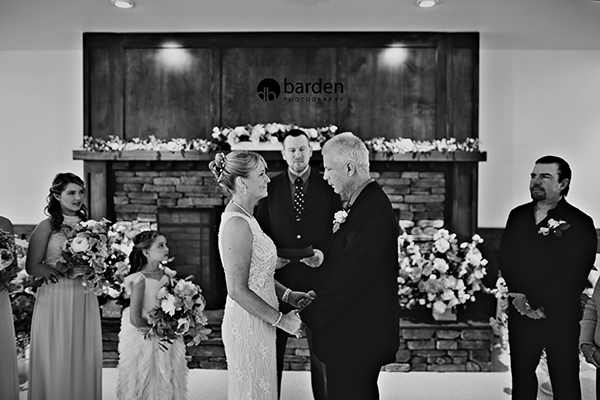 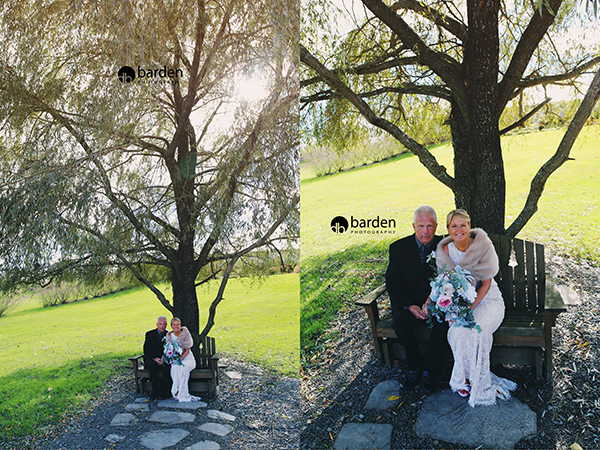 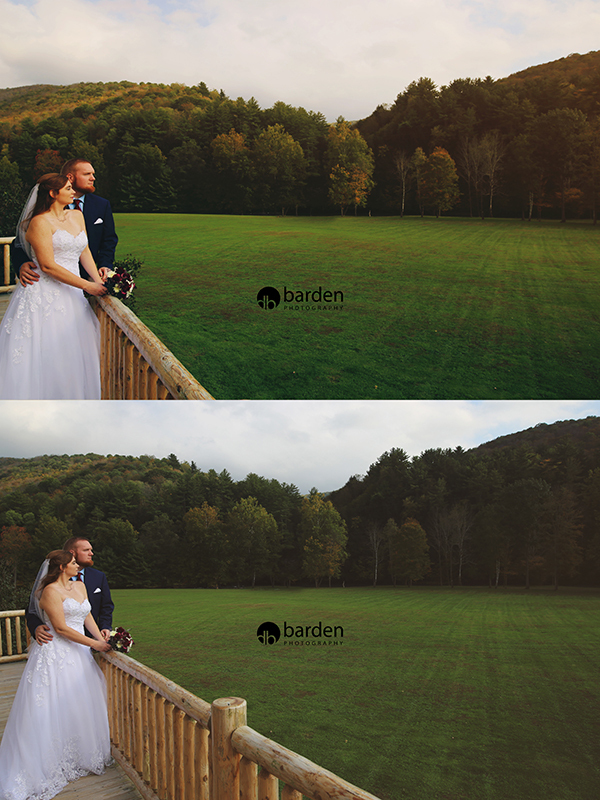 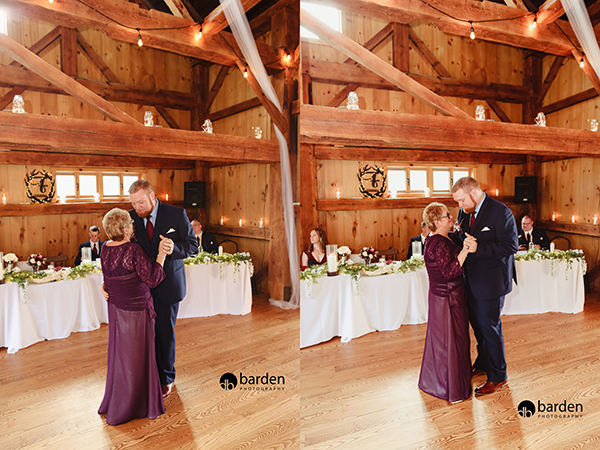 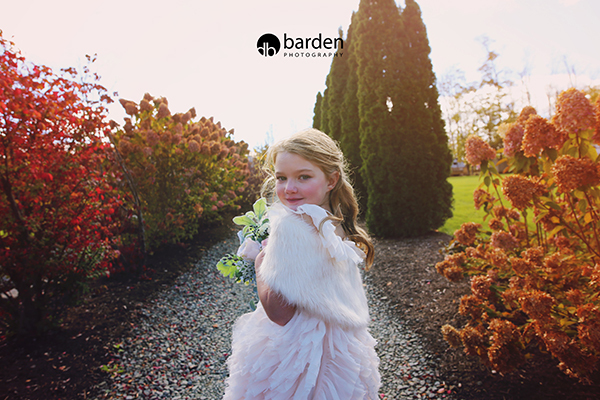 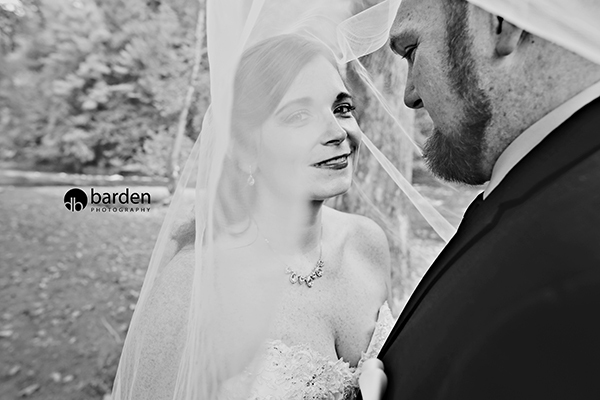 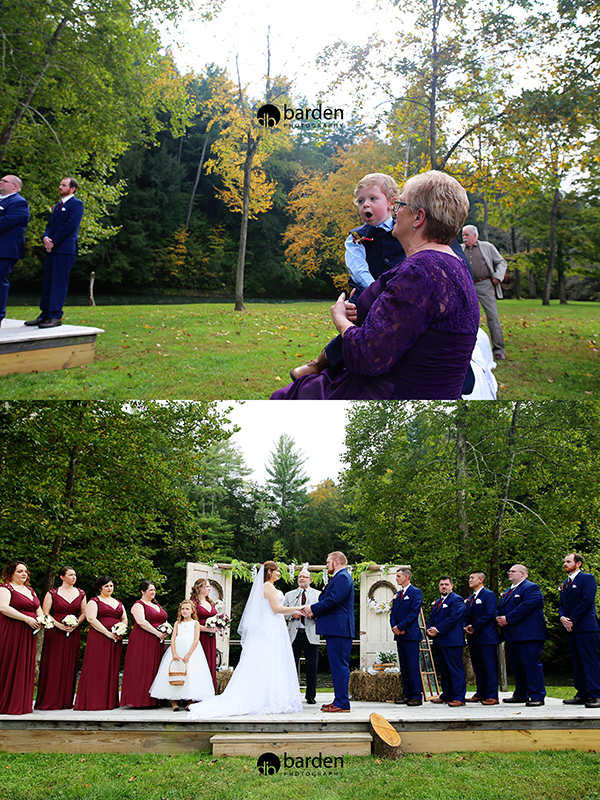 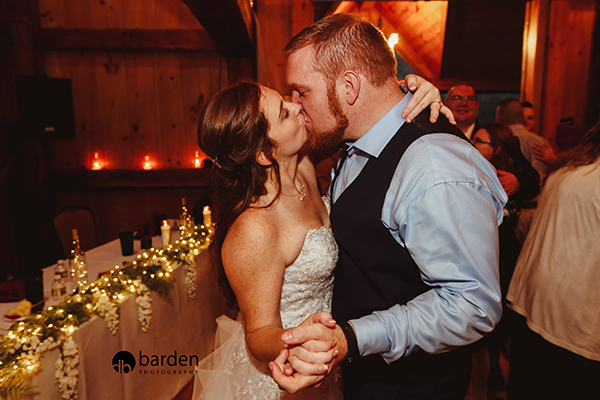 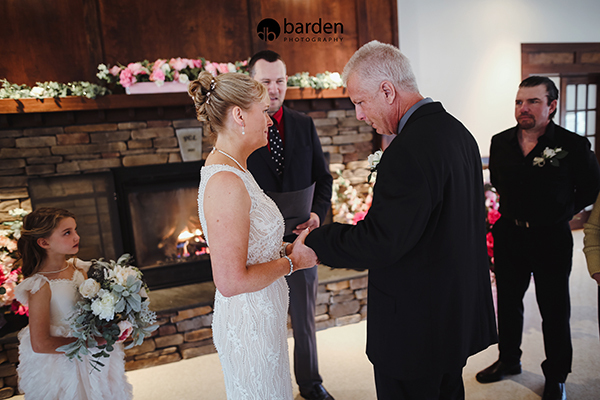 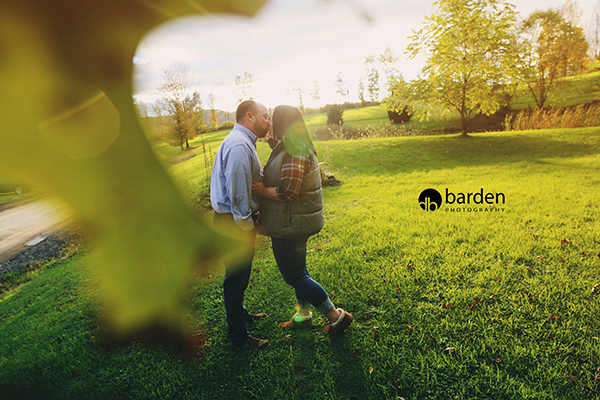 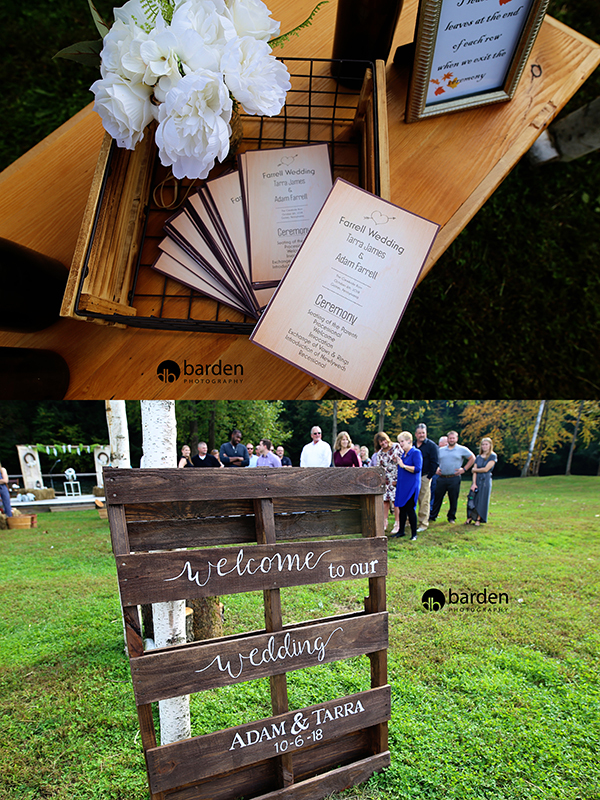 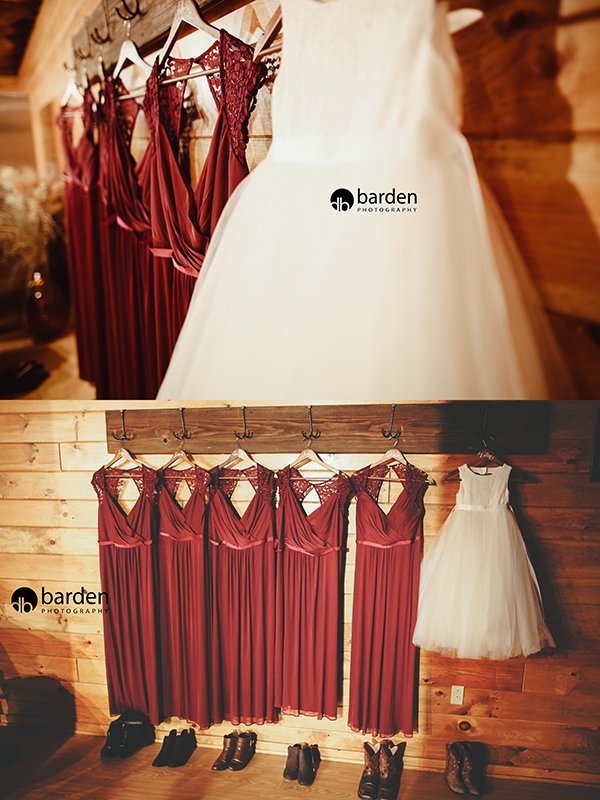 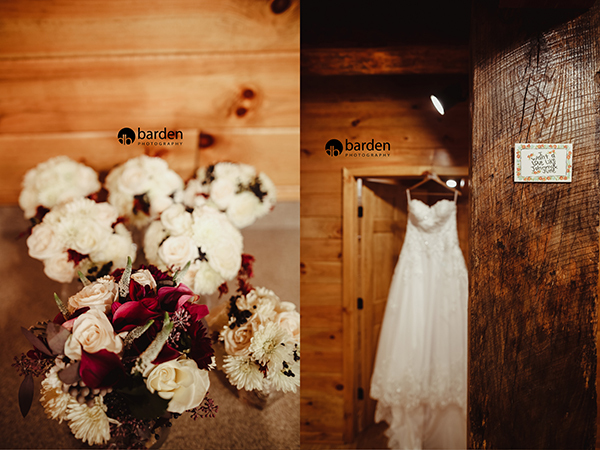 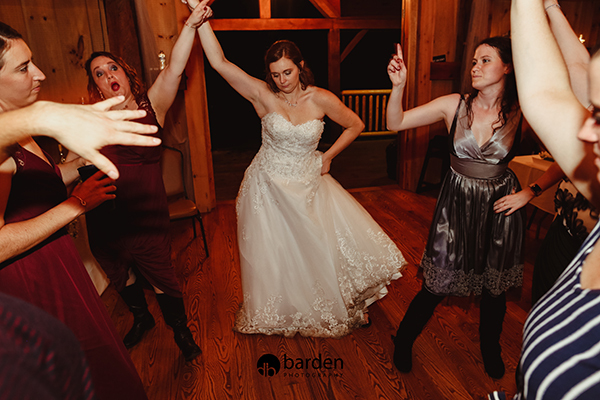 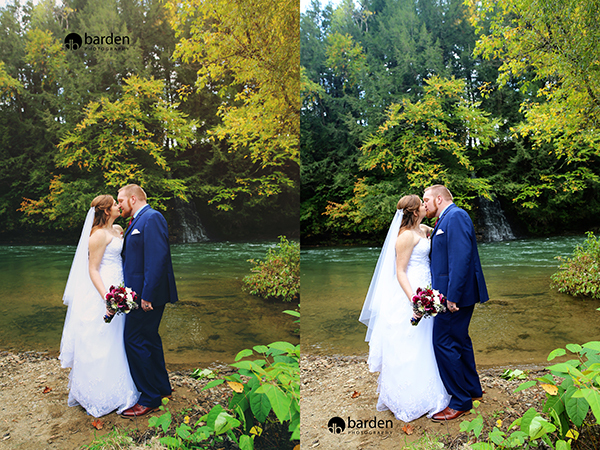 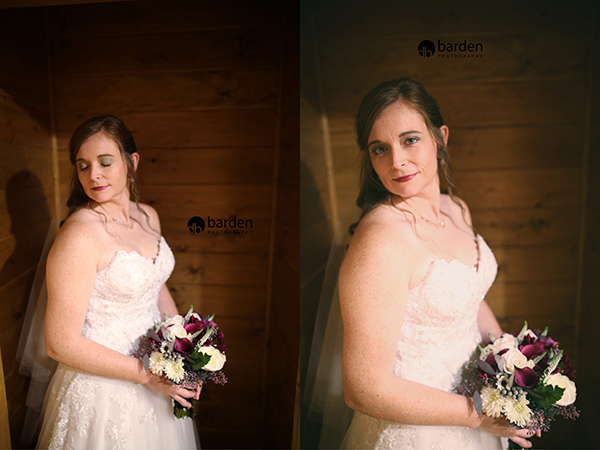 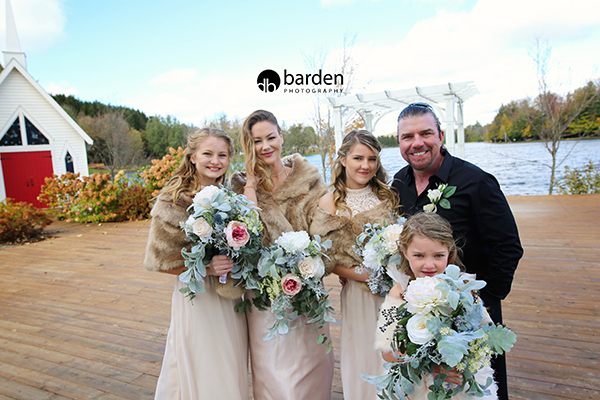 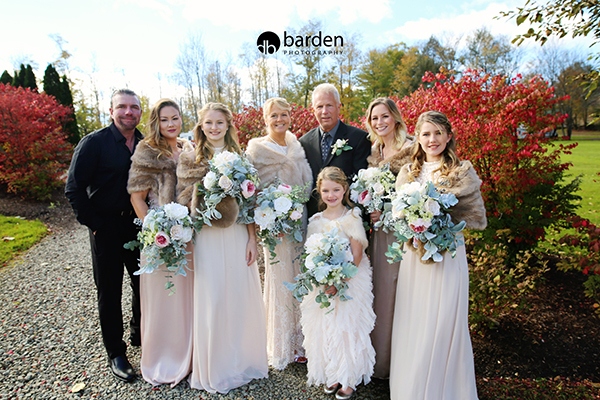 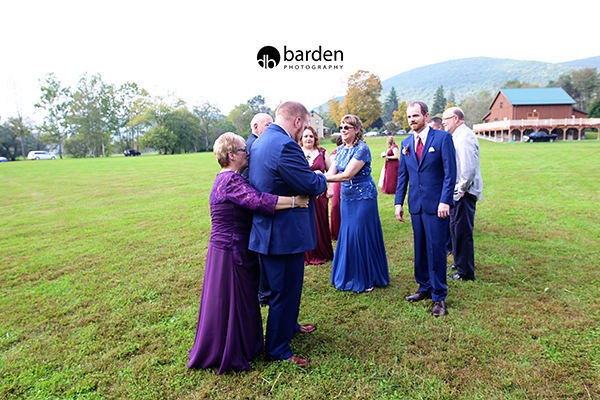 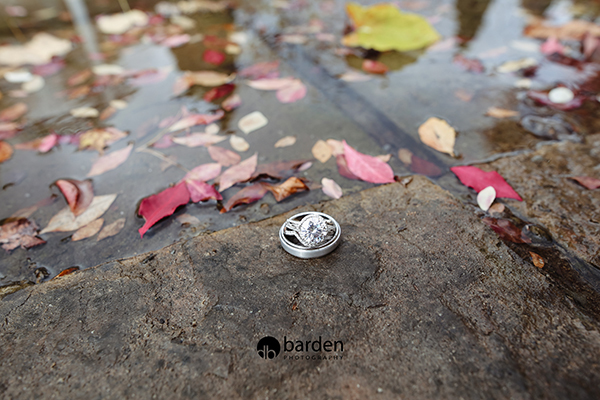 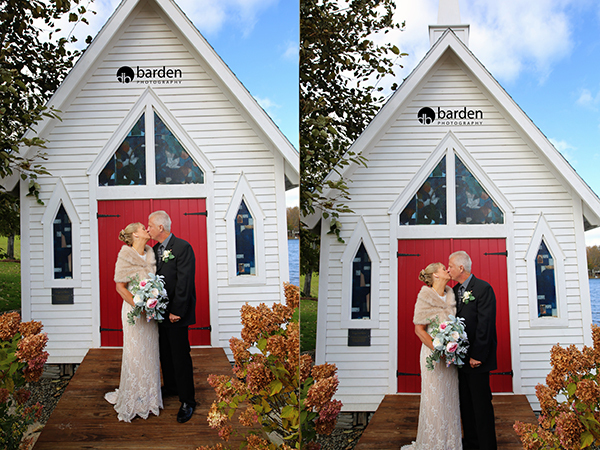 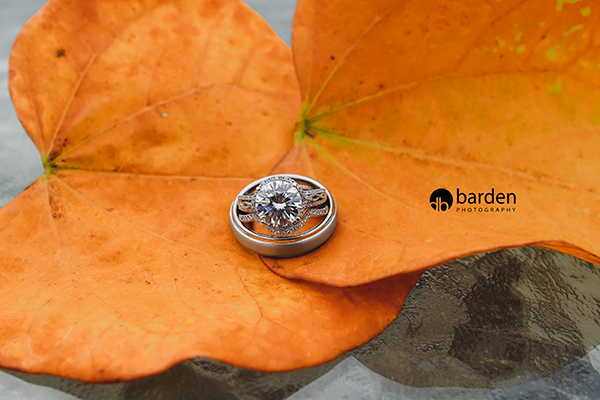 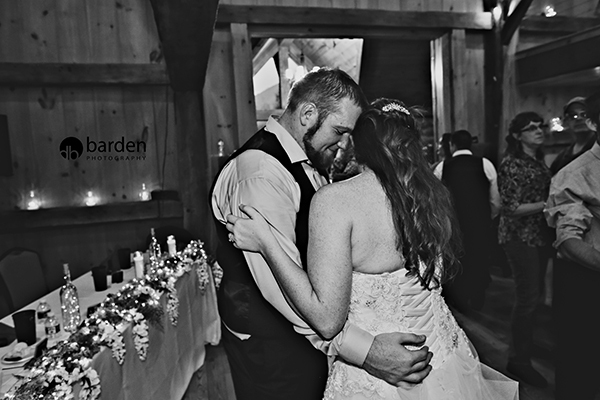 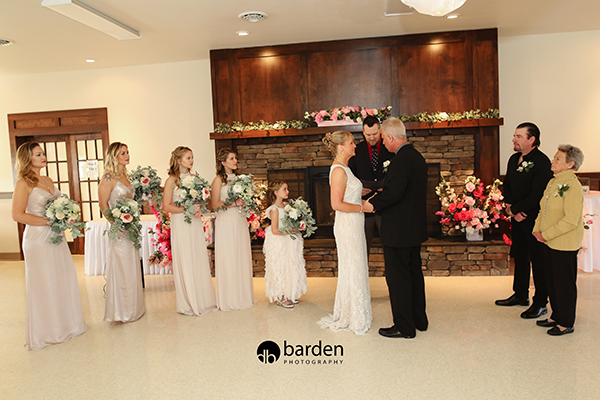 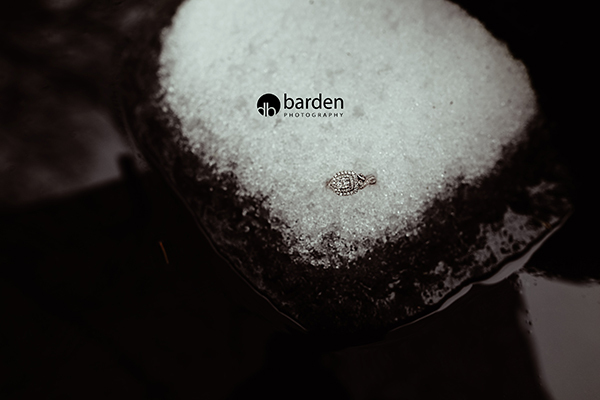 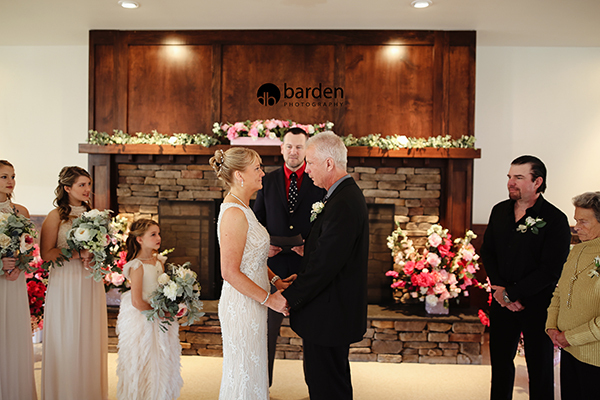 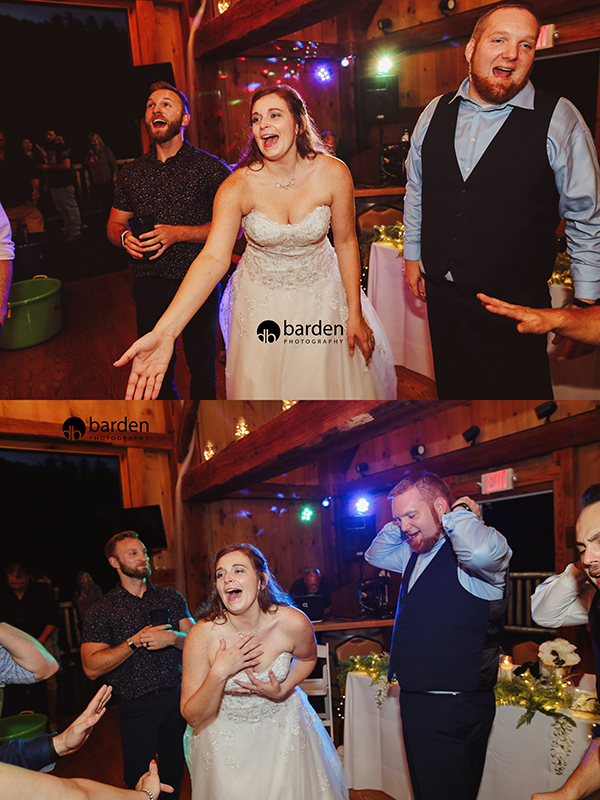 Tarra emailed me earlier this year hoping I was available for her October wedding at The Creekside Barn! 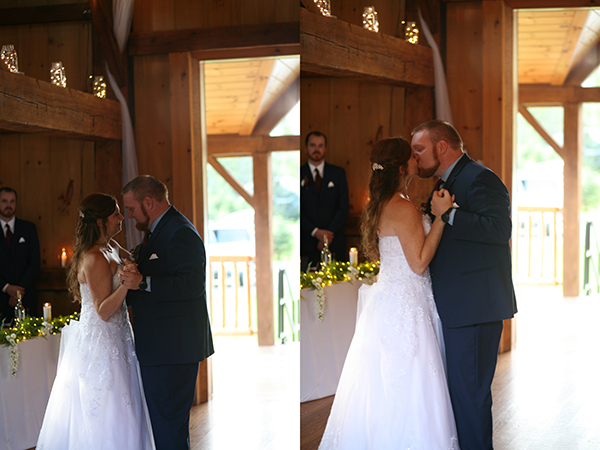 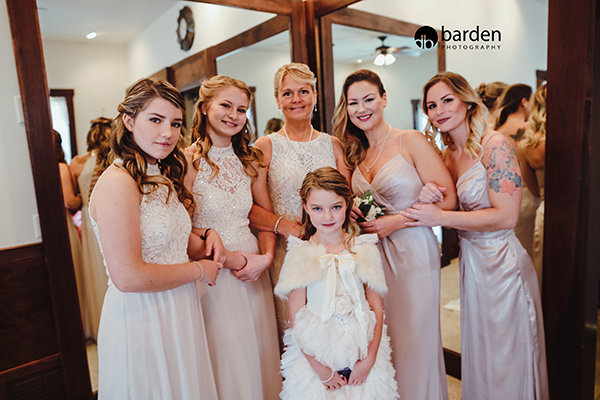 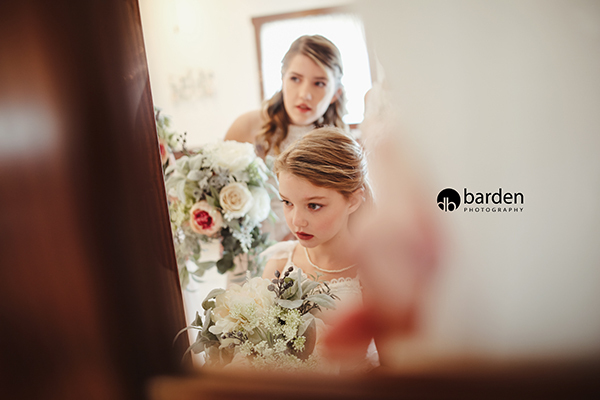 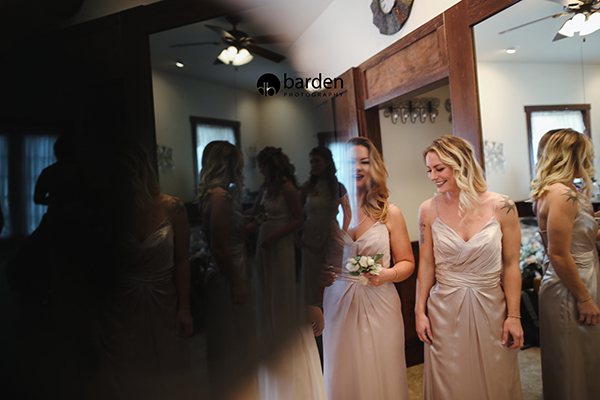 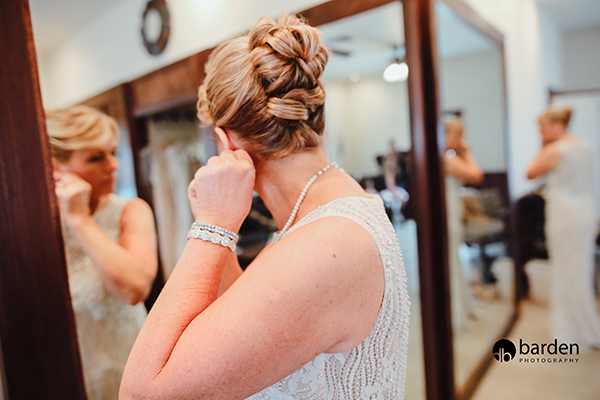 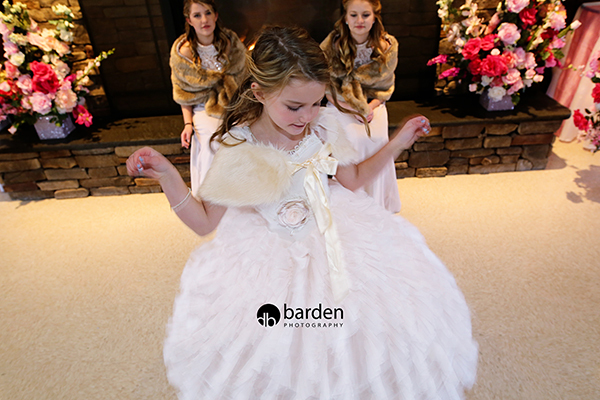 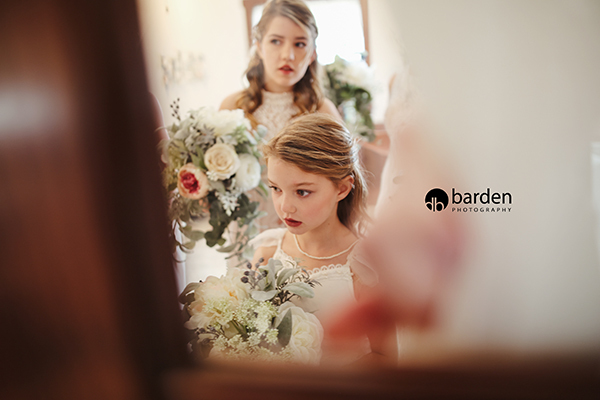 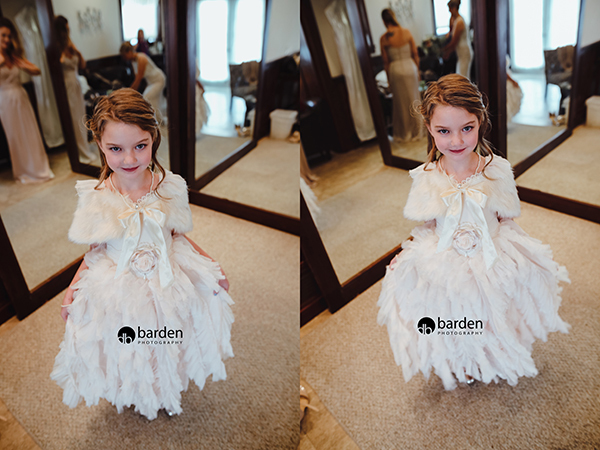 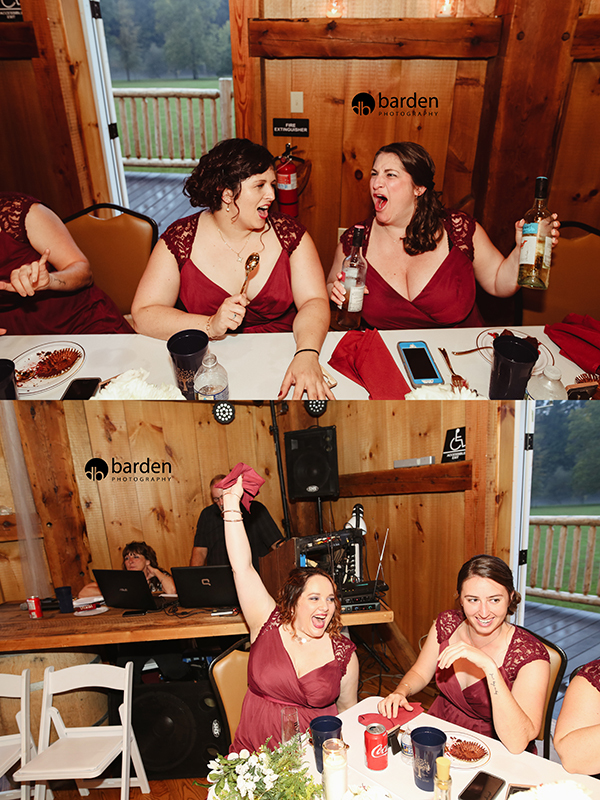 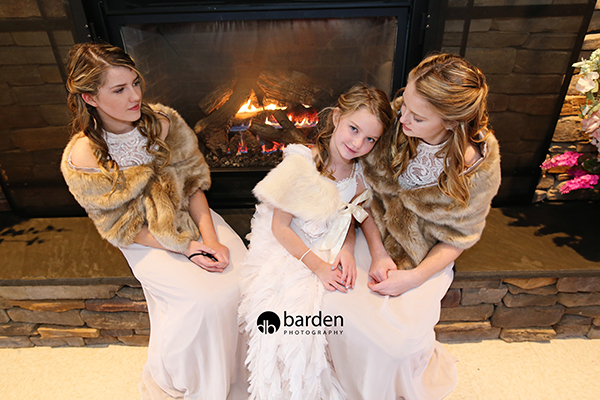 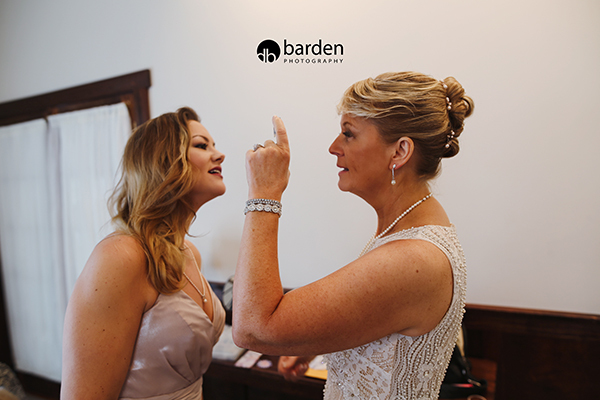 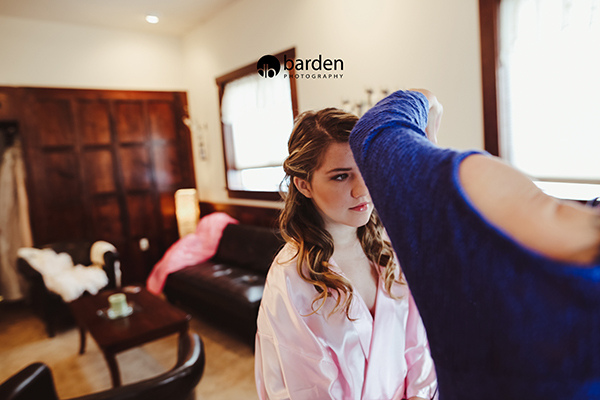 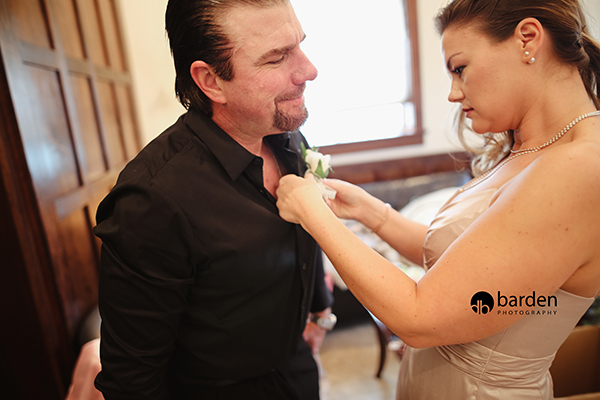 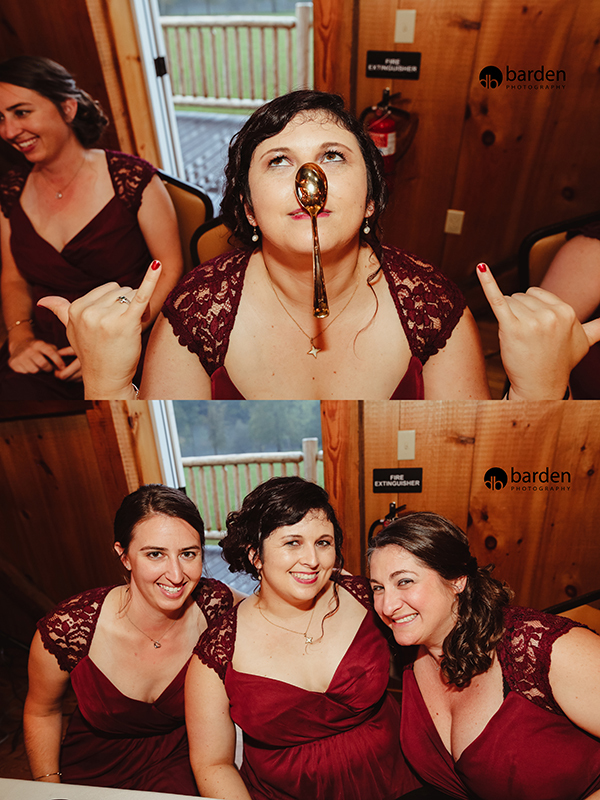 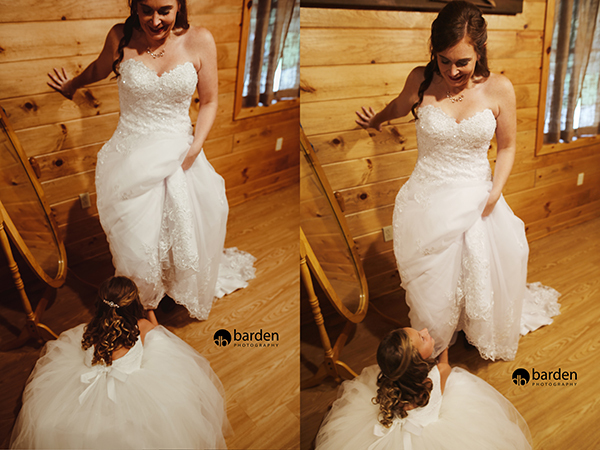 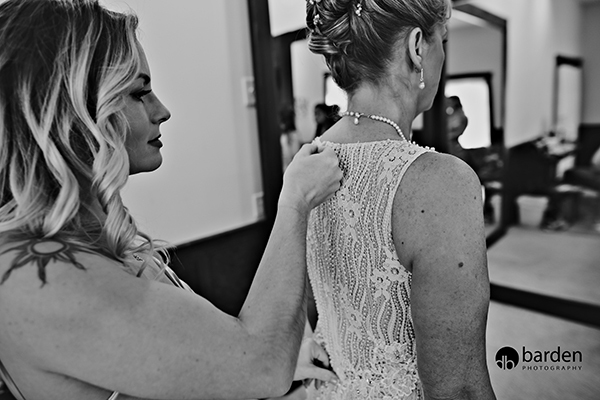 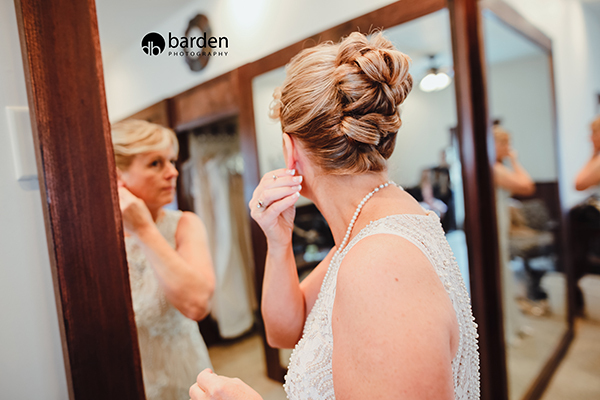 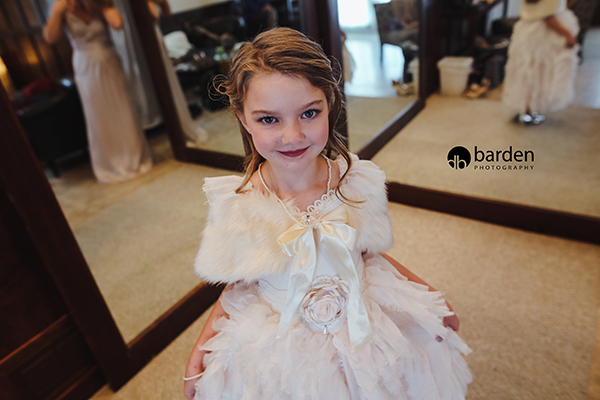 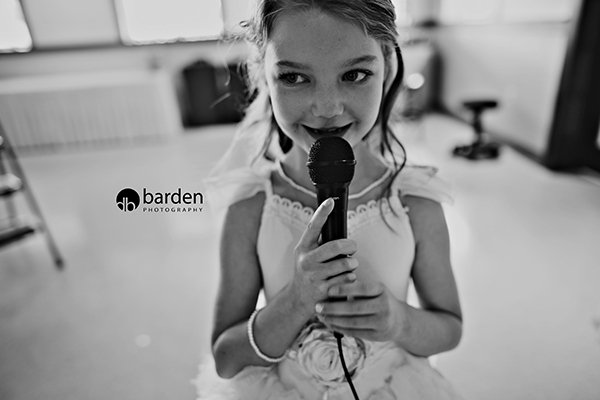 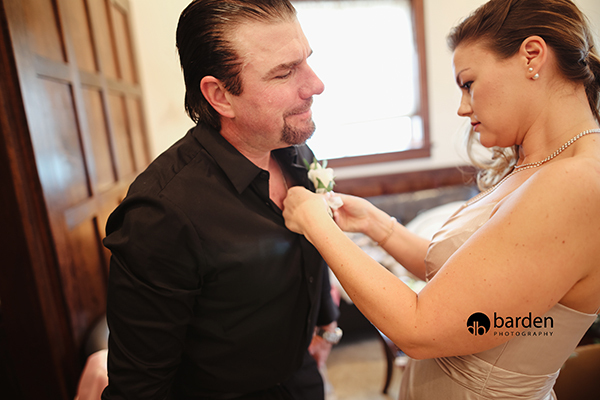 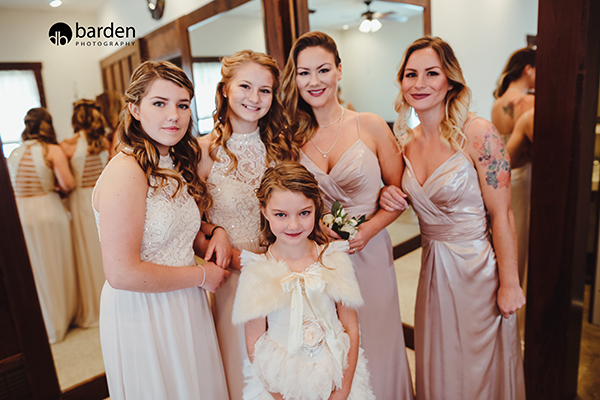 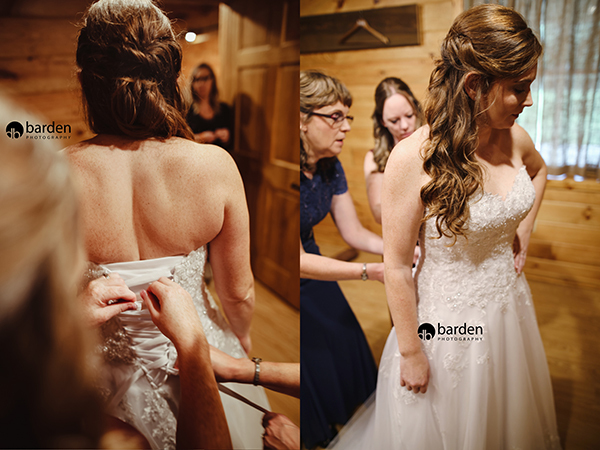 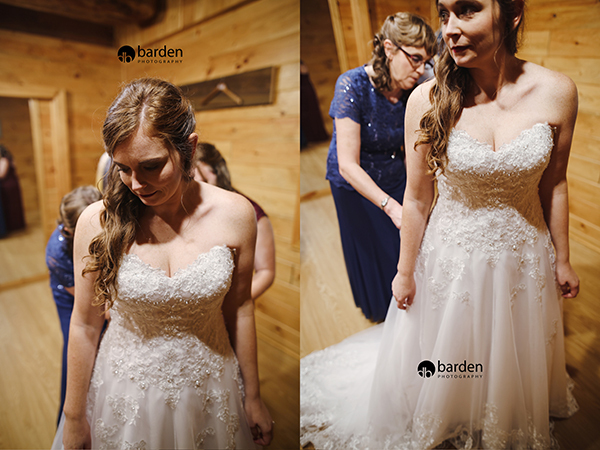 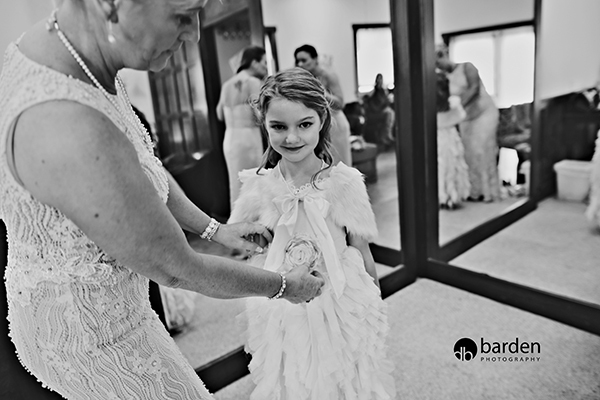 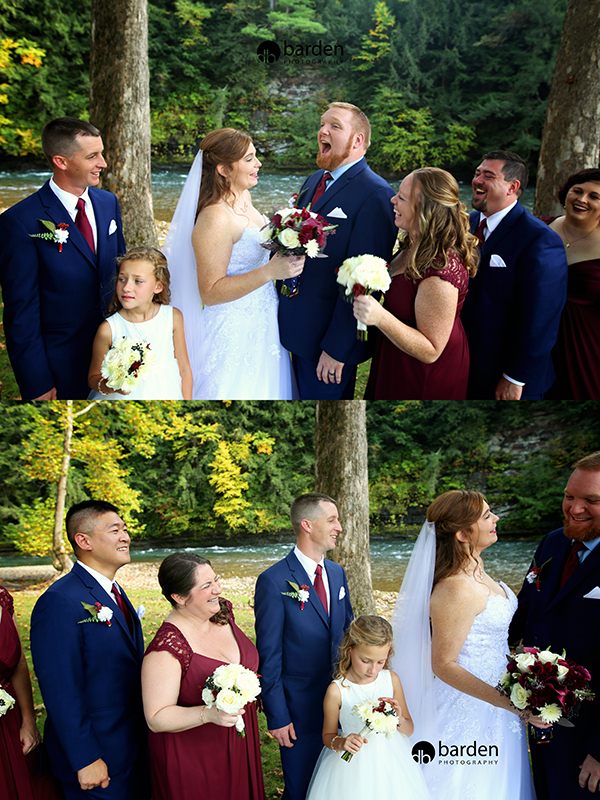 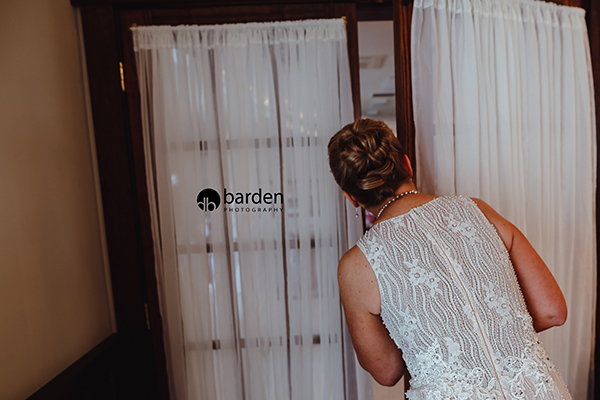 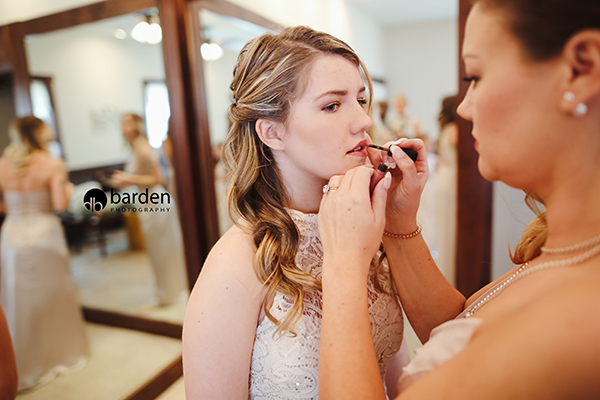 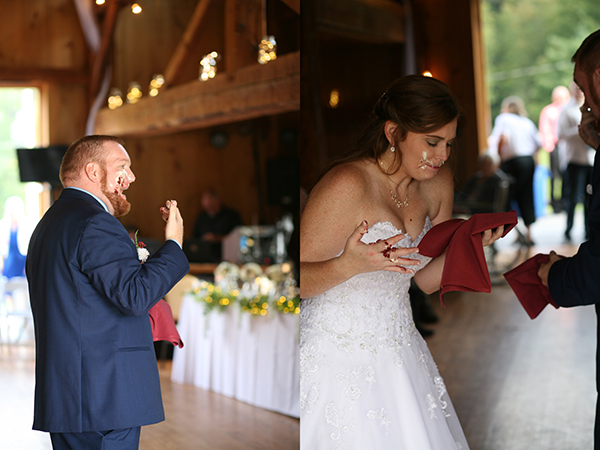 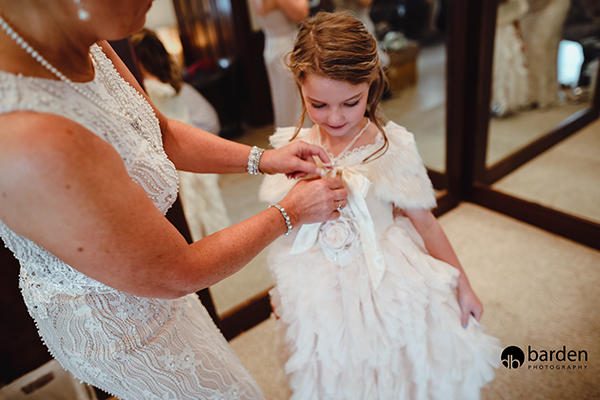 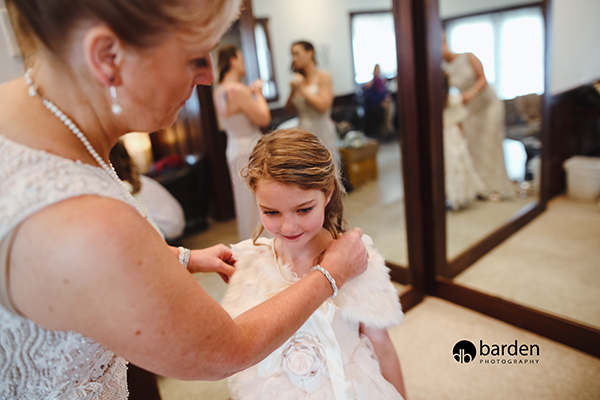 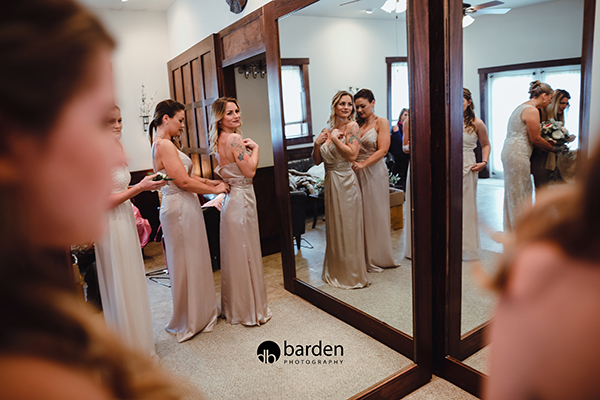 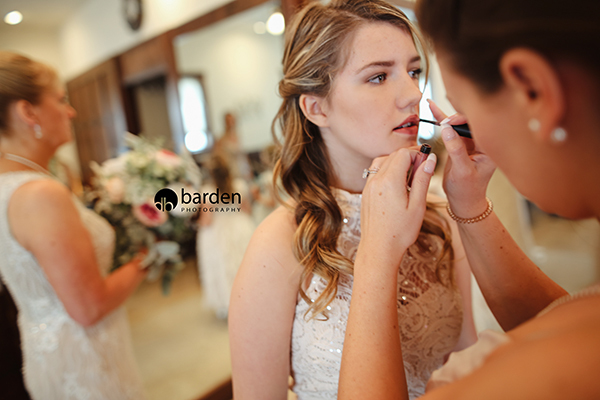 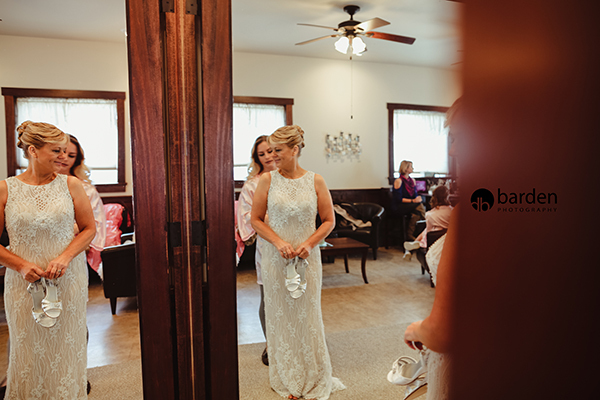 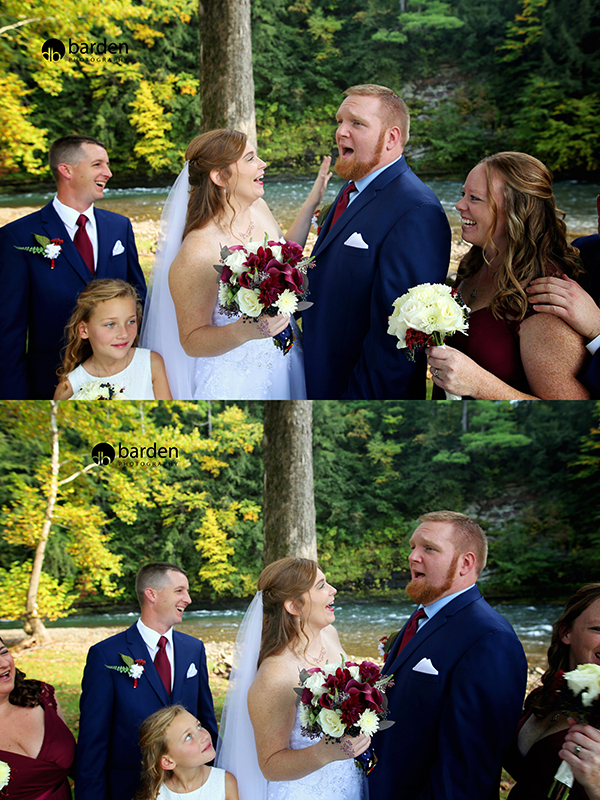 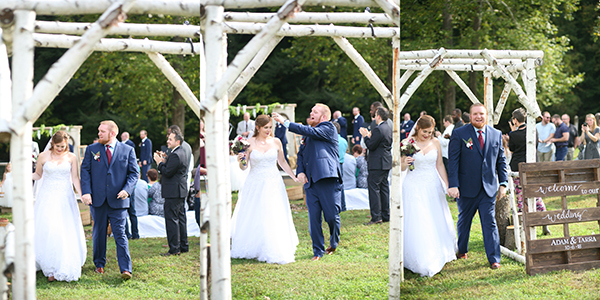 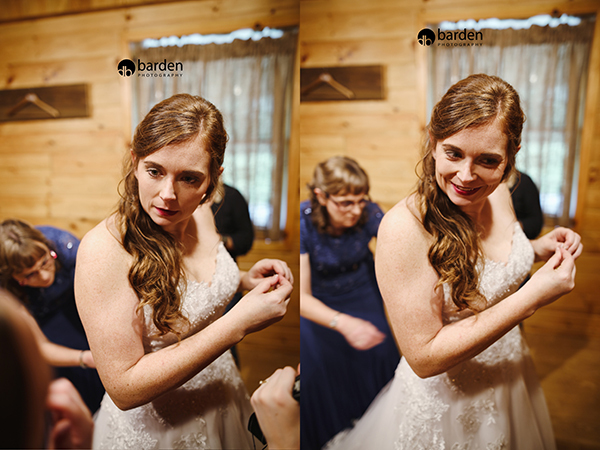 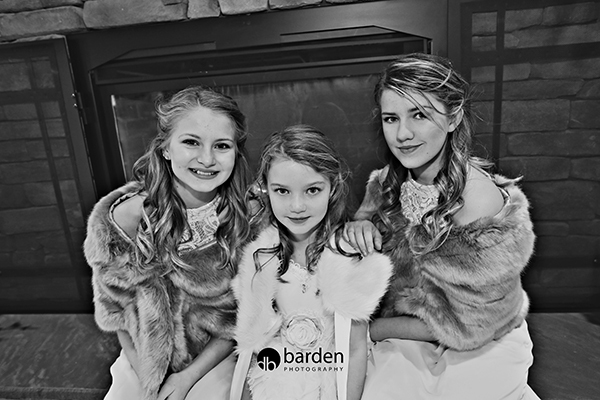 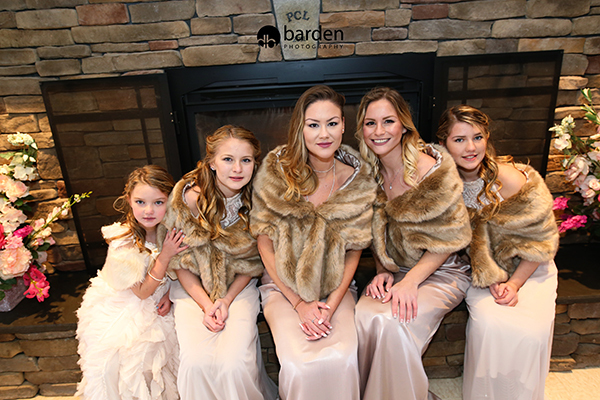 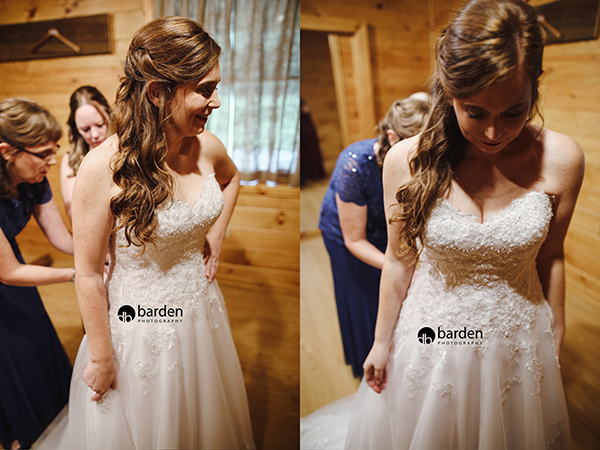 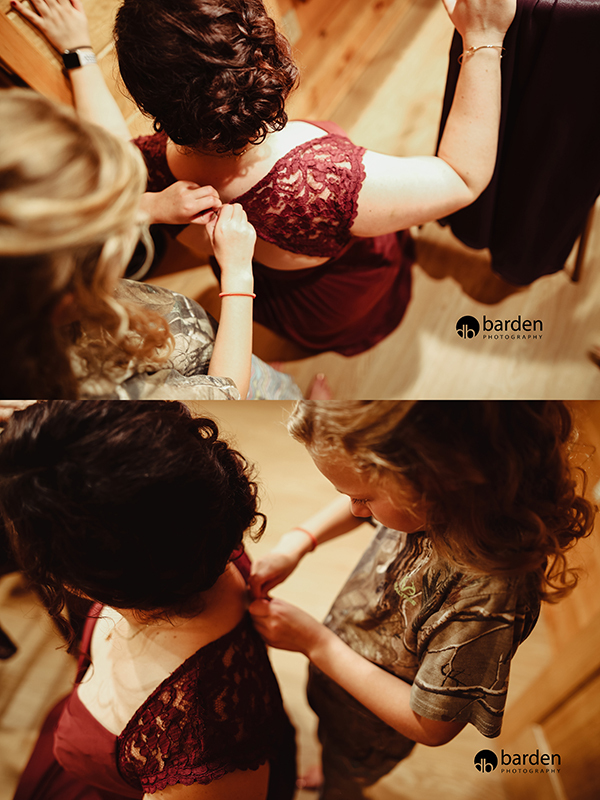 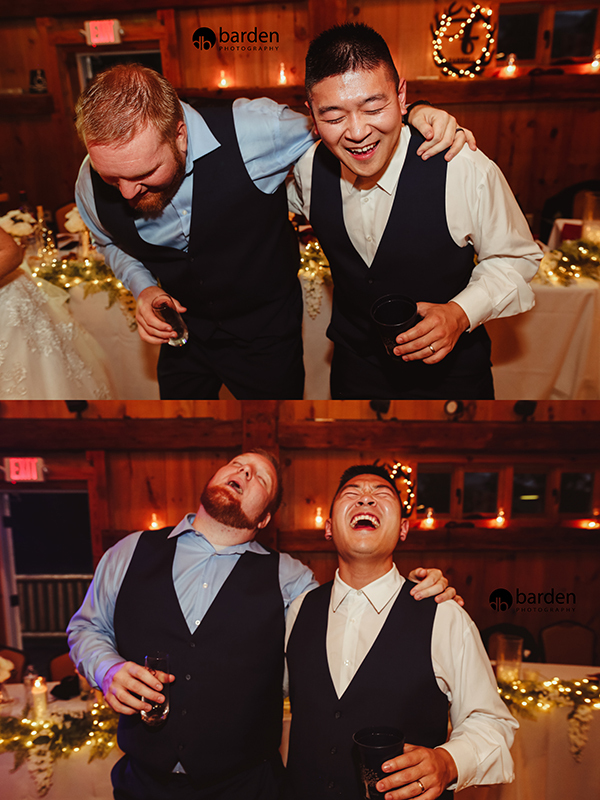 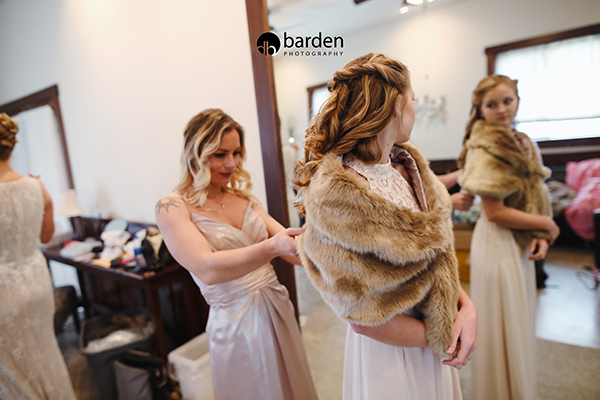 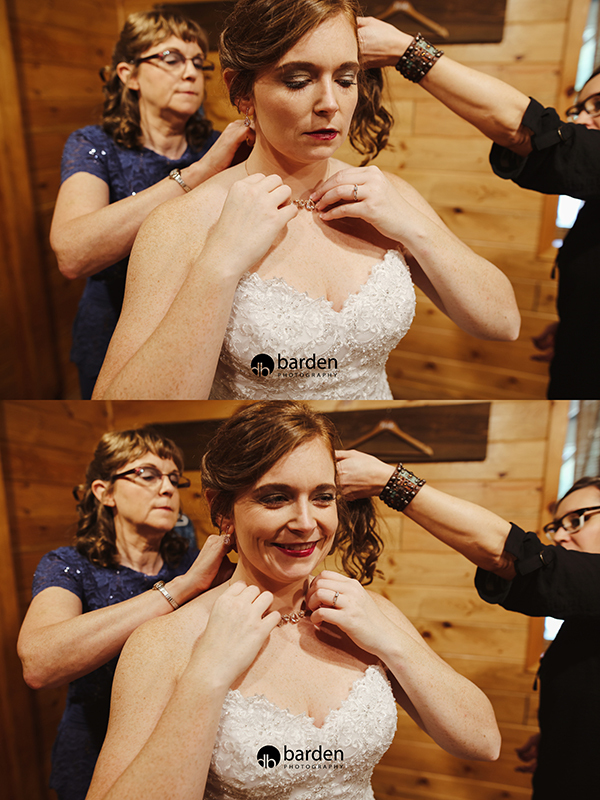 Getting ready photos – they are my FAVORITE!! 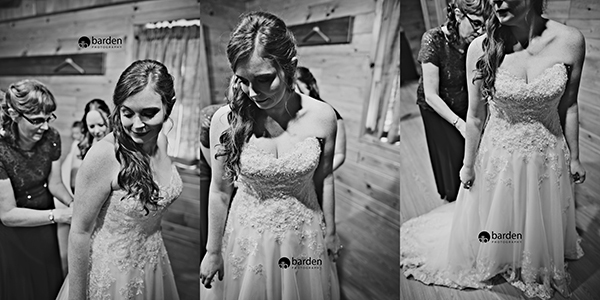 Moody black & white portraits of brides – one of my FAVORITE things! 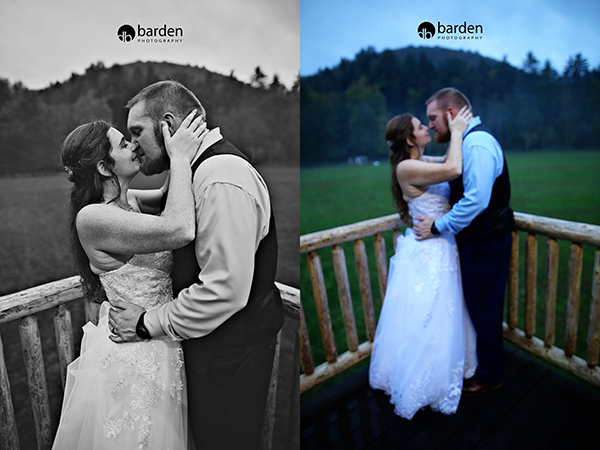 Stay tuned for the next THREE installments of their wedding photos!